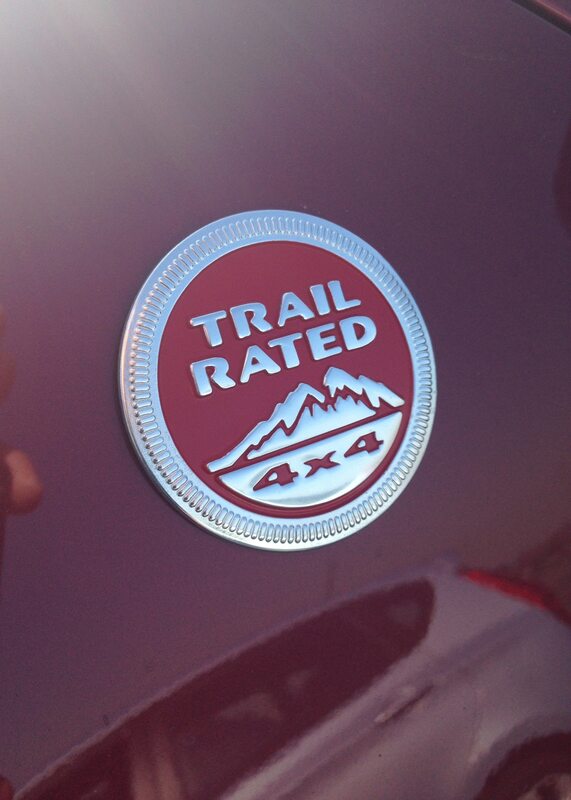 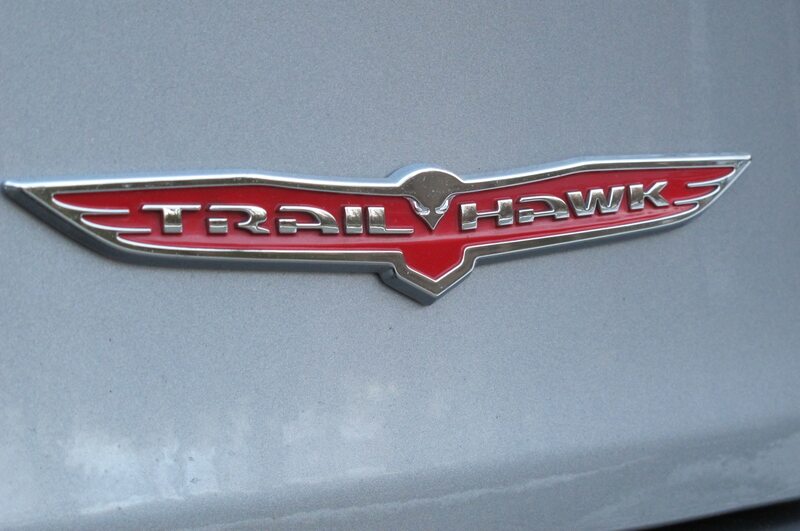 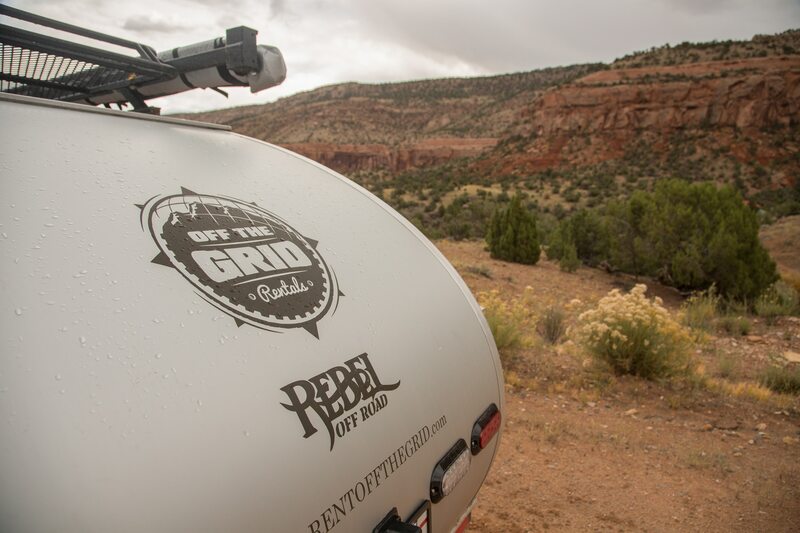 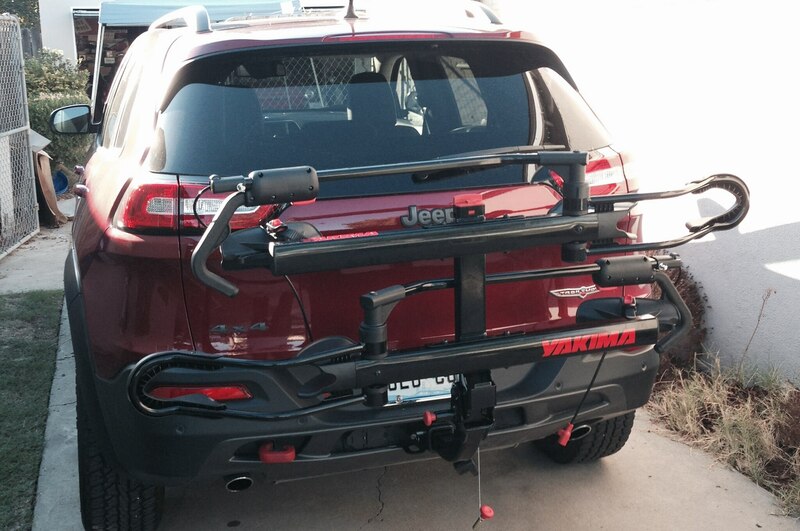 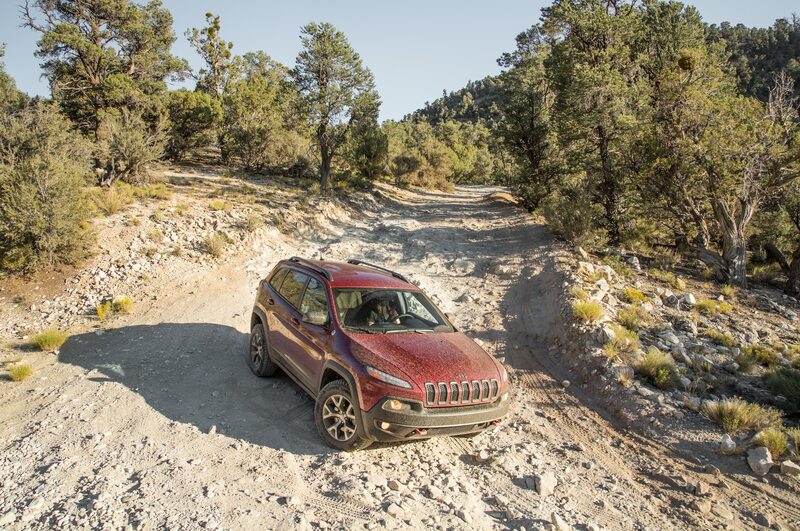 A crossover for the Rubicon Trail. 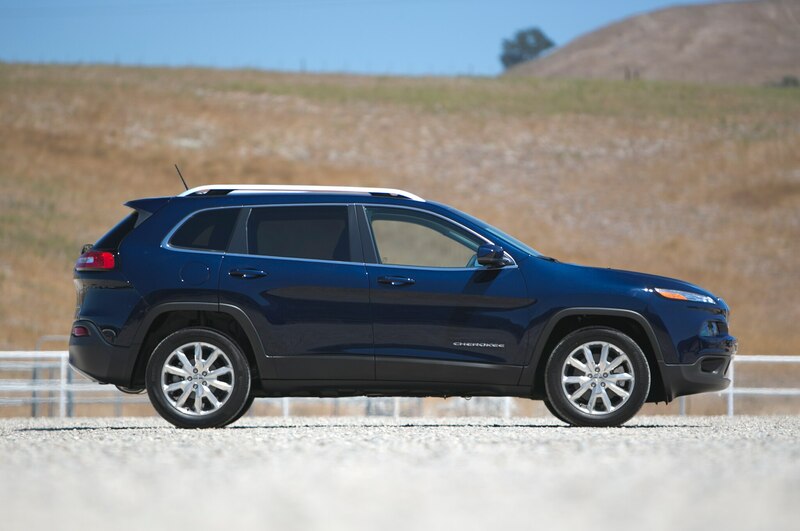 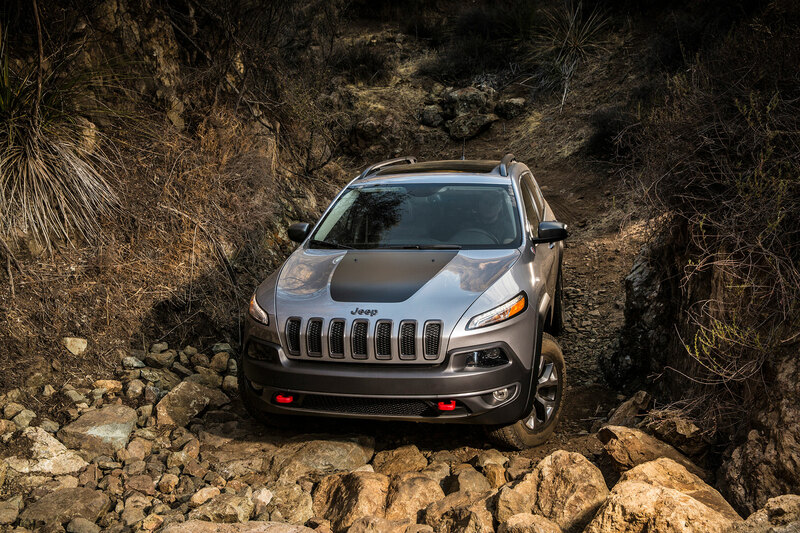 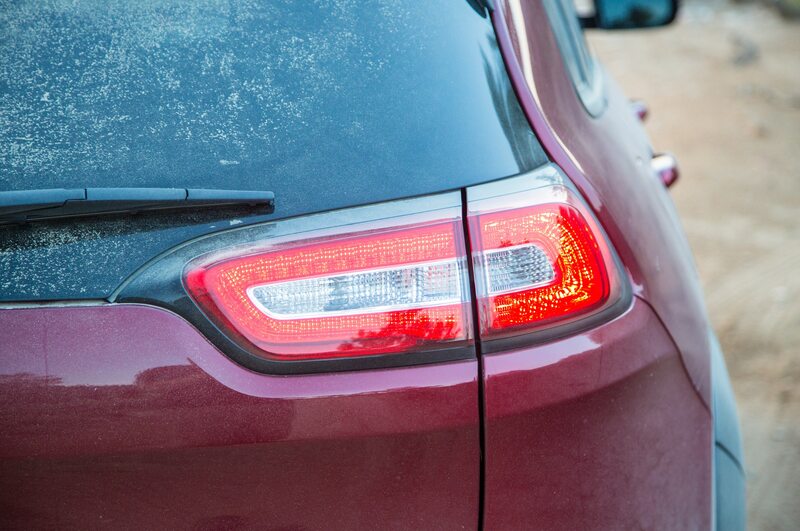 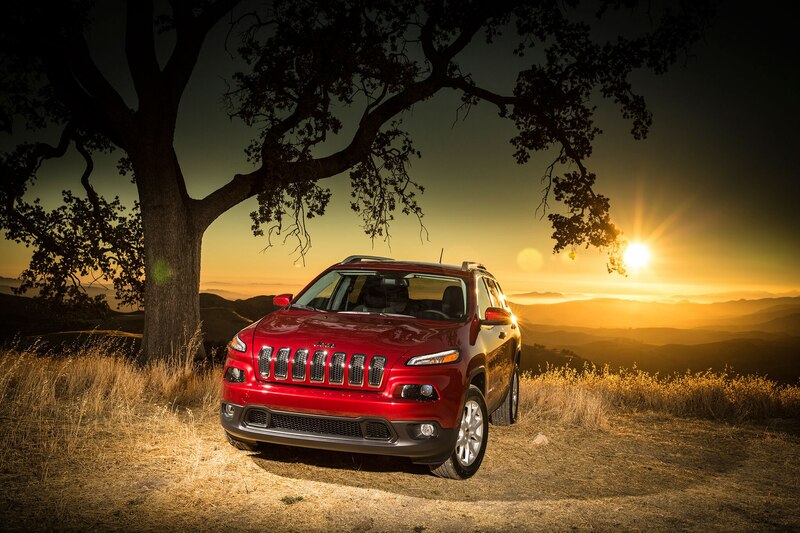 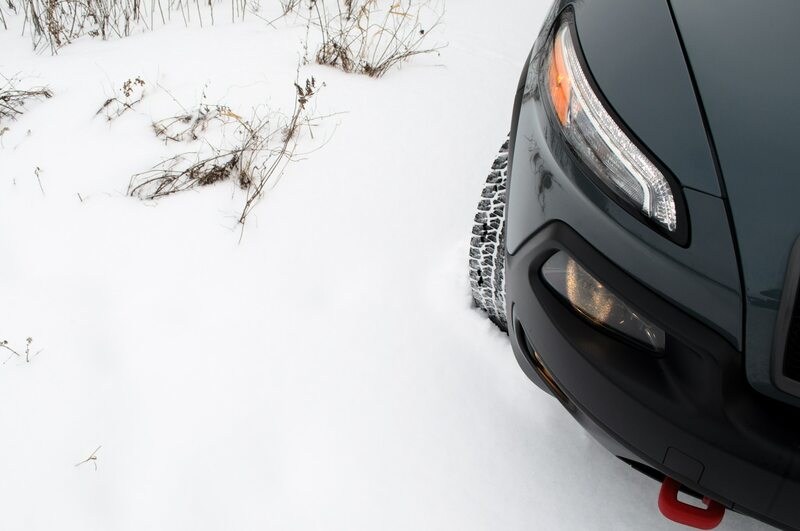 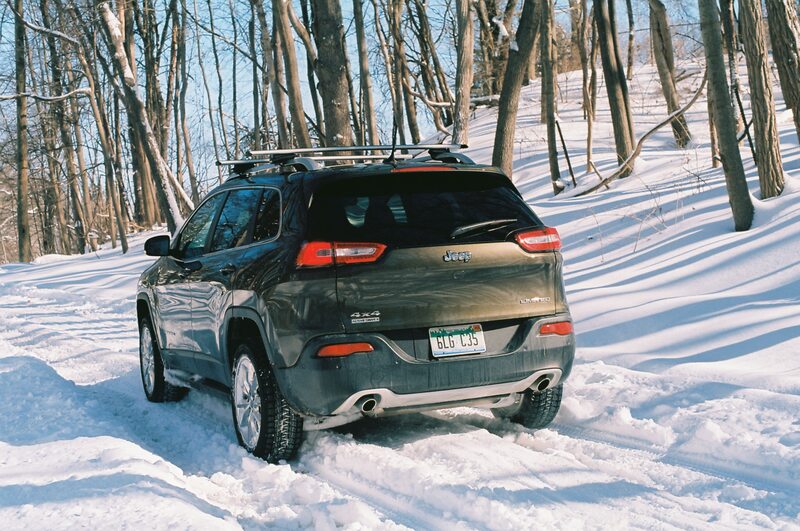 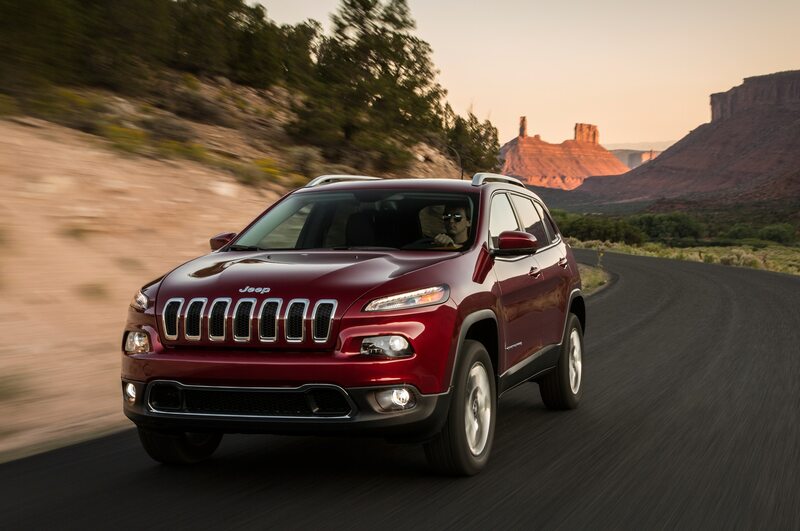 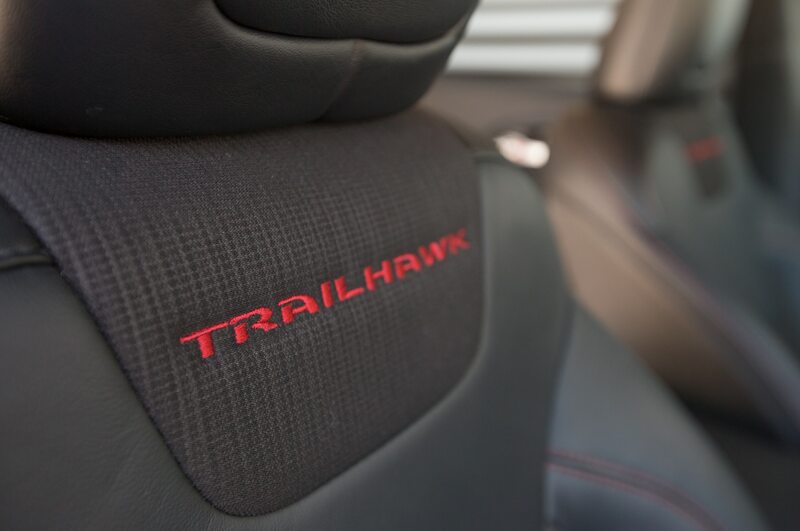 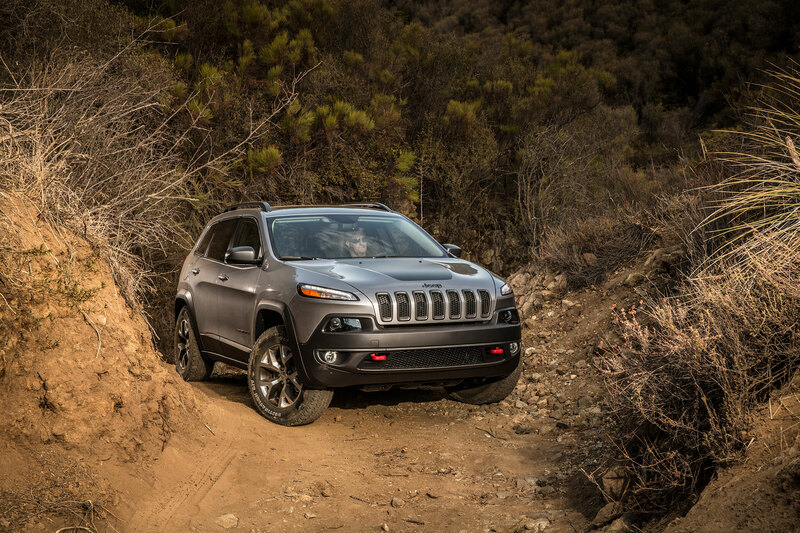 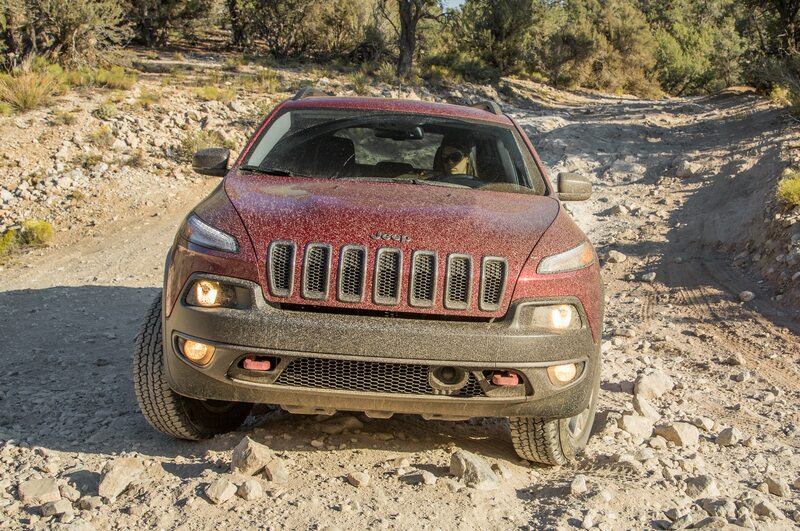 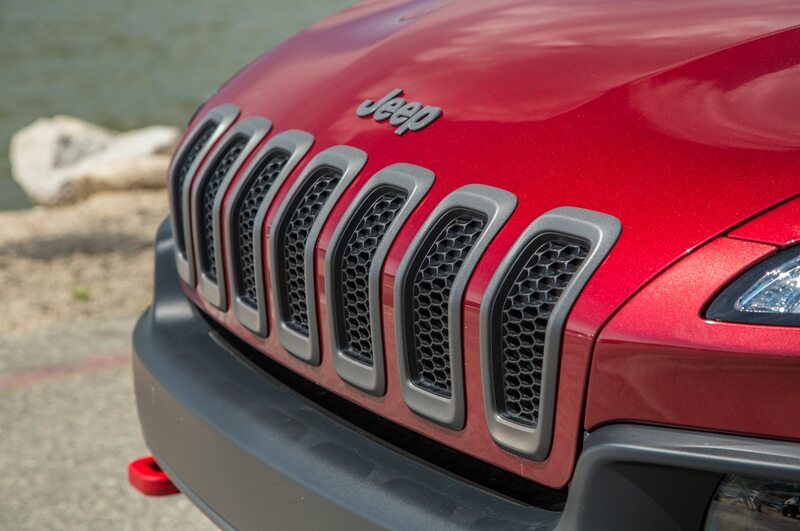 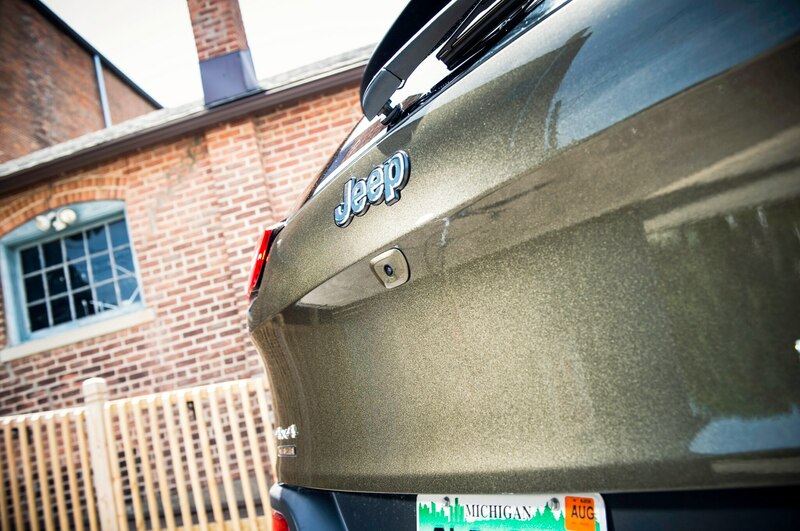 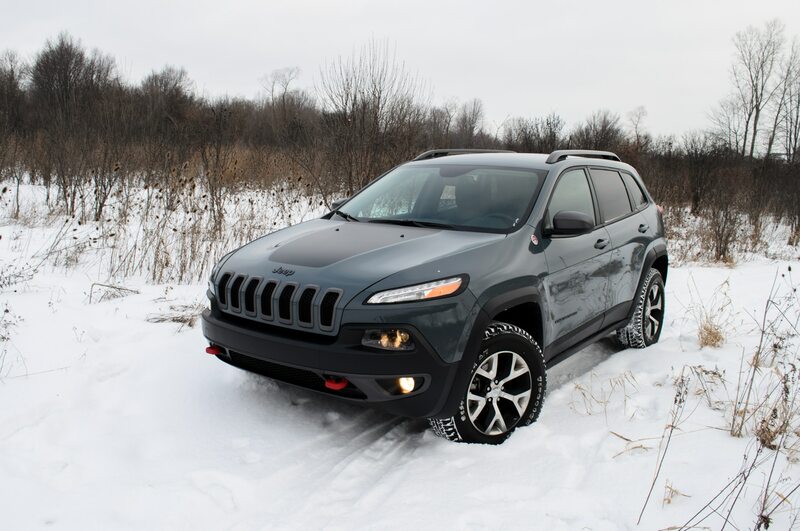 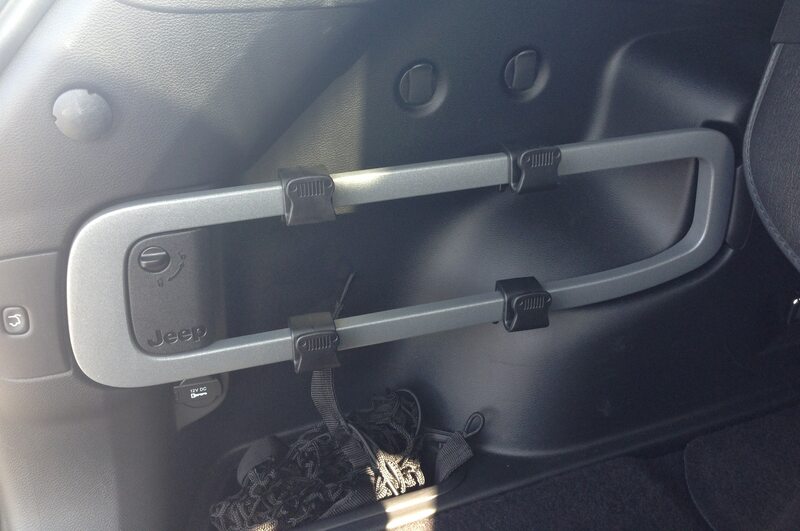 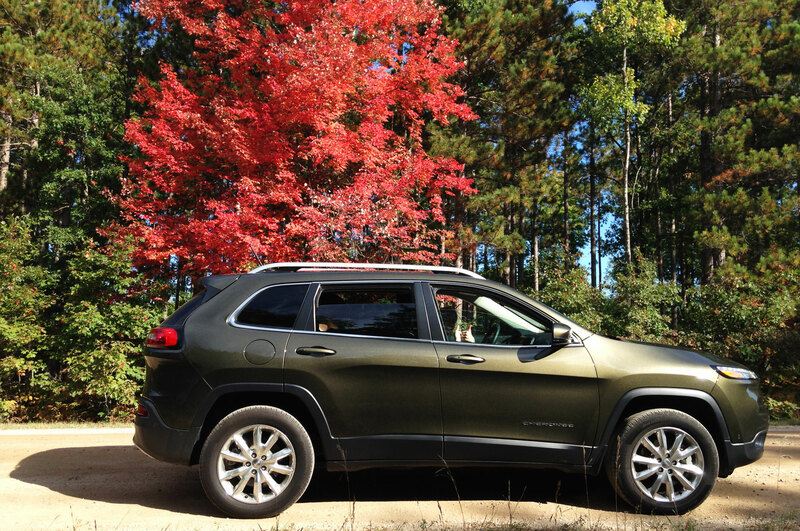 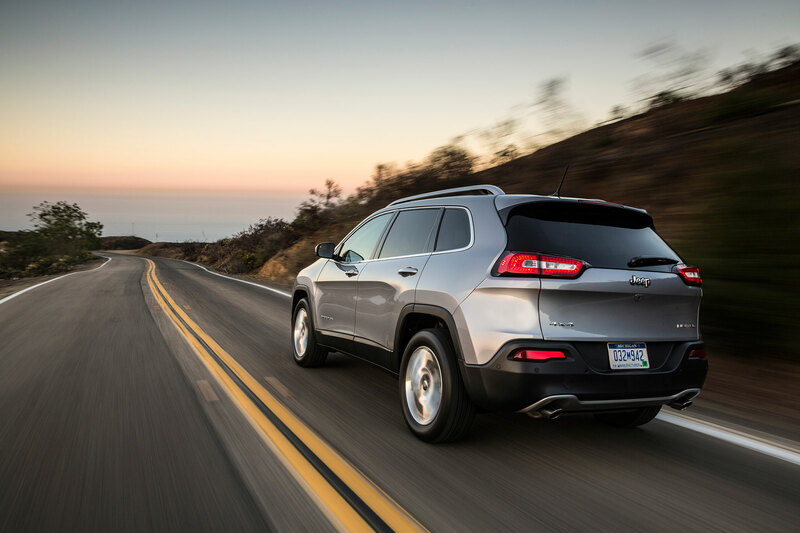 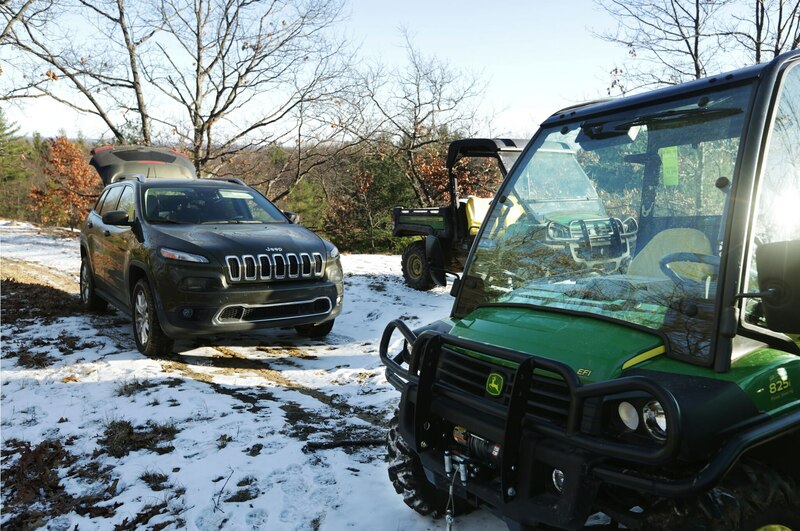 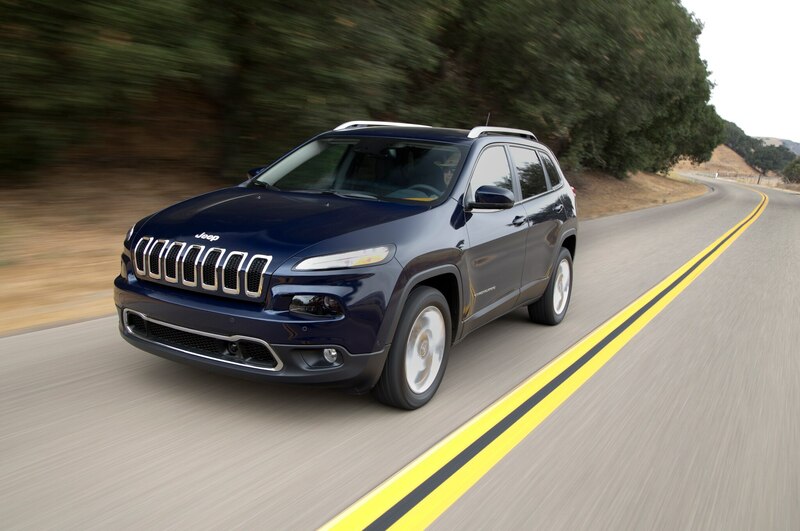 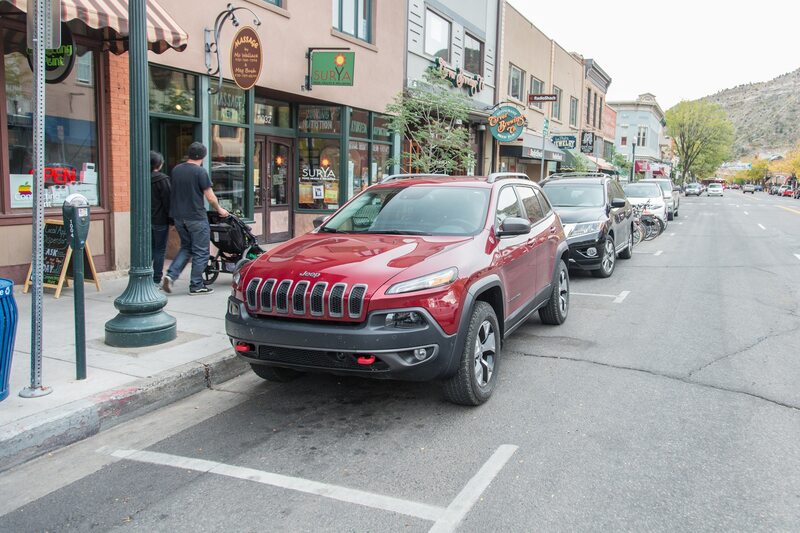 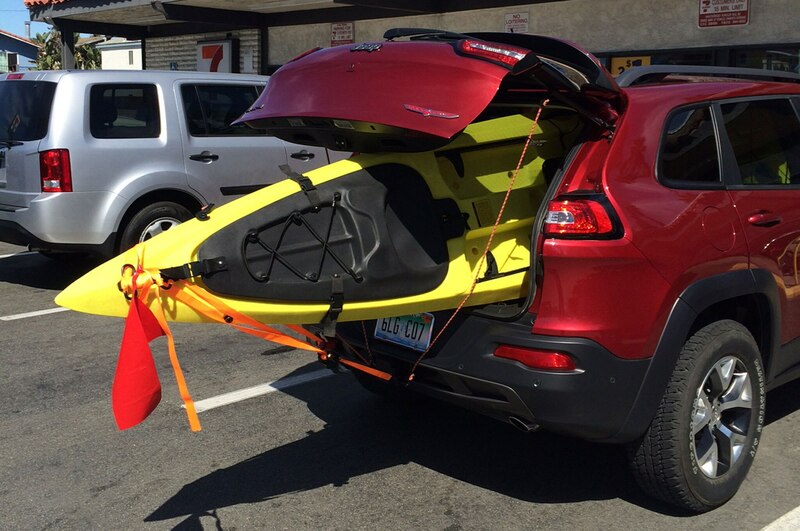 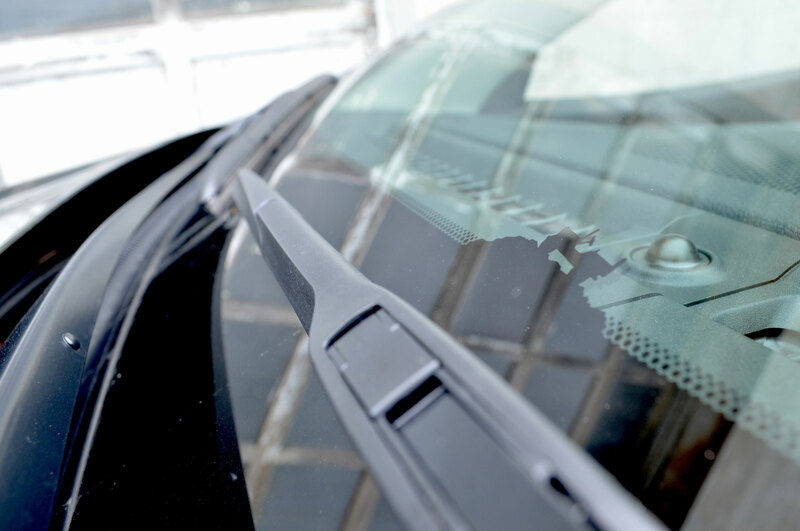 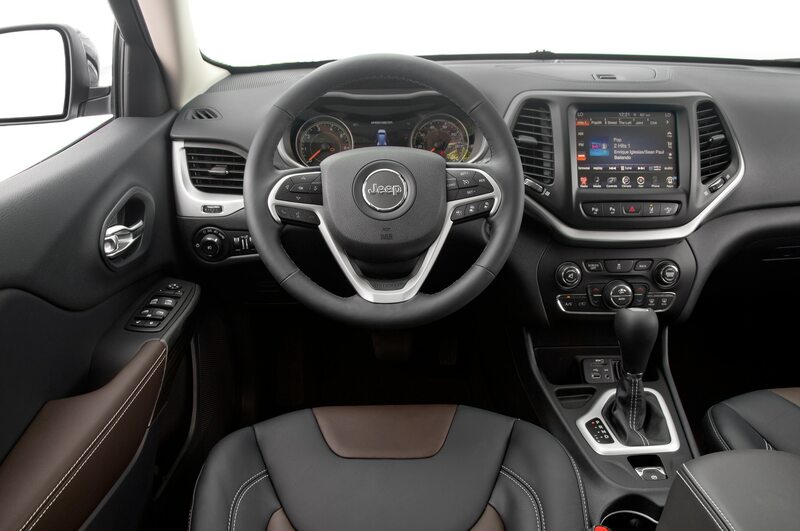 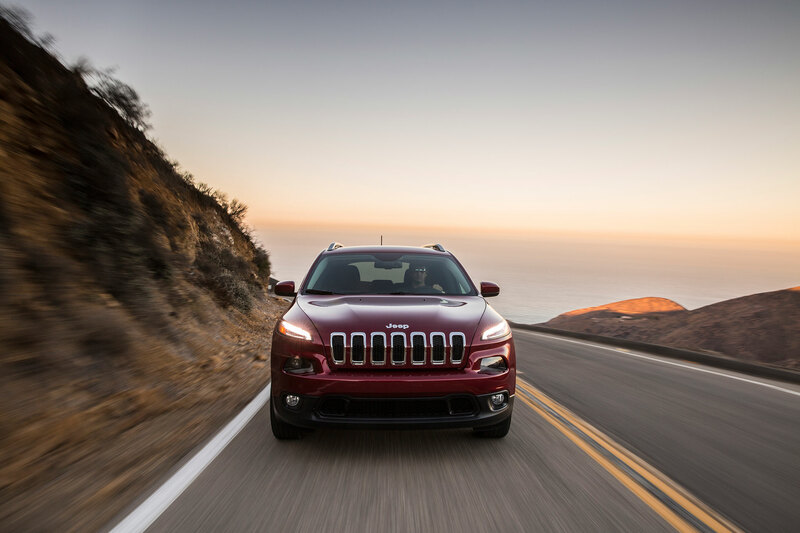 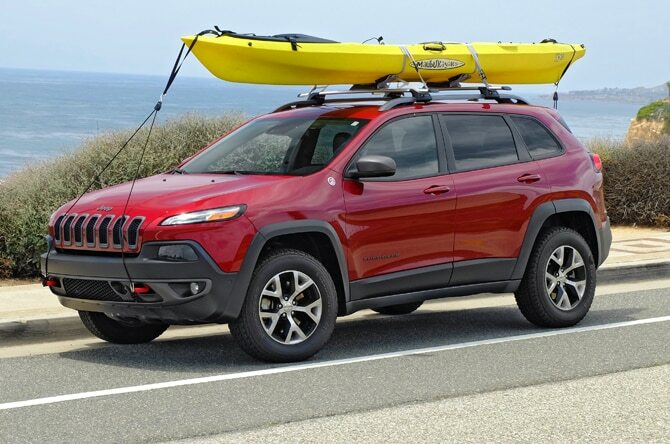 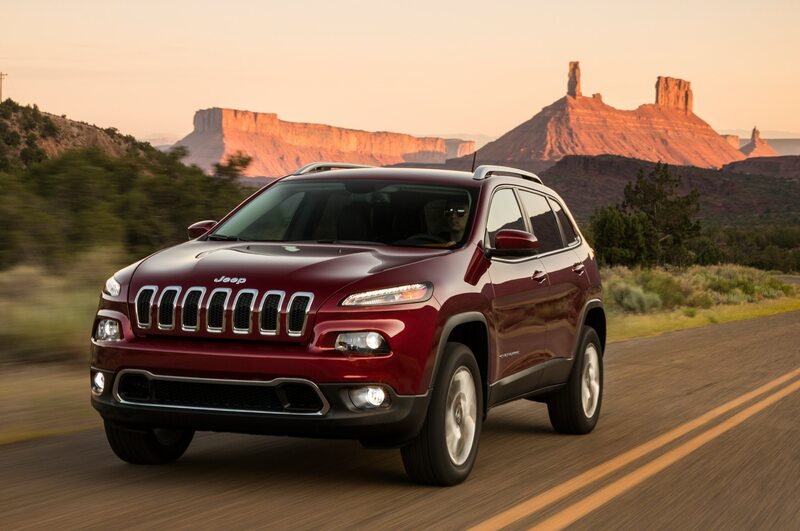 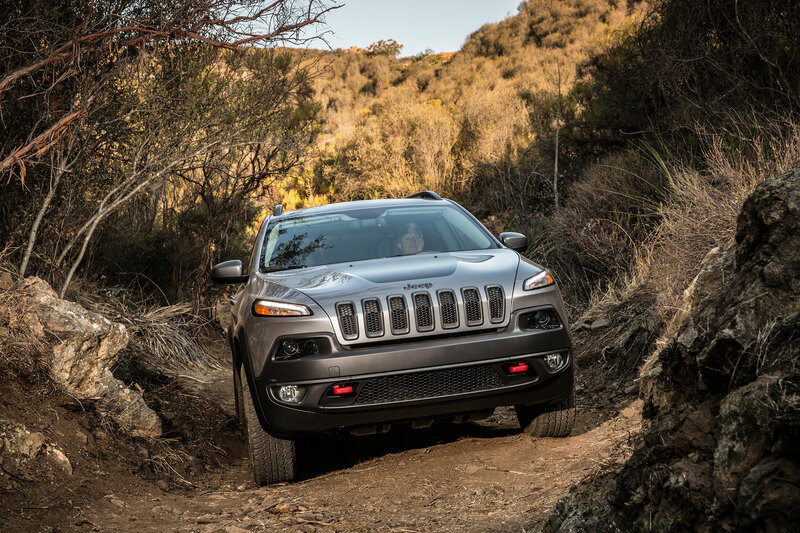 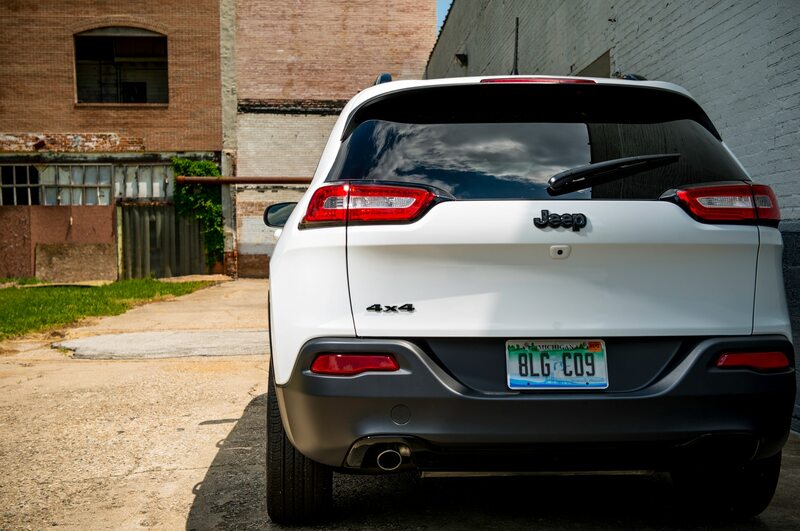 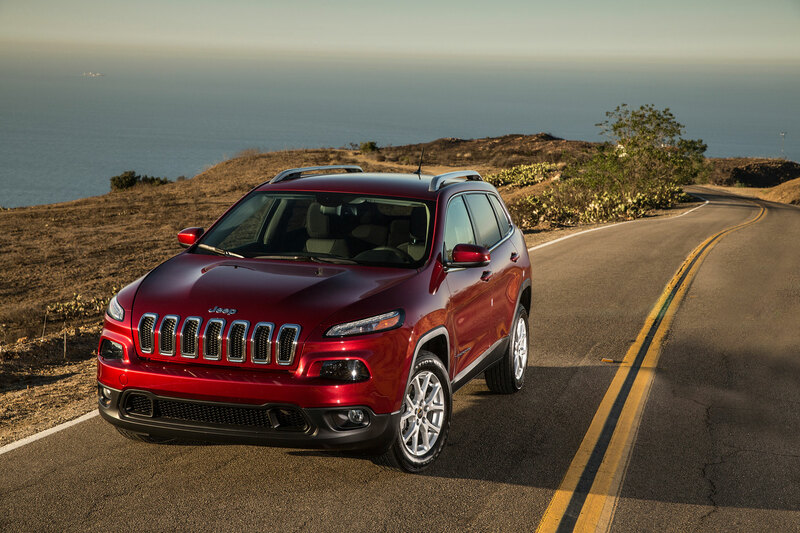 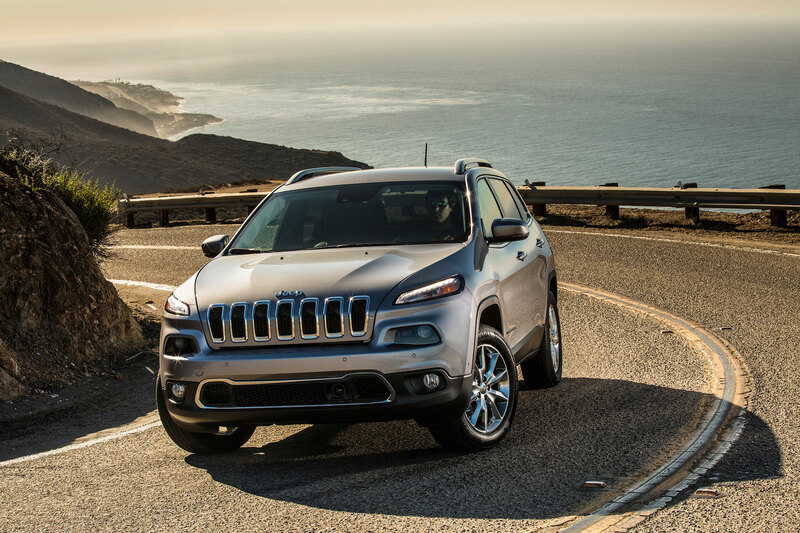 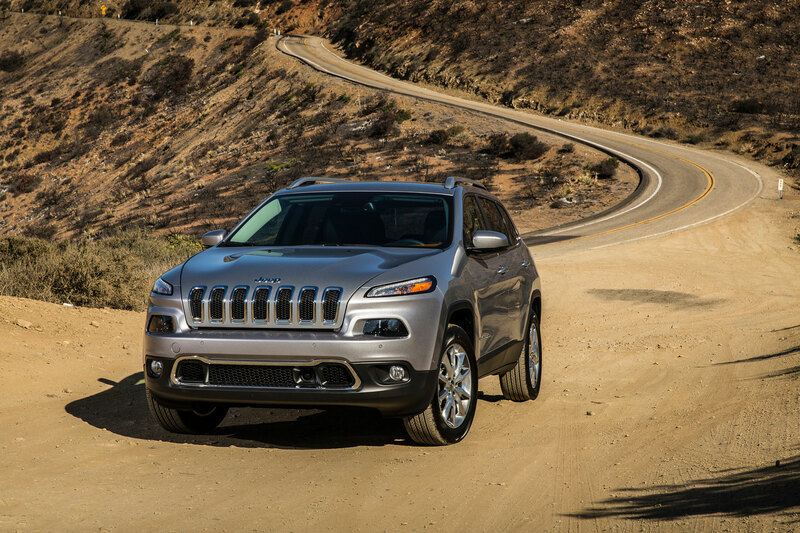 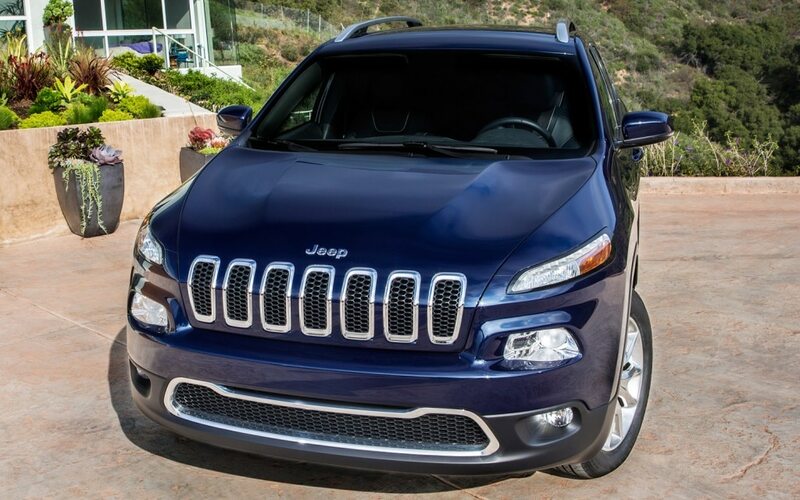 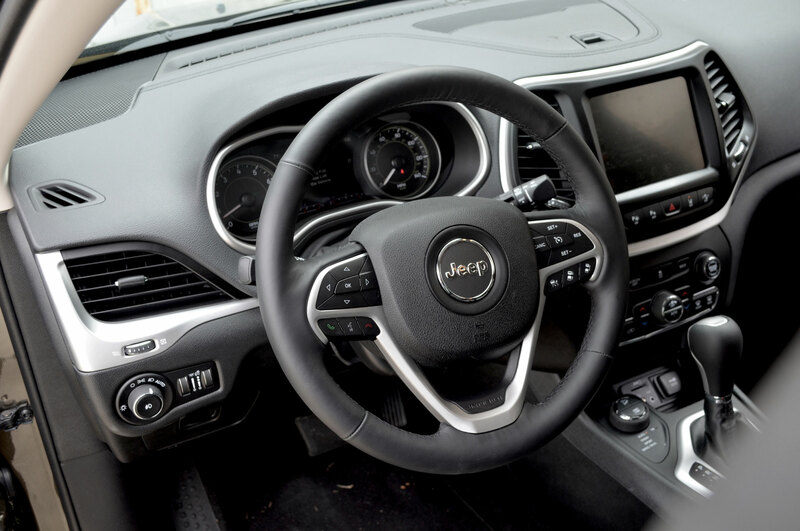 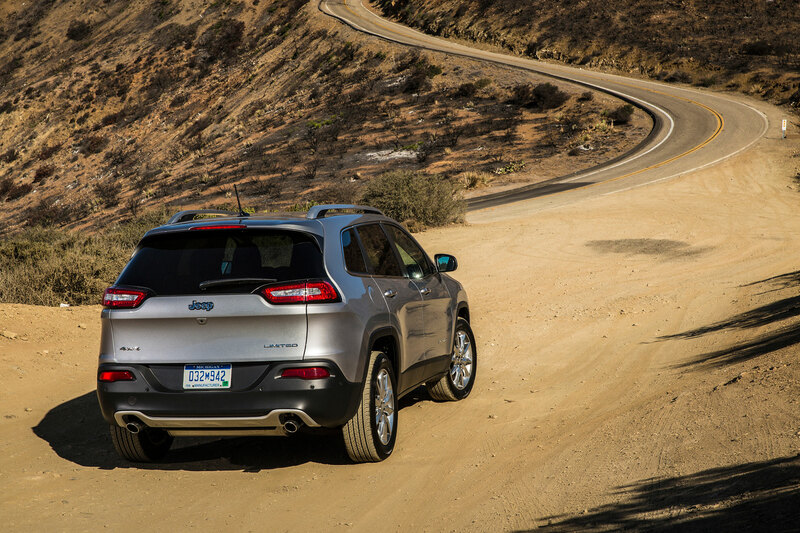 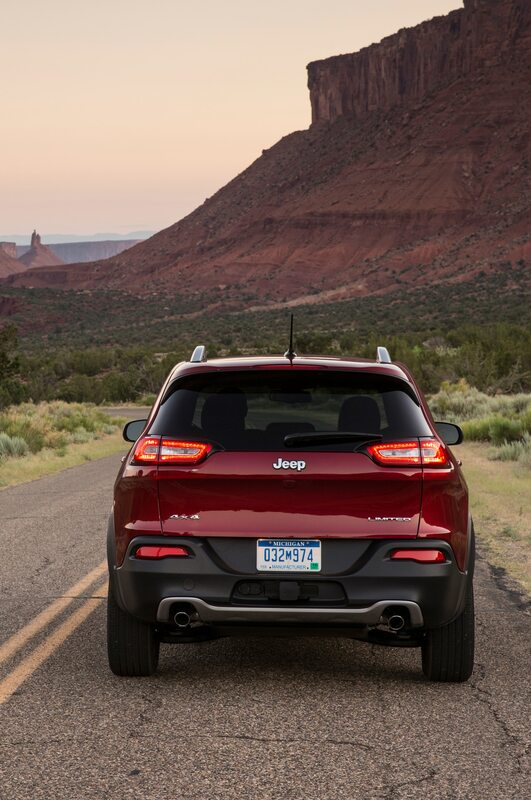 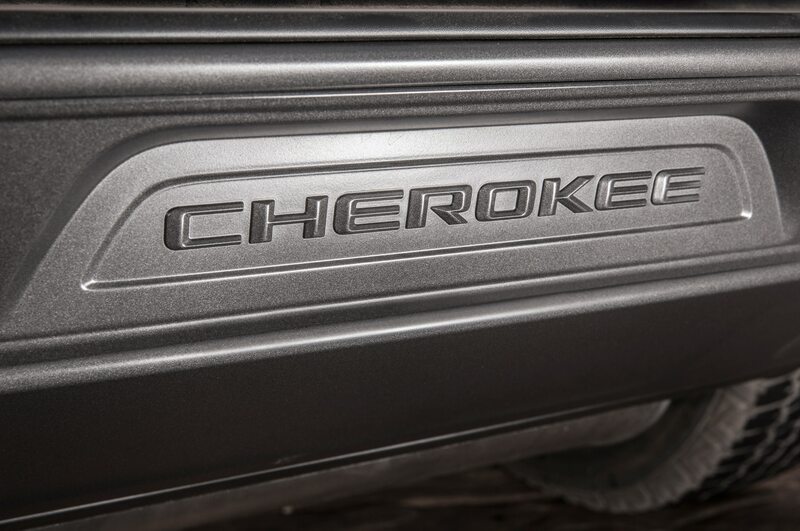 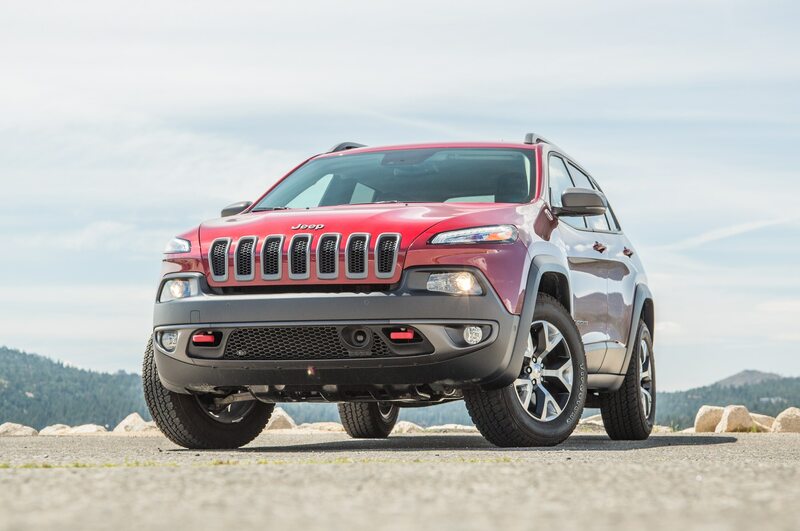 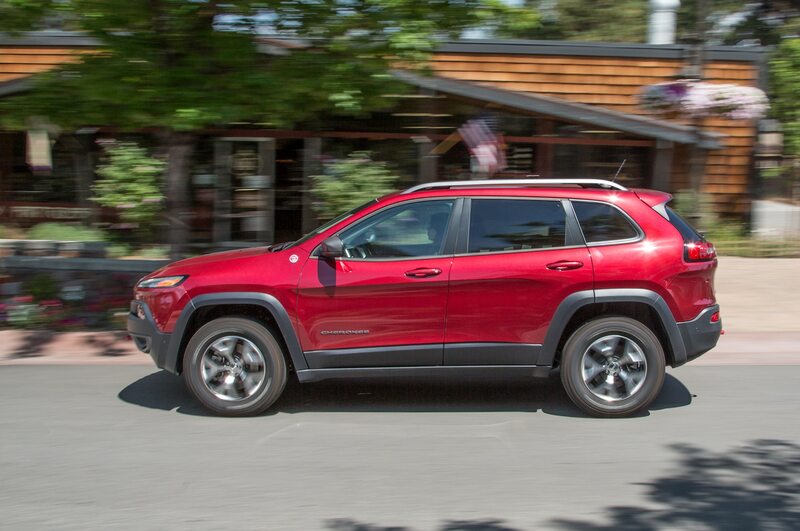 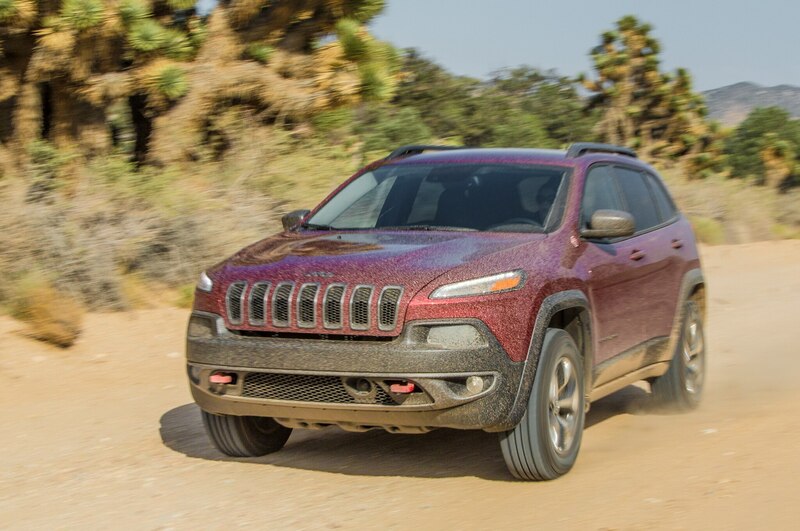 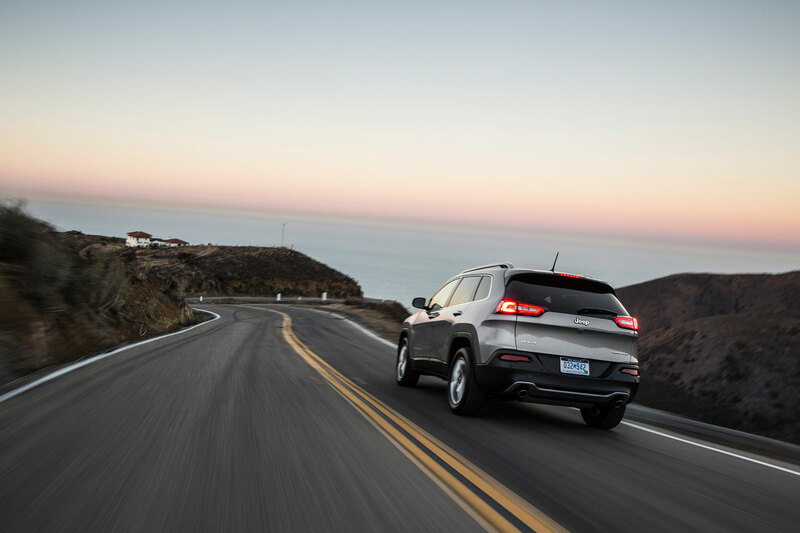 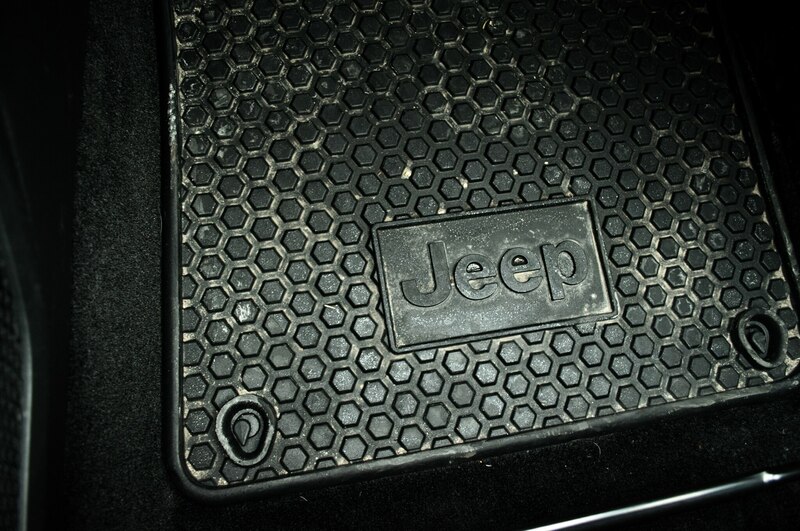 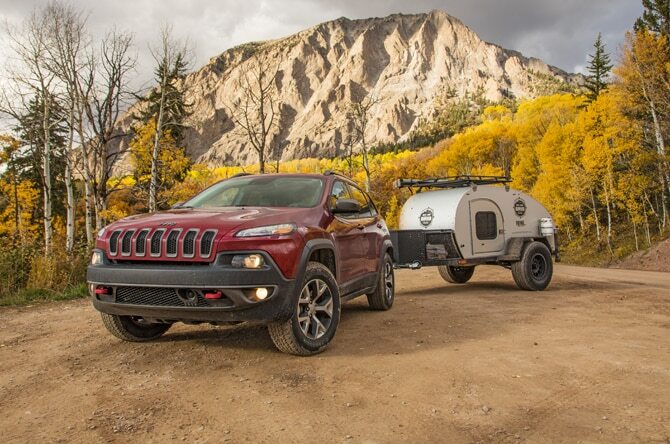 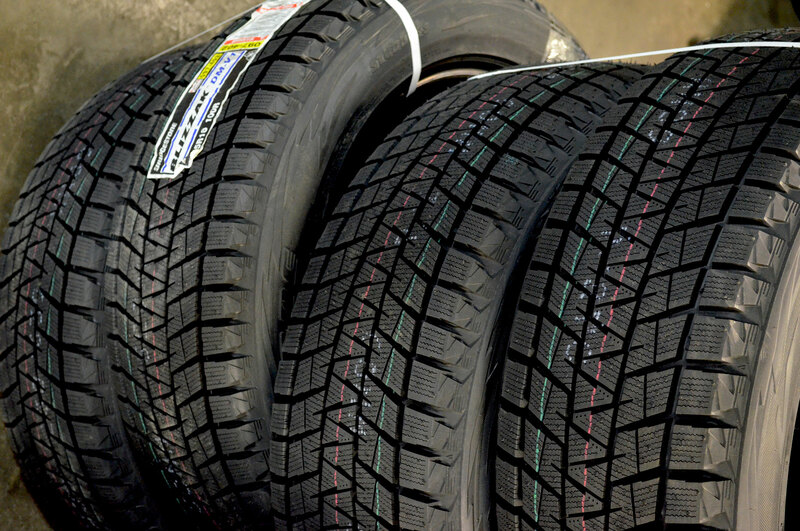 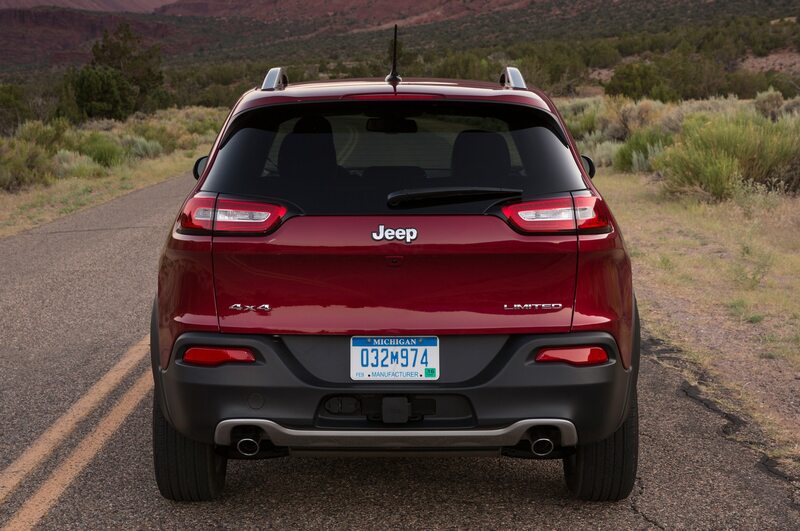 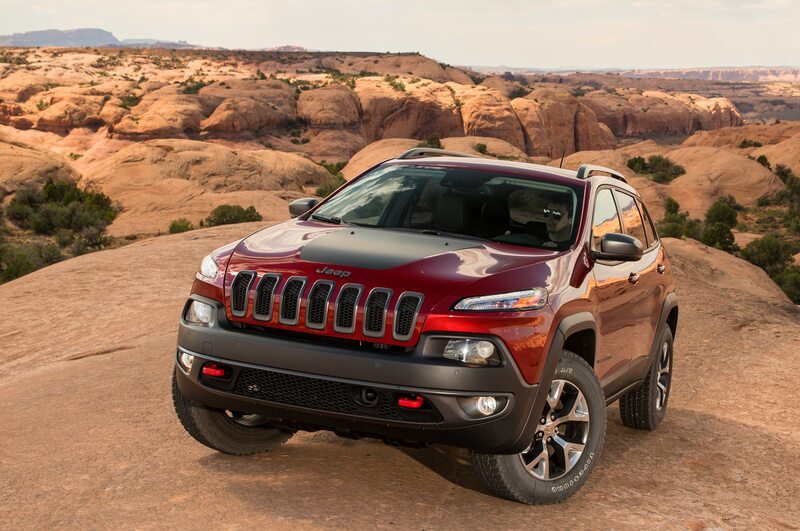 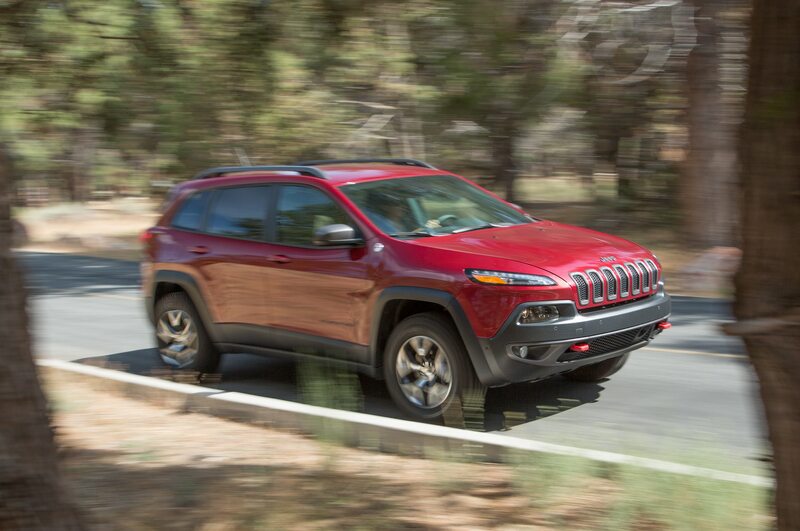 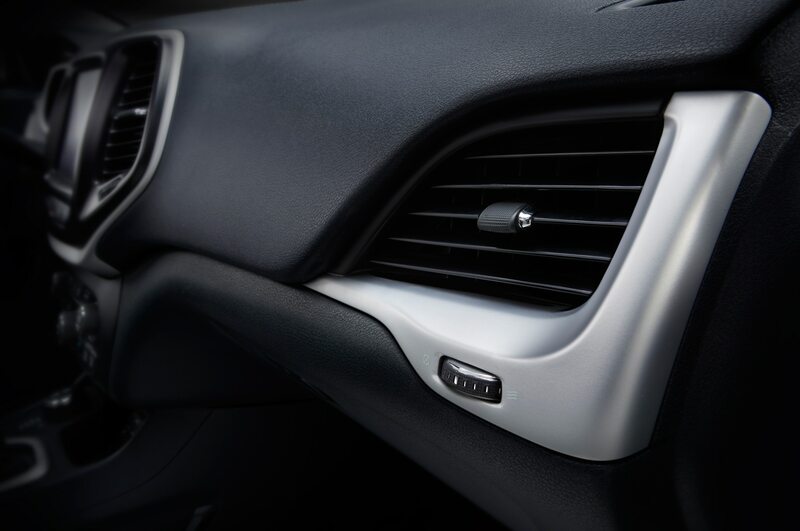 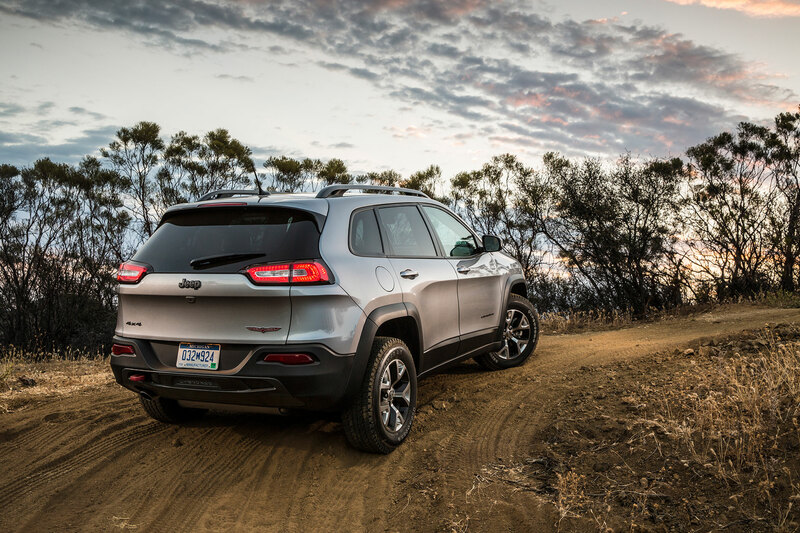 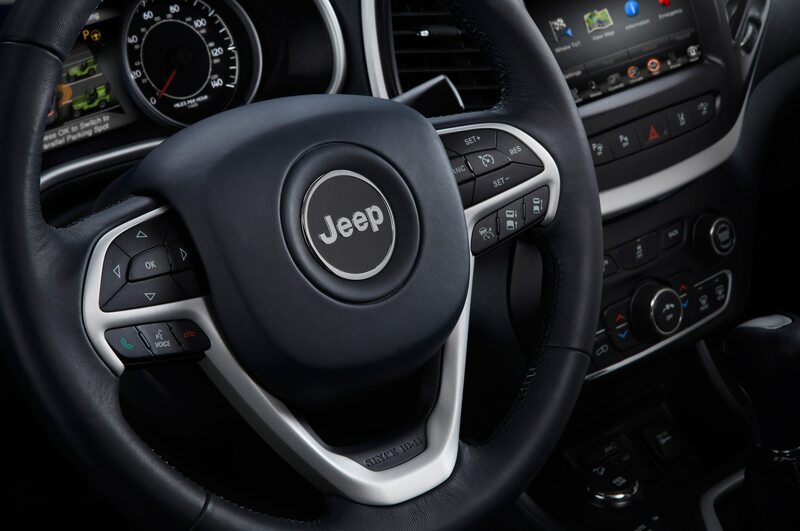 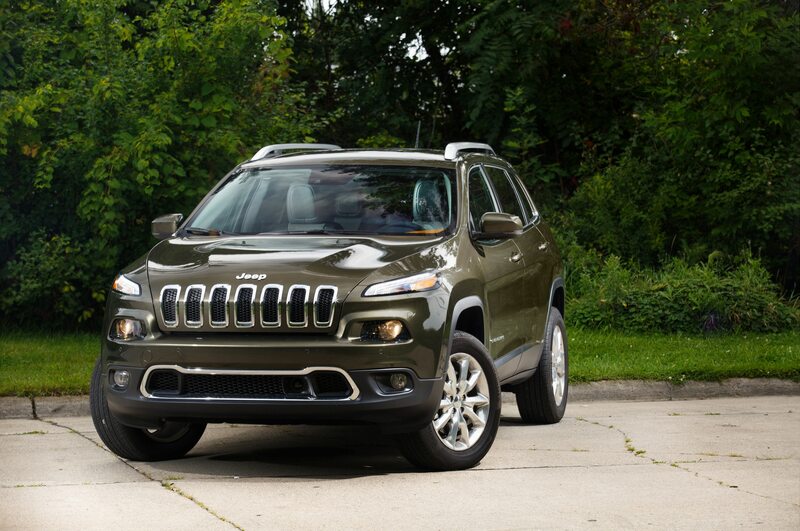 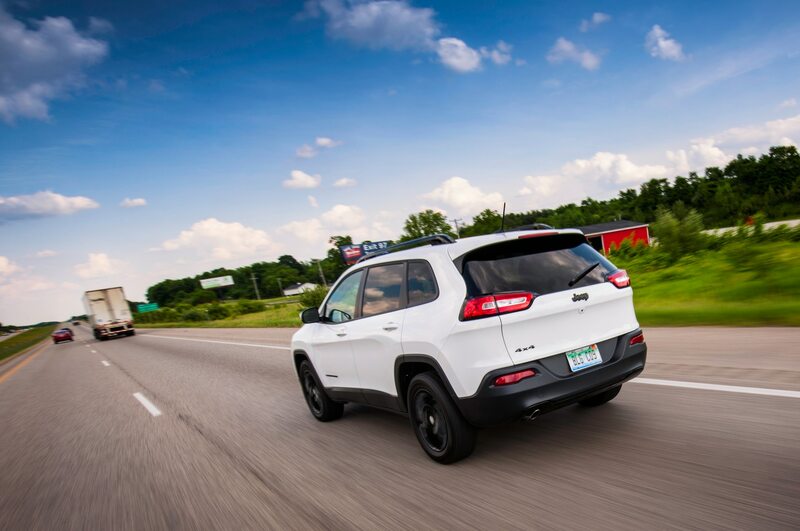 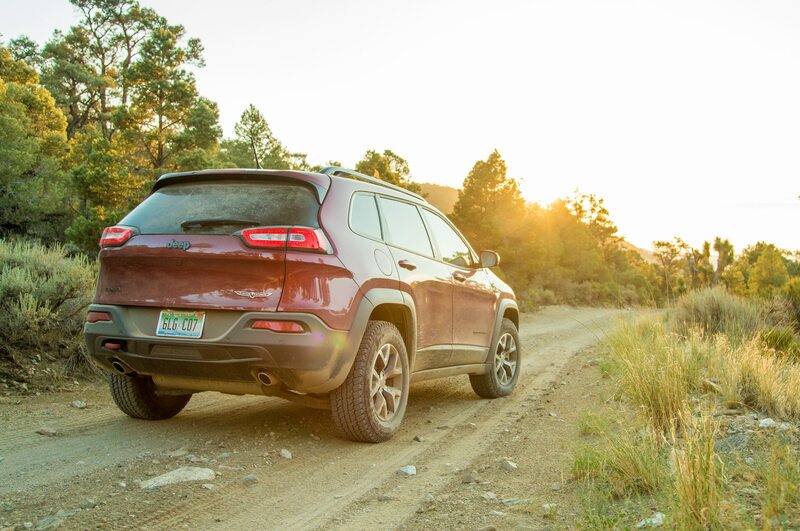 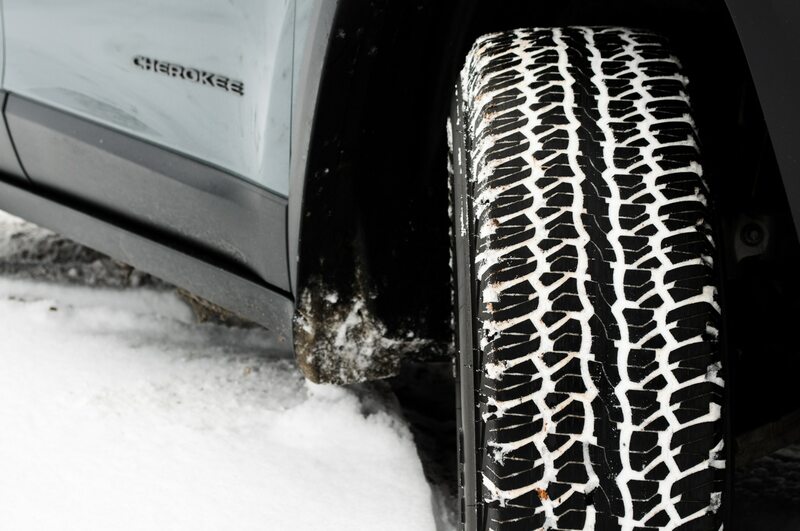 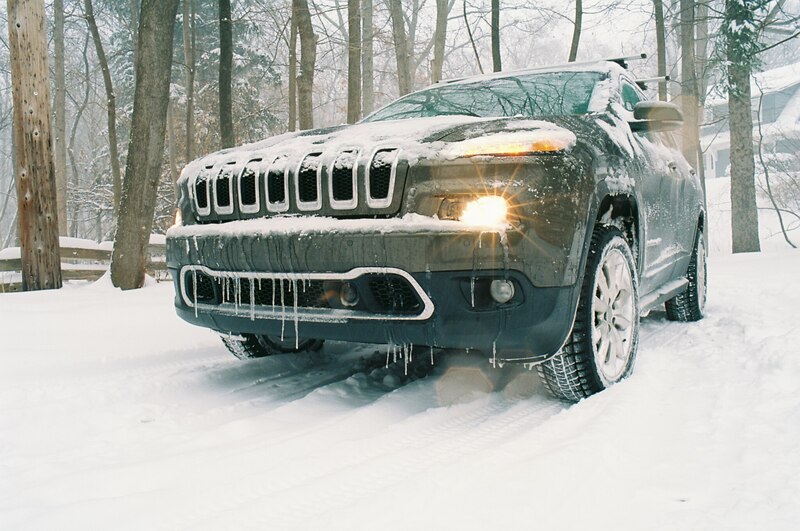 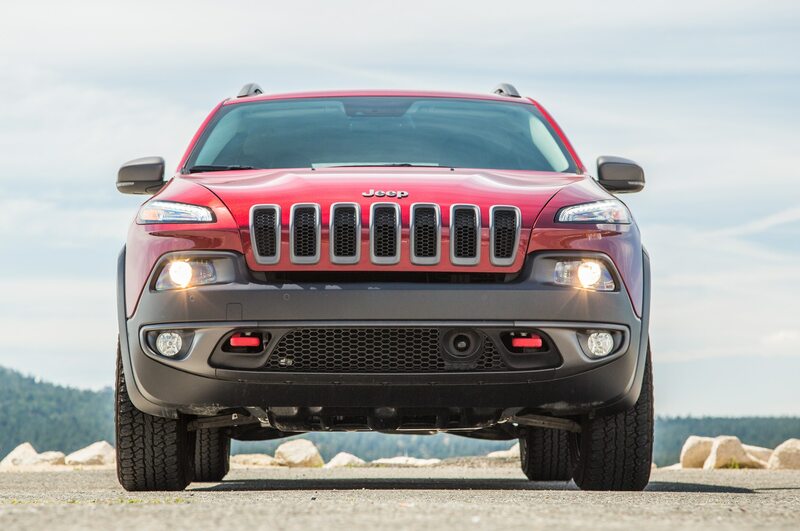 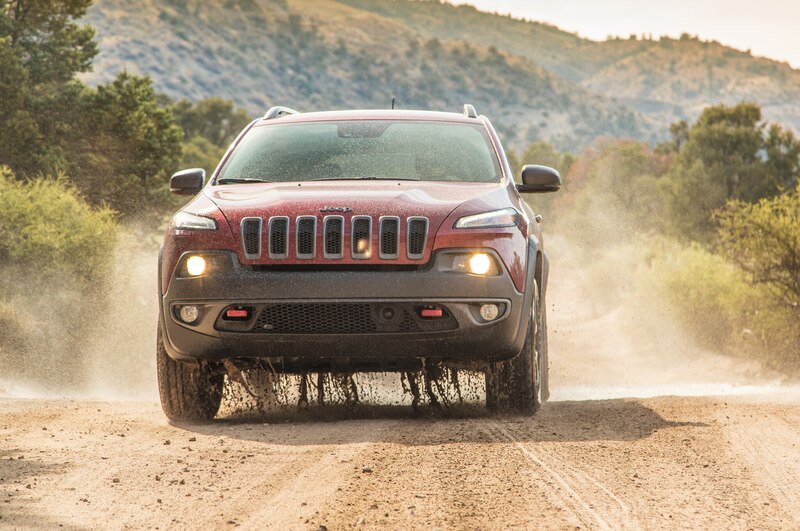 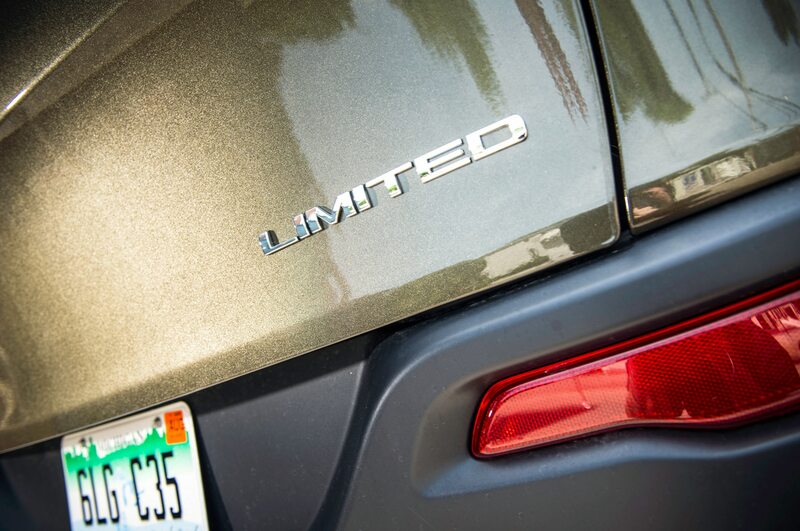 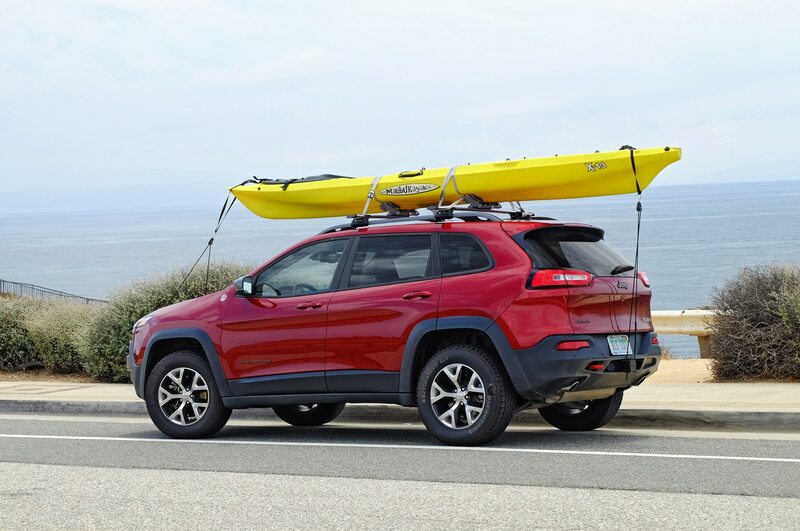 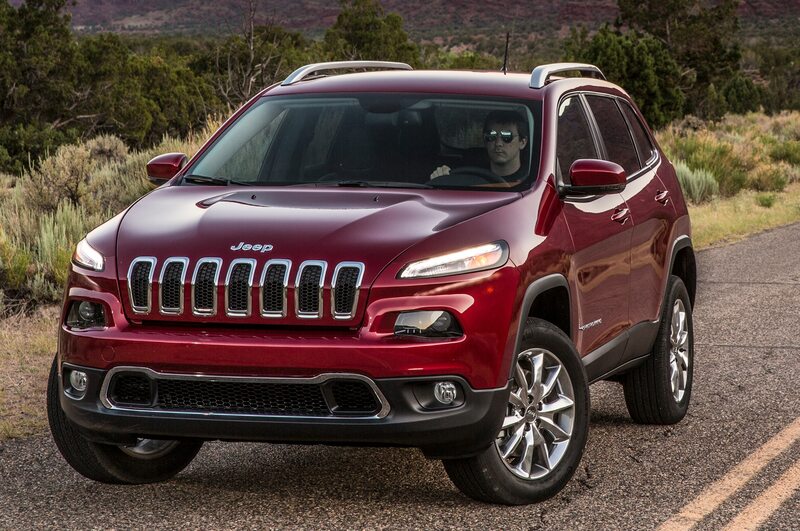 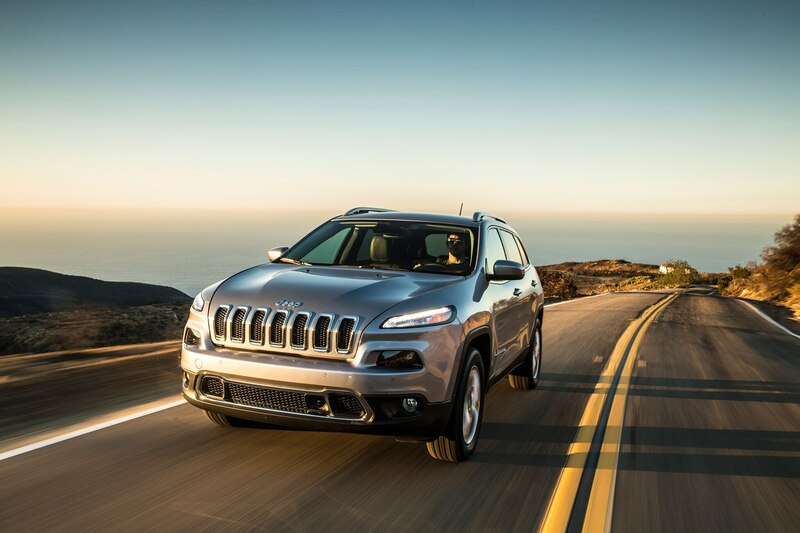 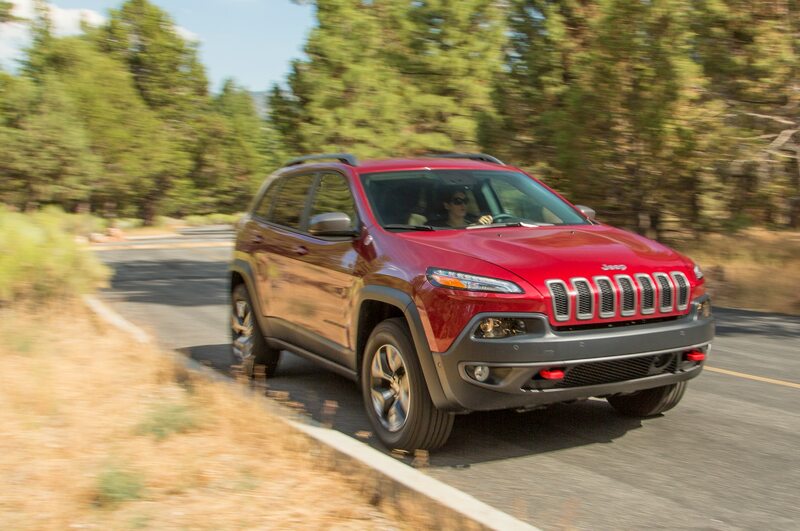 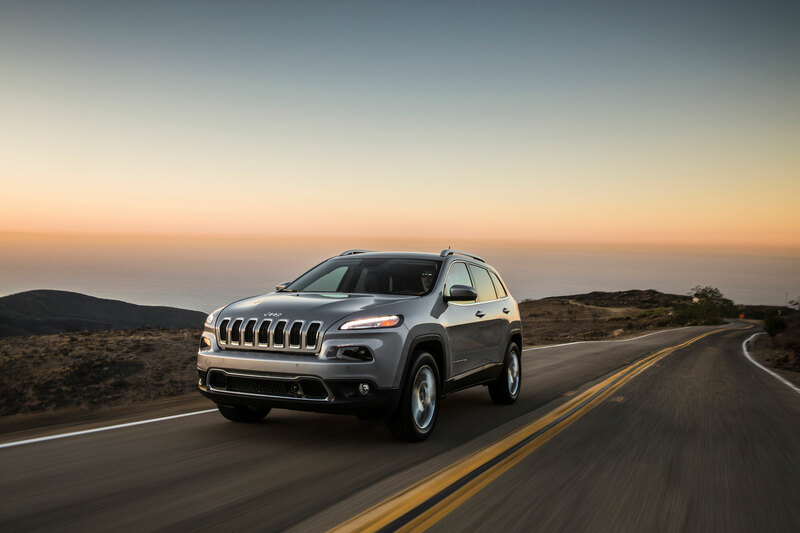 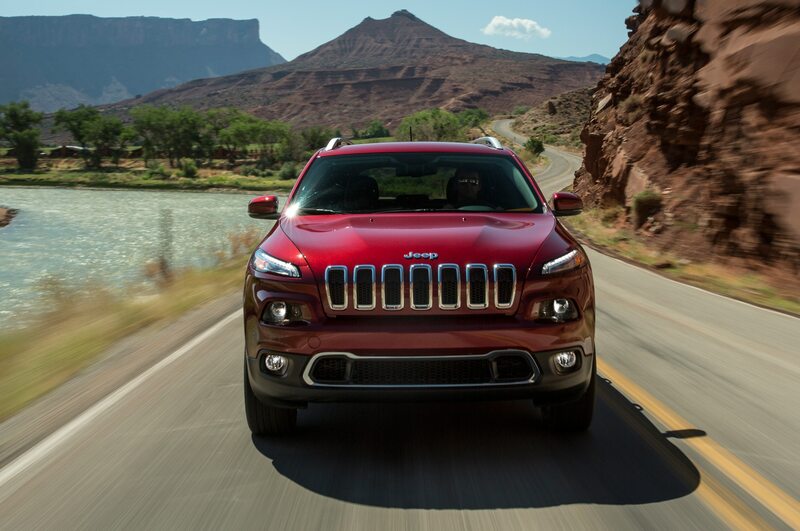 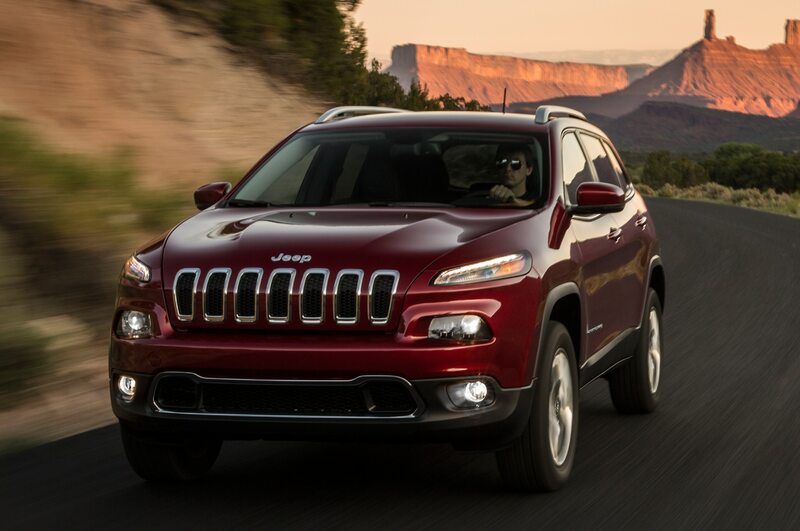 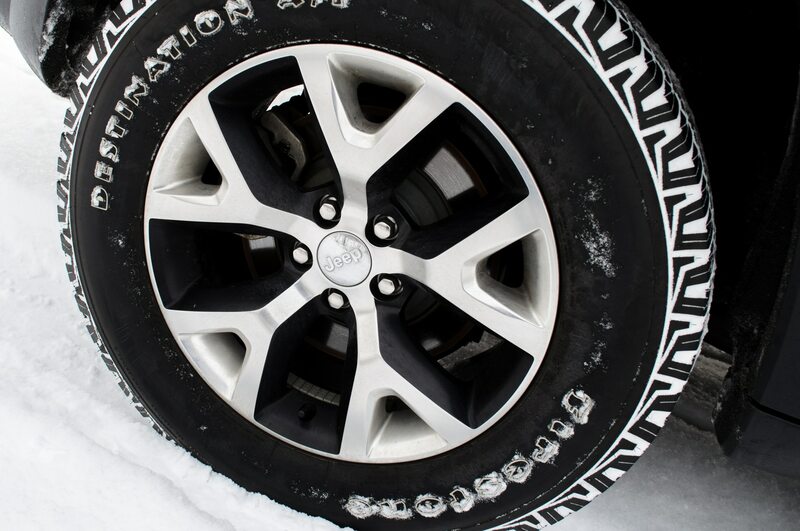 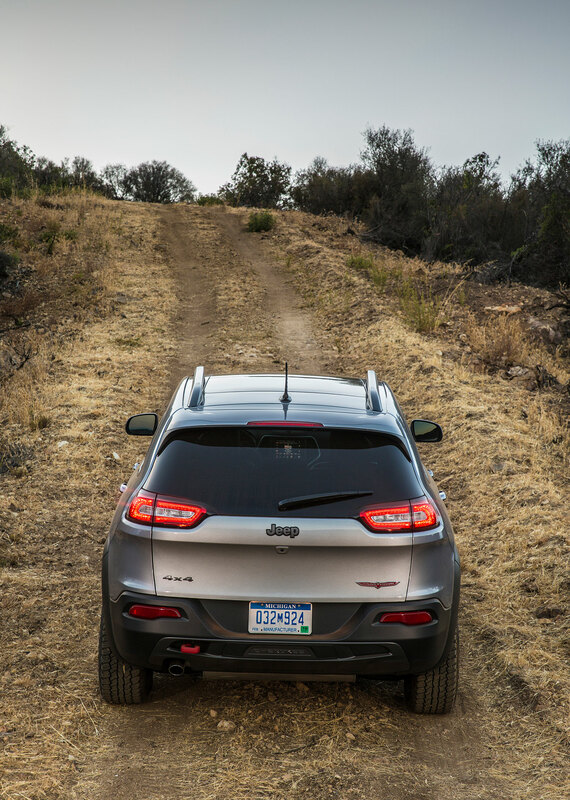 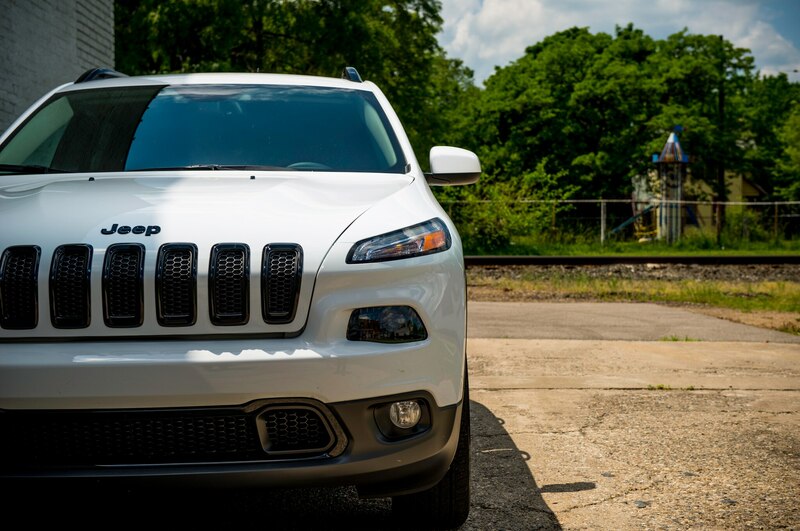 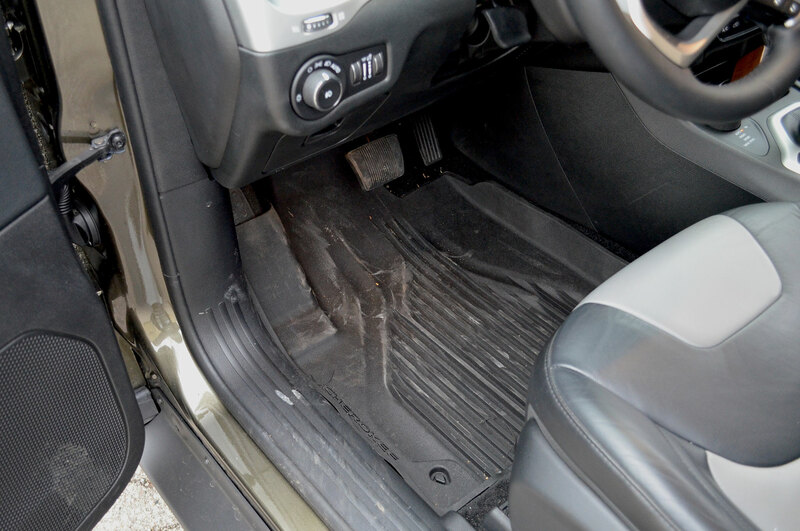 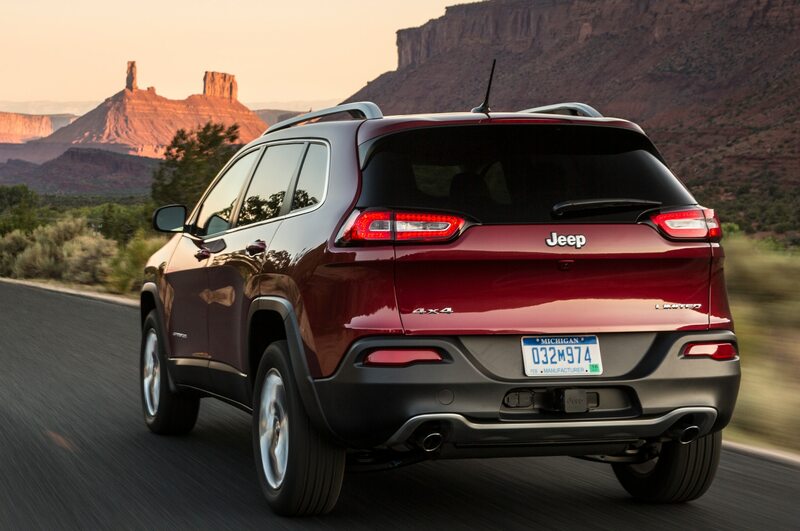 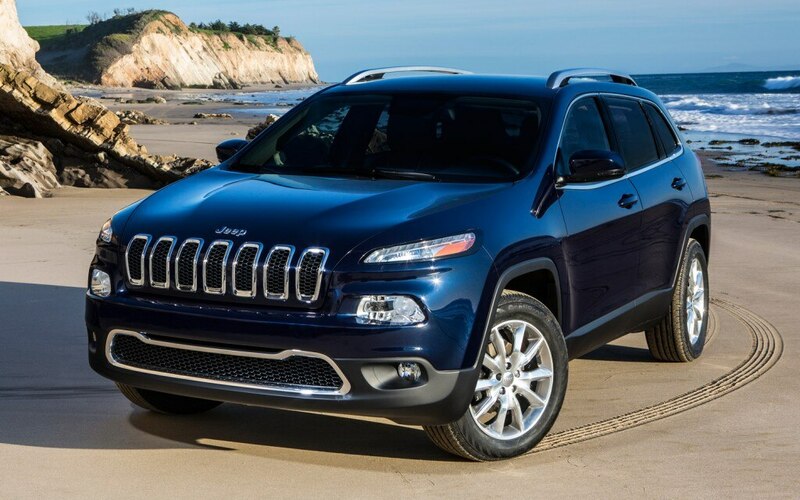 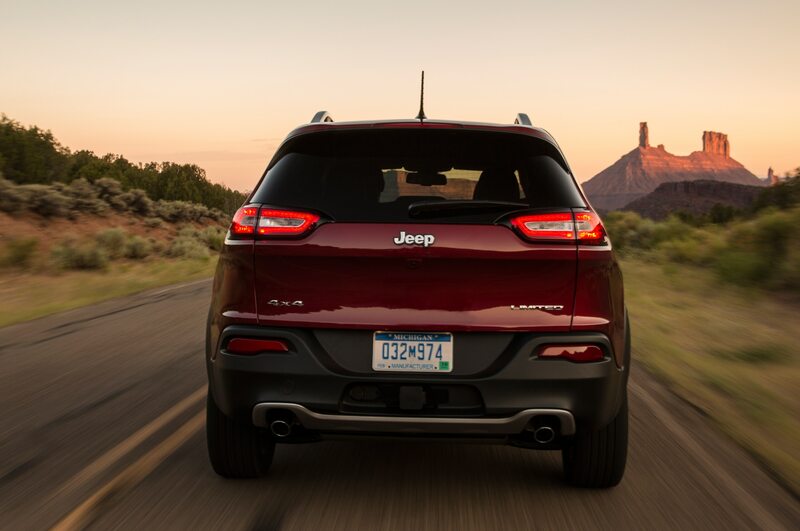 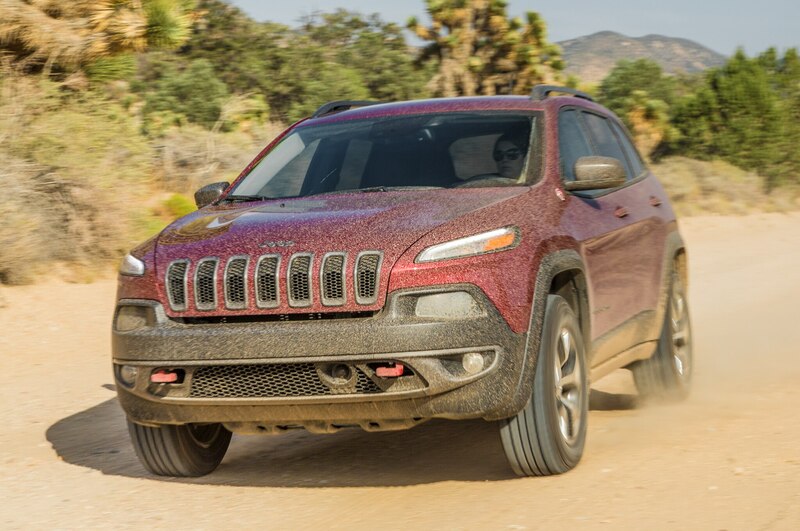 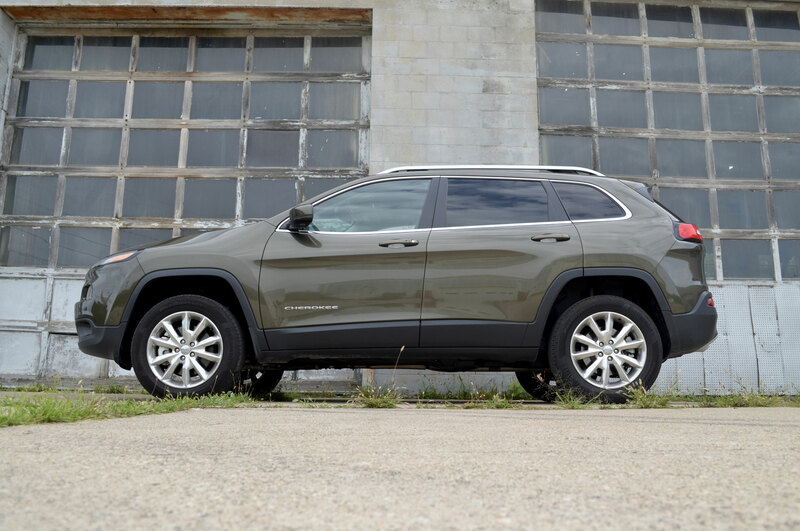 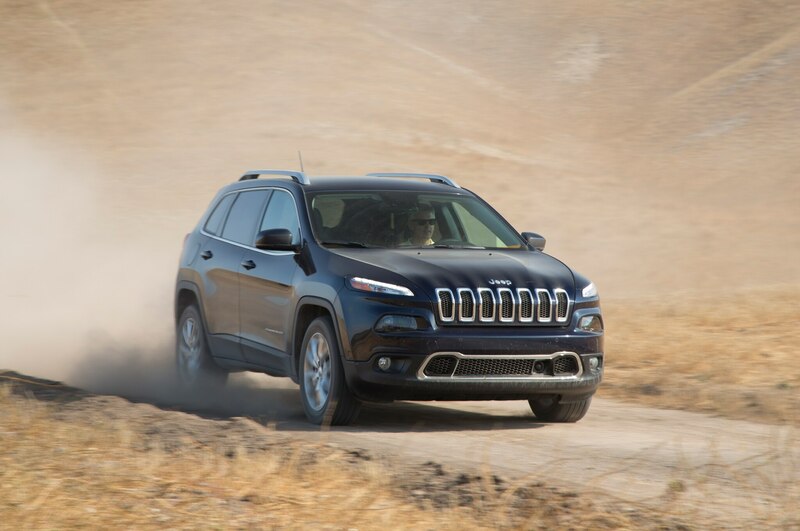 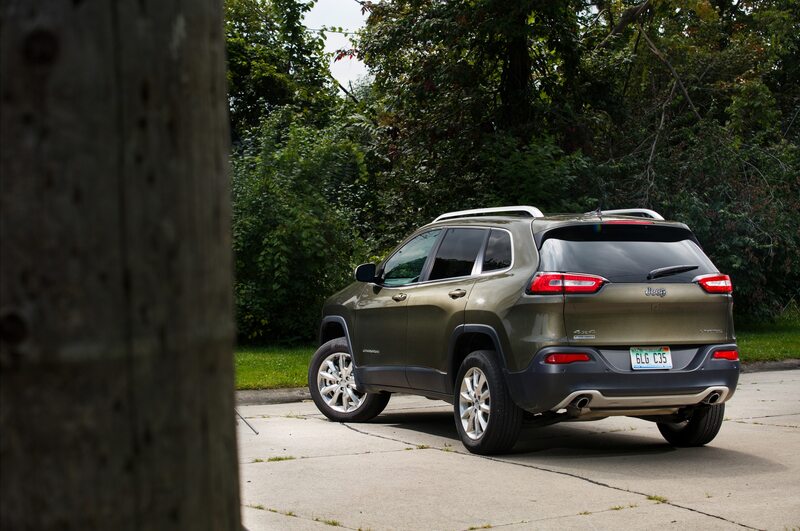 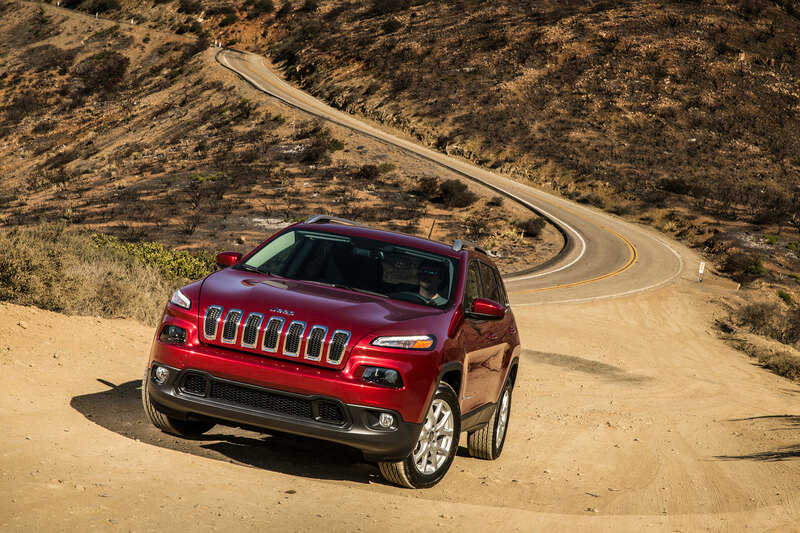 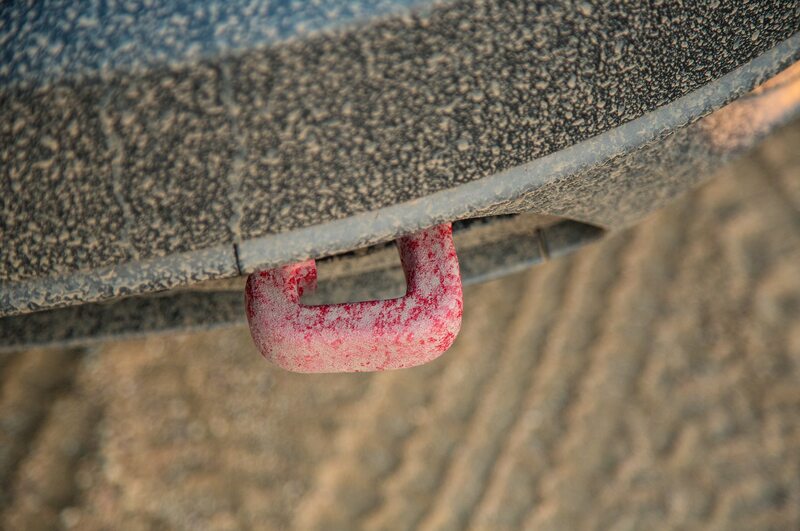 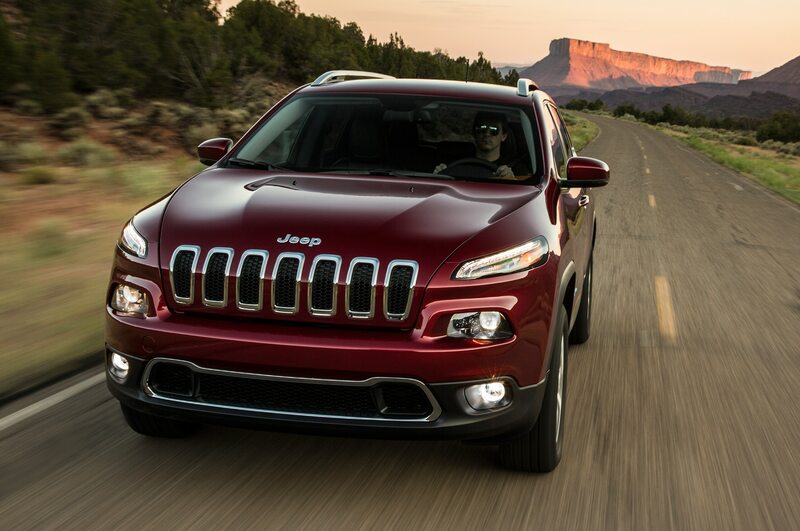 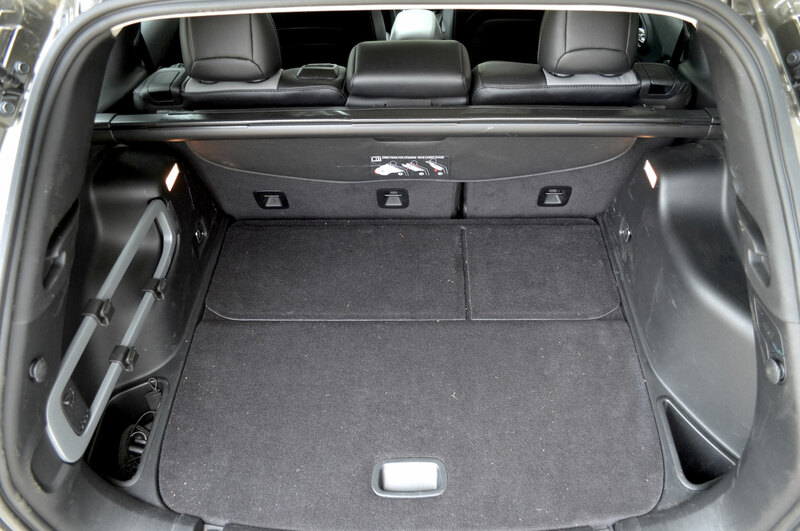 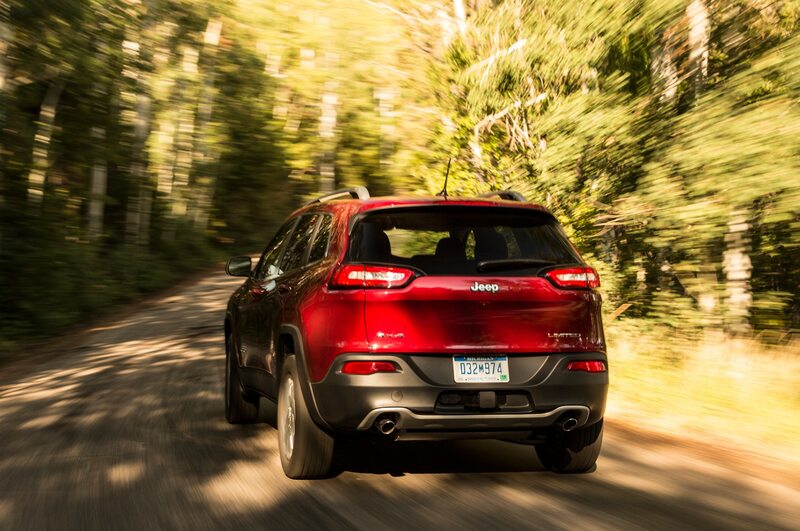 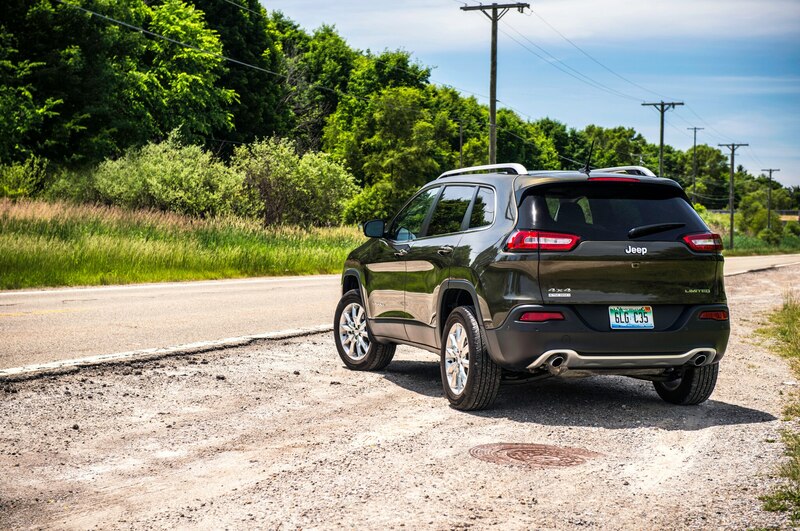 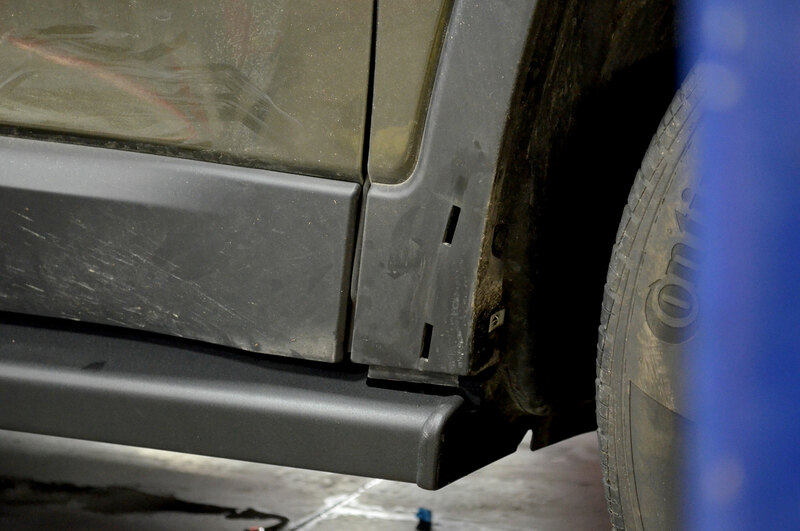 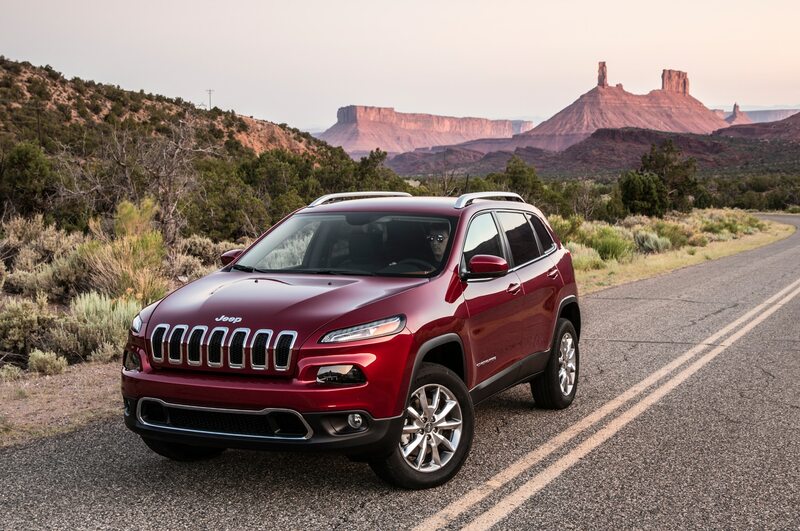 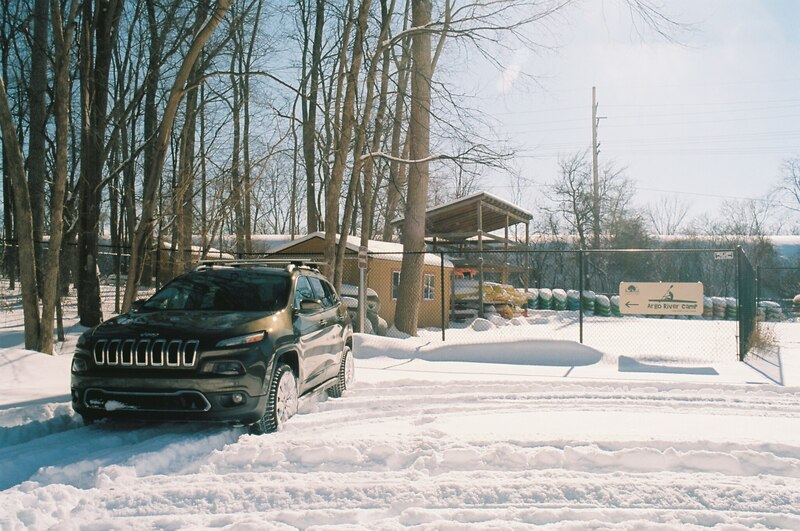 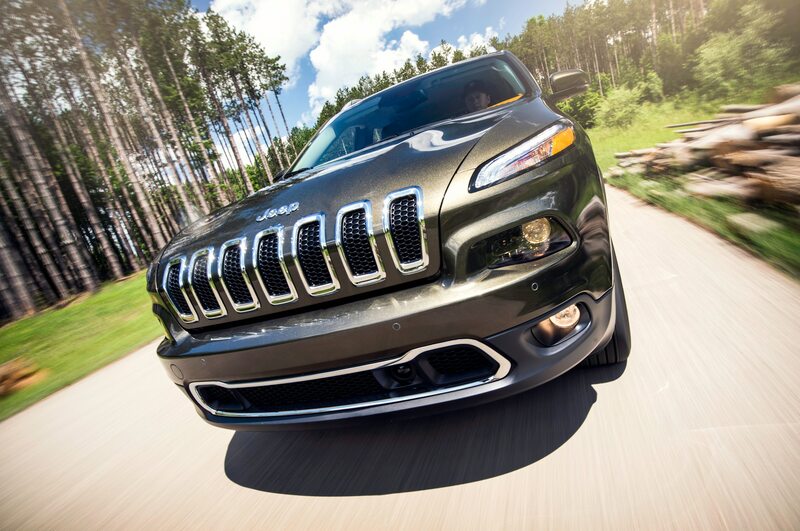 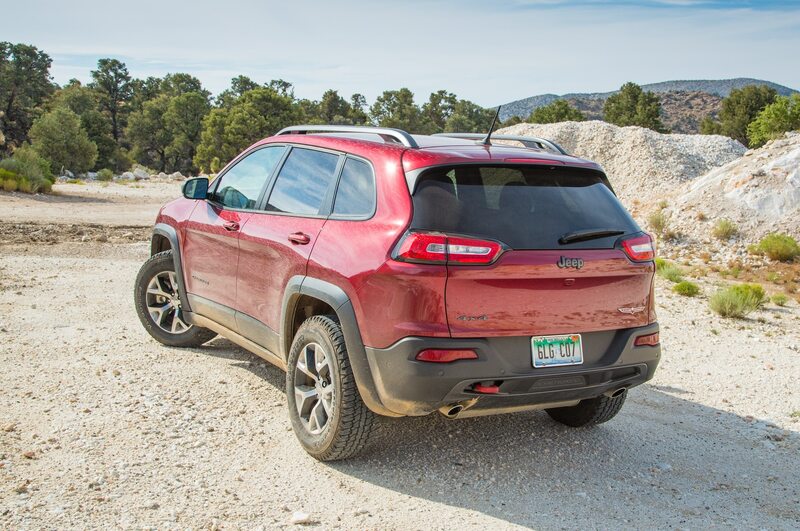 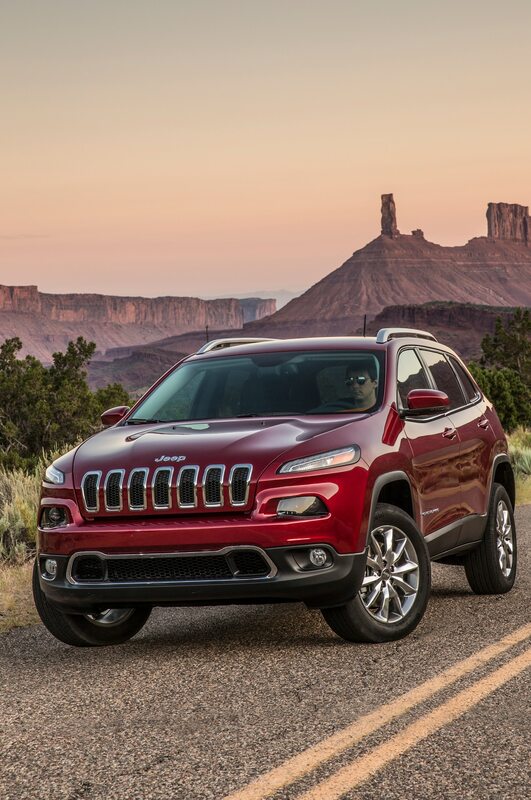 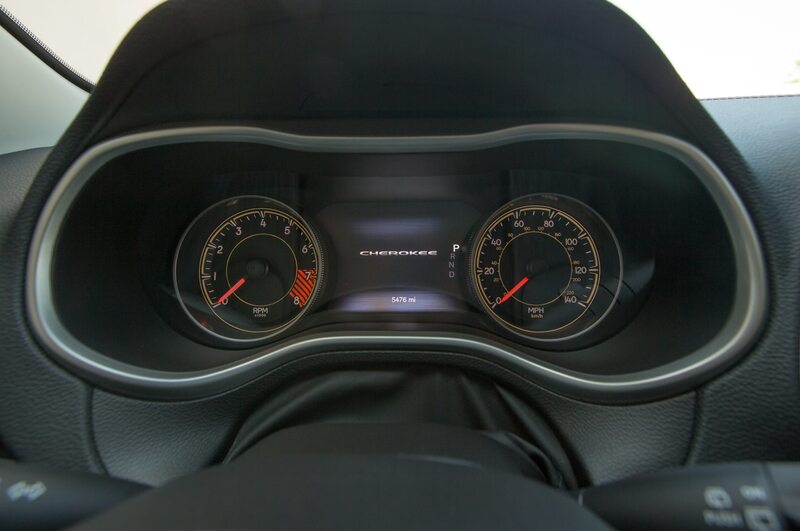 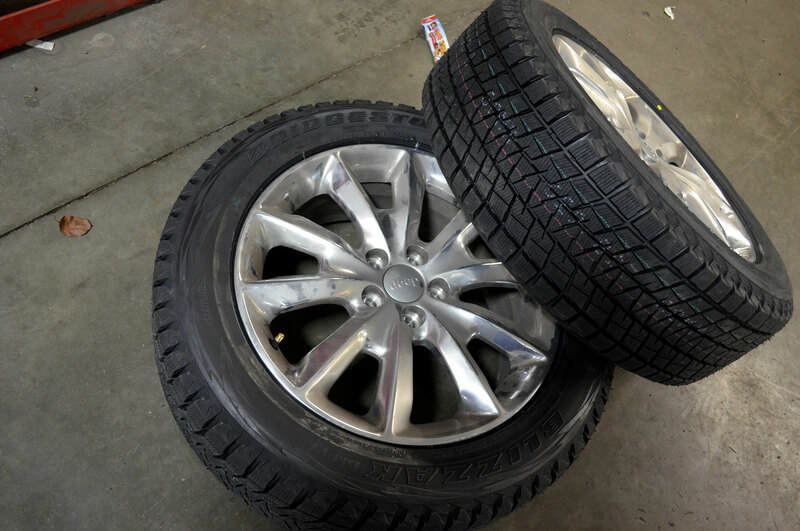 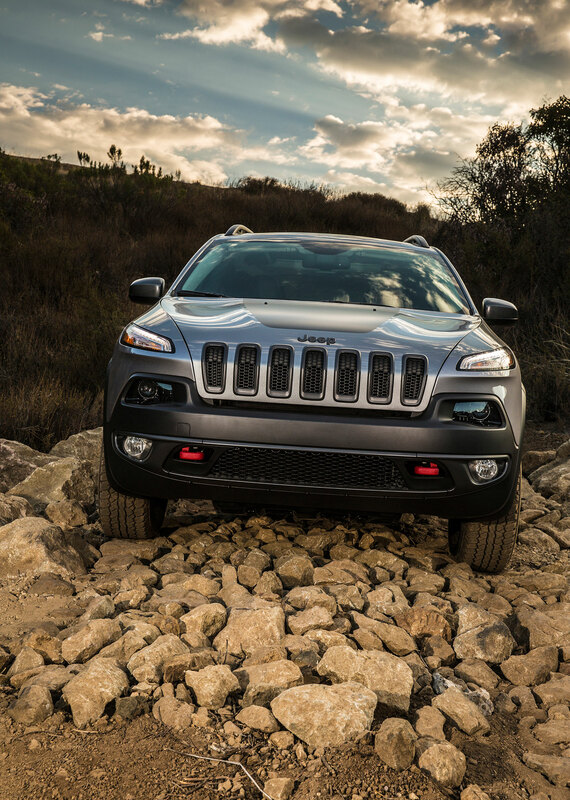 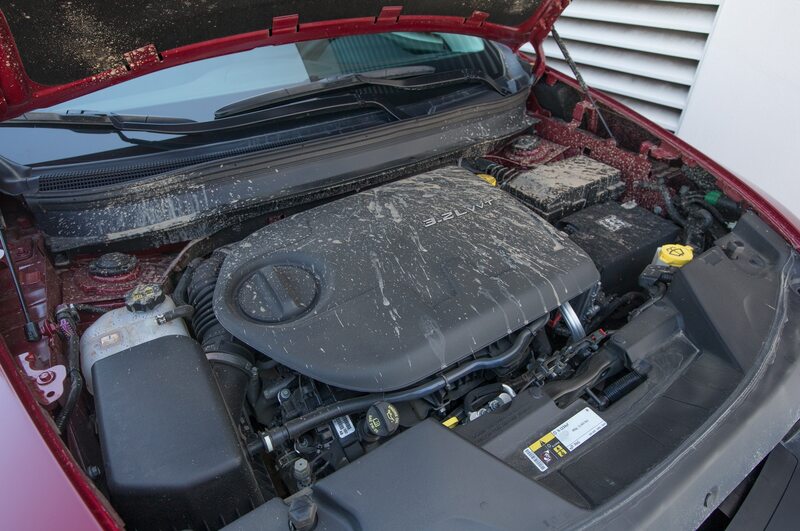 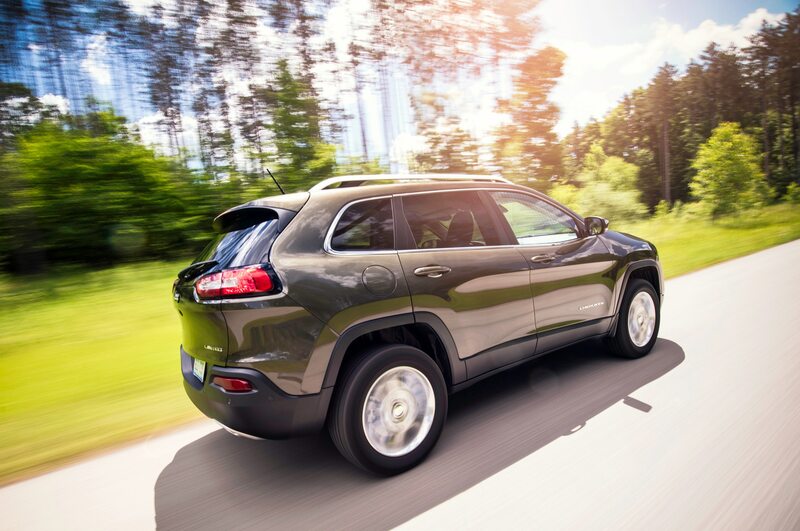 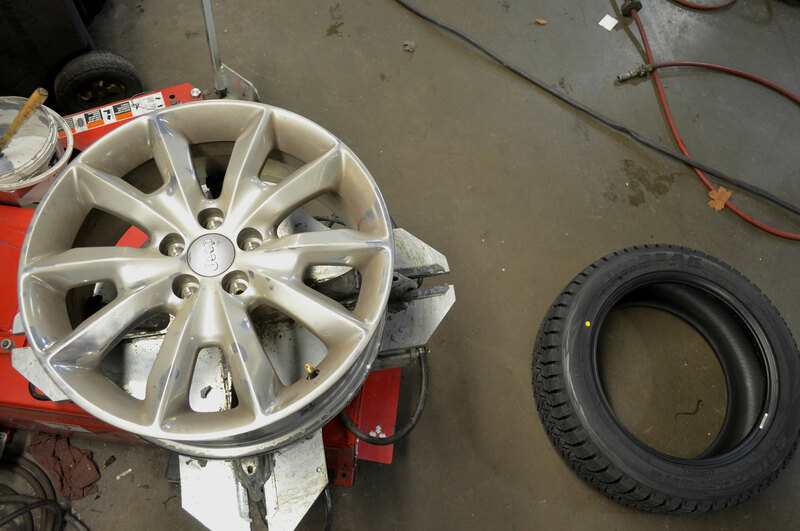 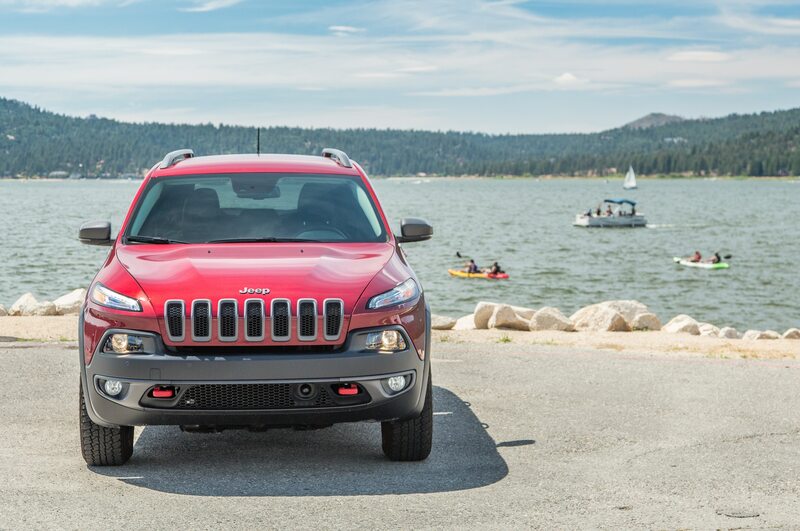 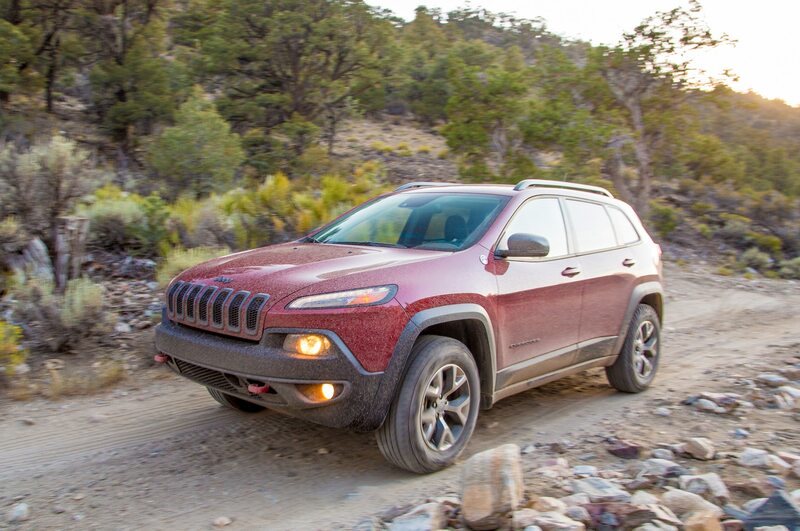 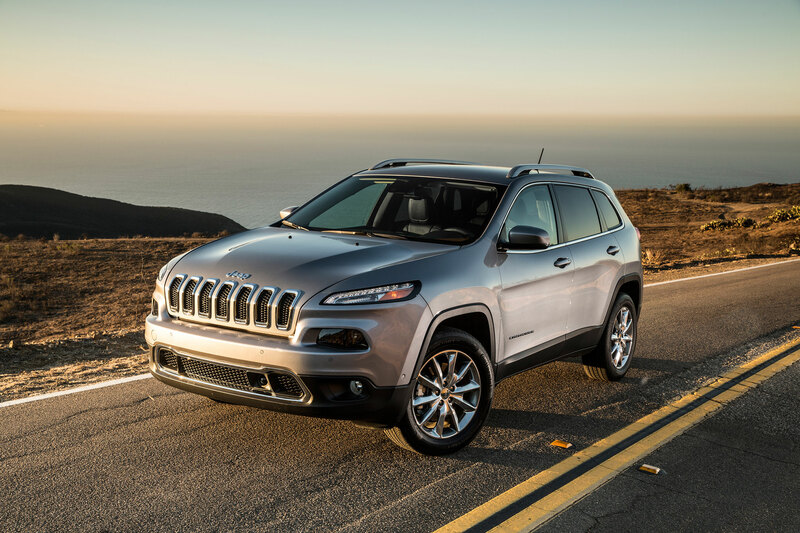 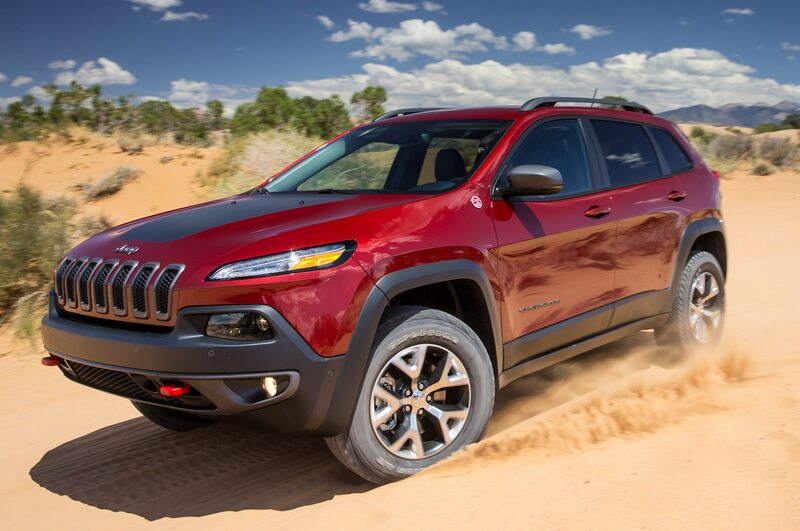 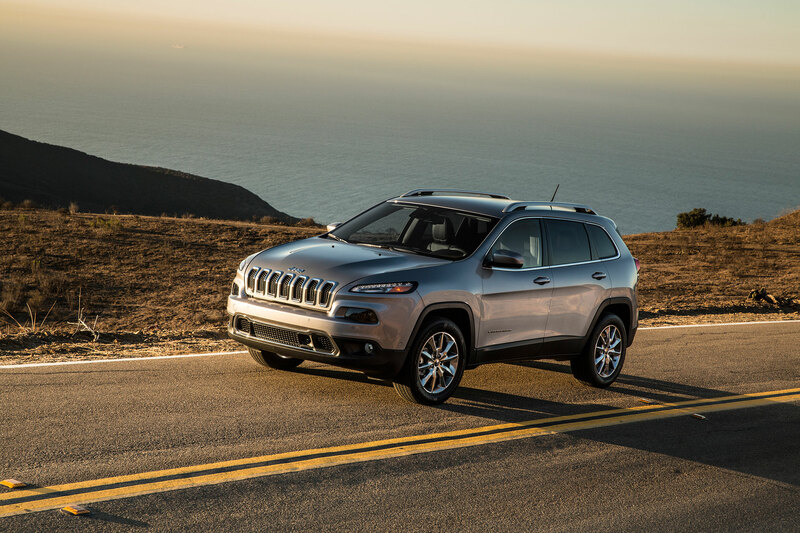 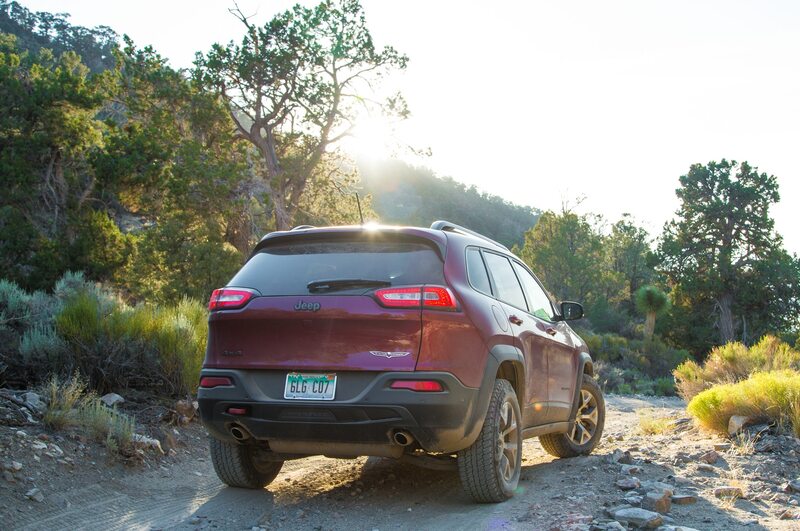 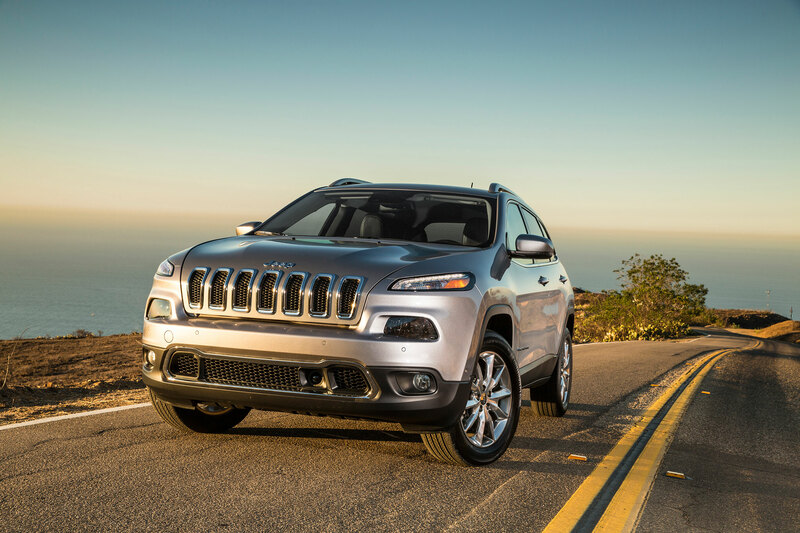 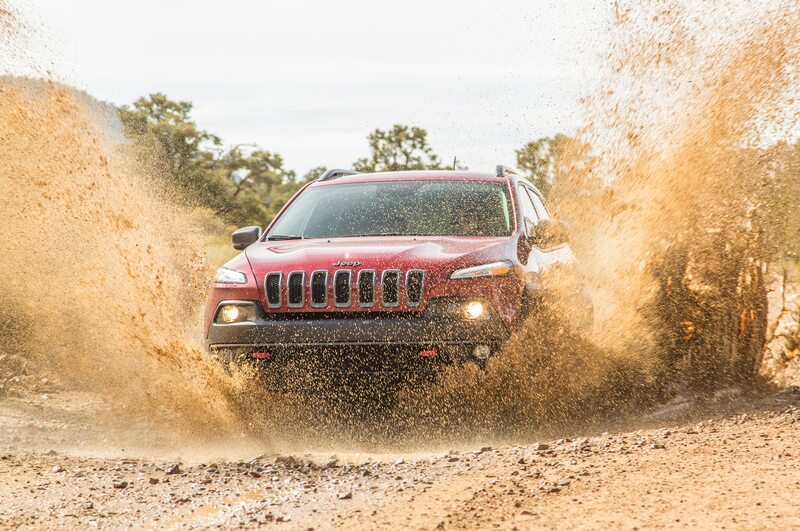 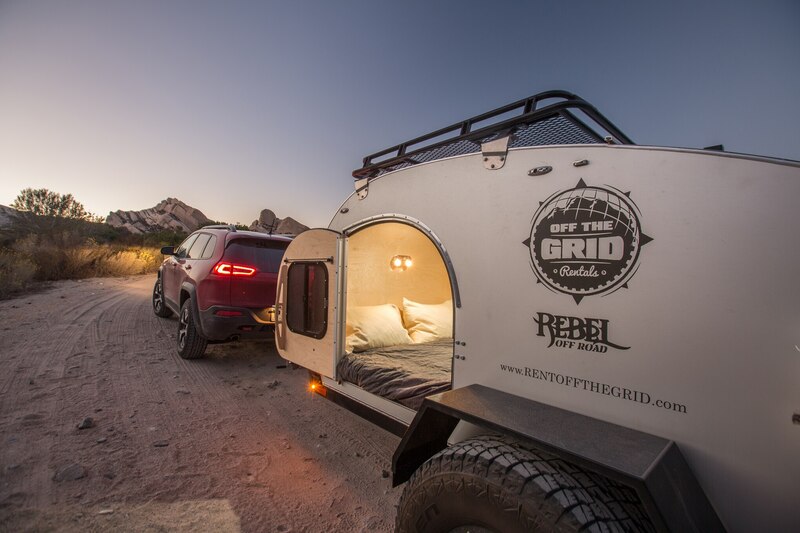 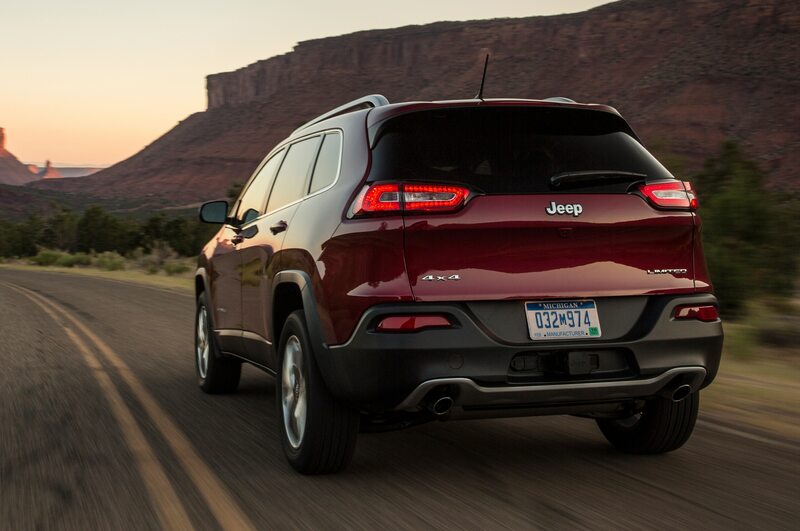 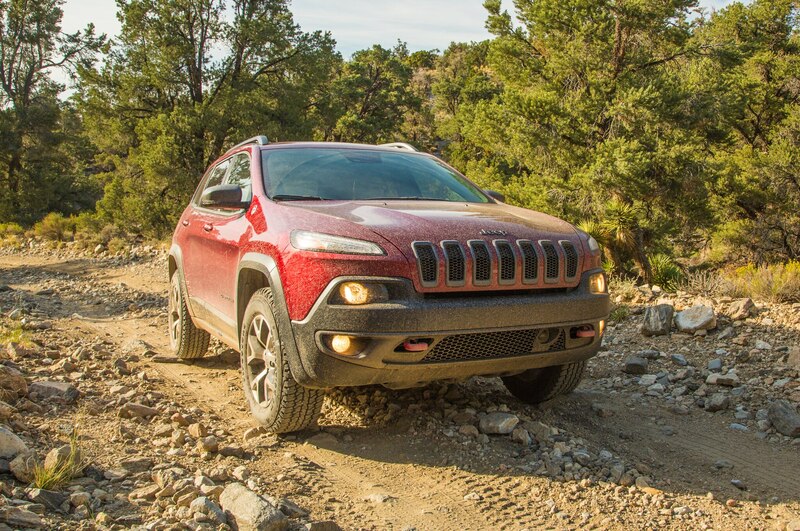 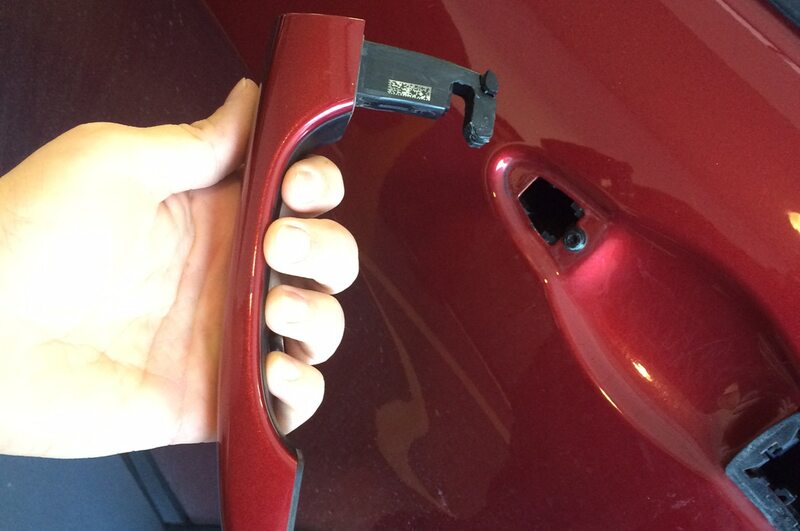 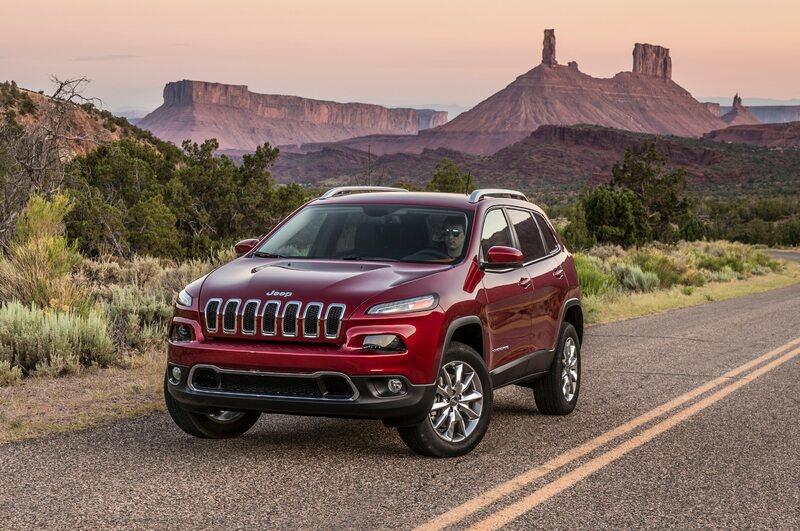 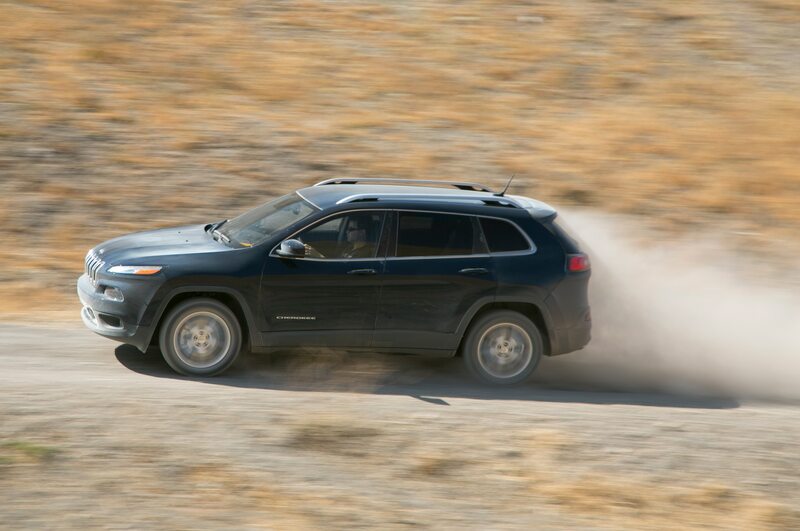 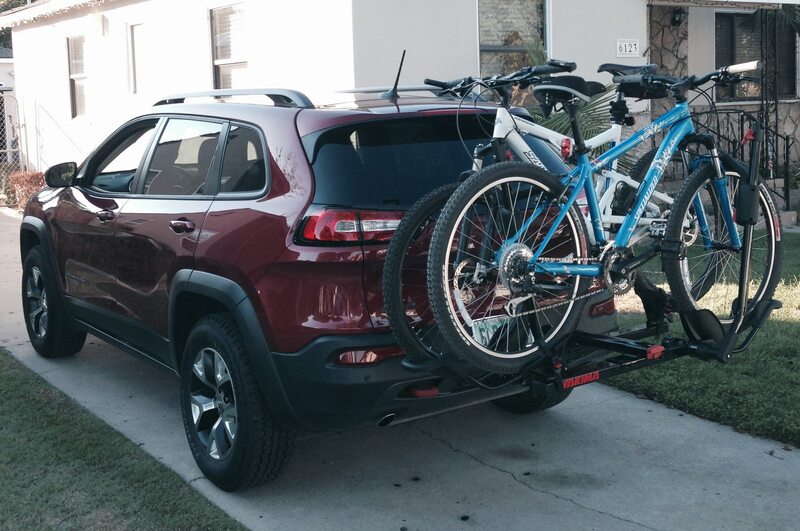 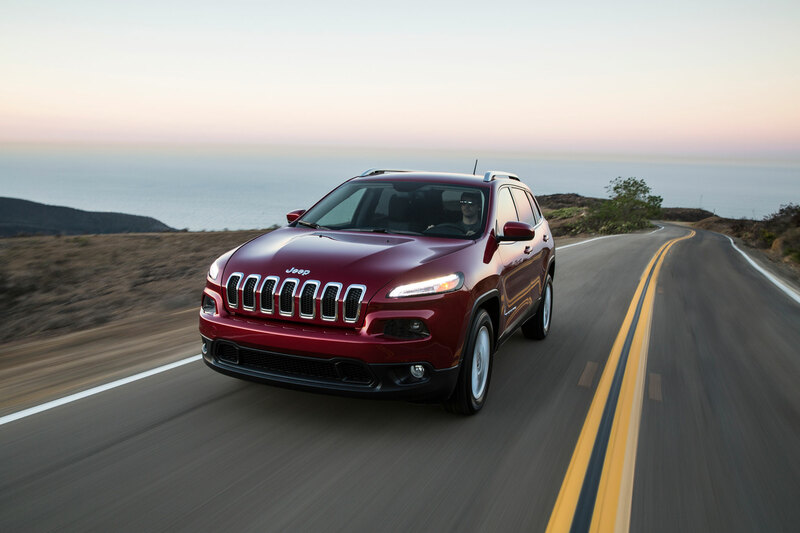 Official details on the 2014 Jeep Cherokee haven’t yet been revealed, but, due to the new Cherokee’s car-based underpinnings critics are already doubting the Liberty replacement’s off-road prowess. 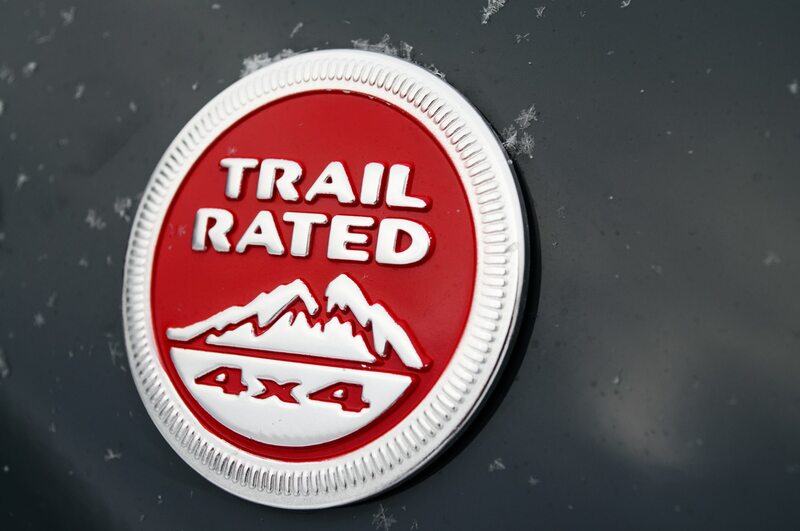 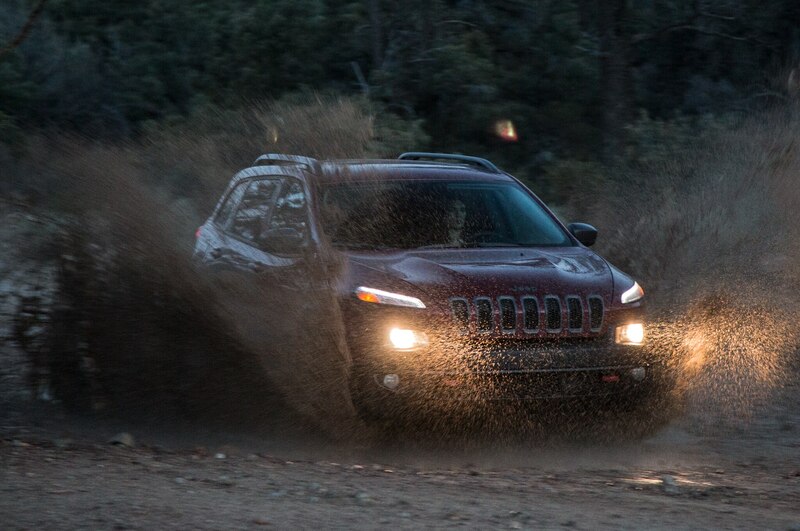 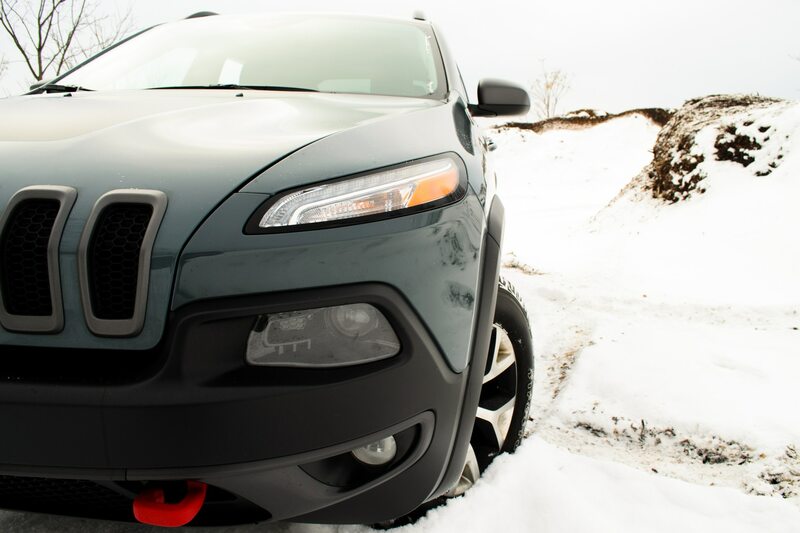 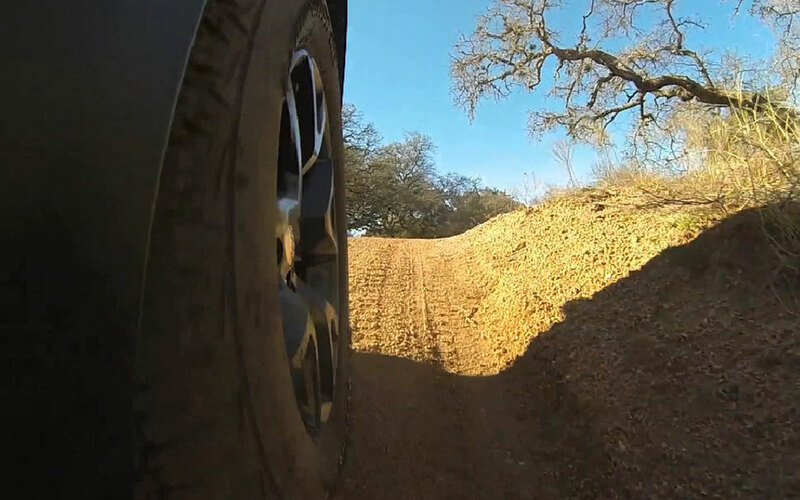 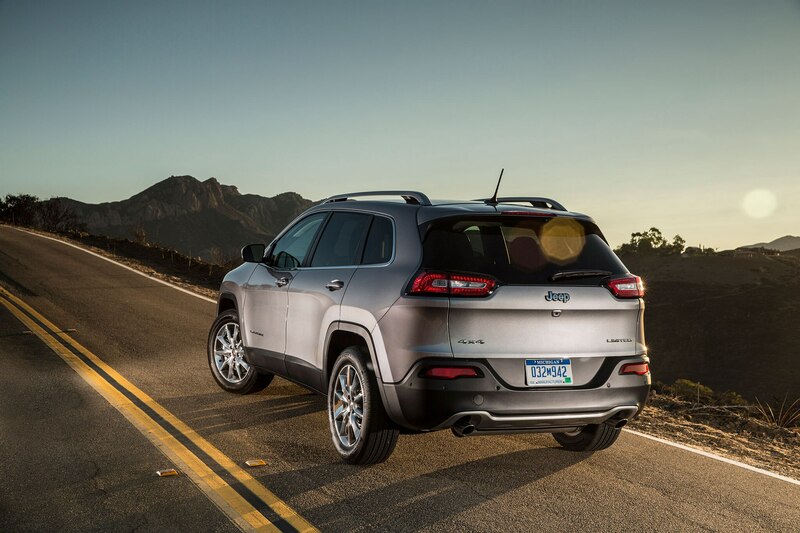 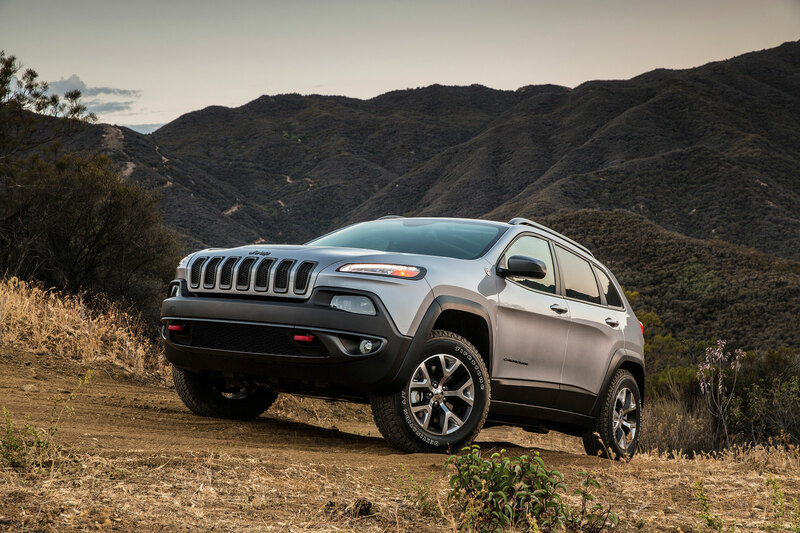 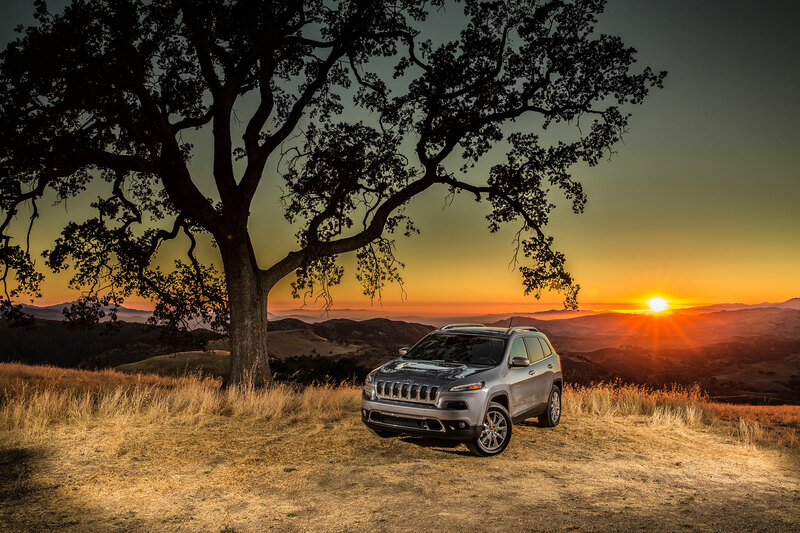 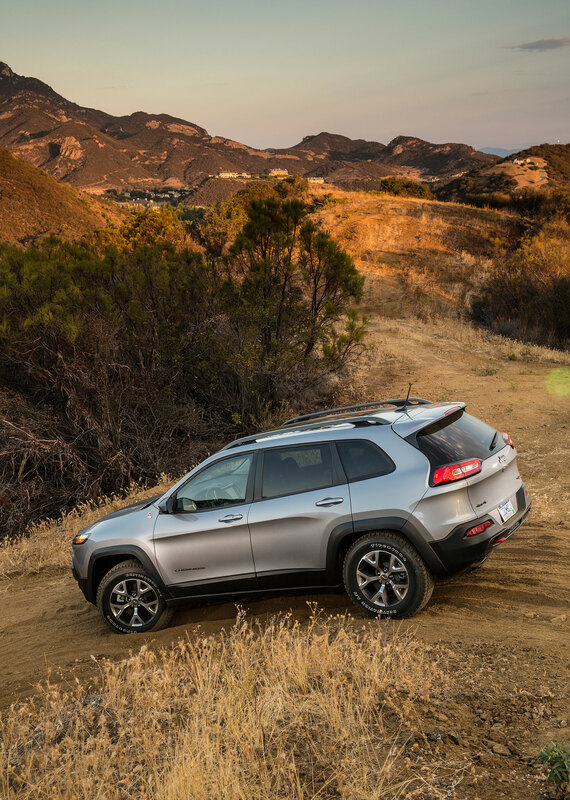 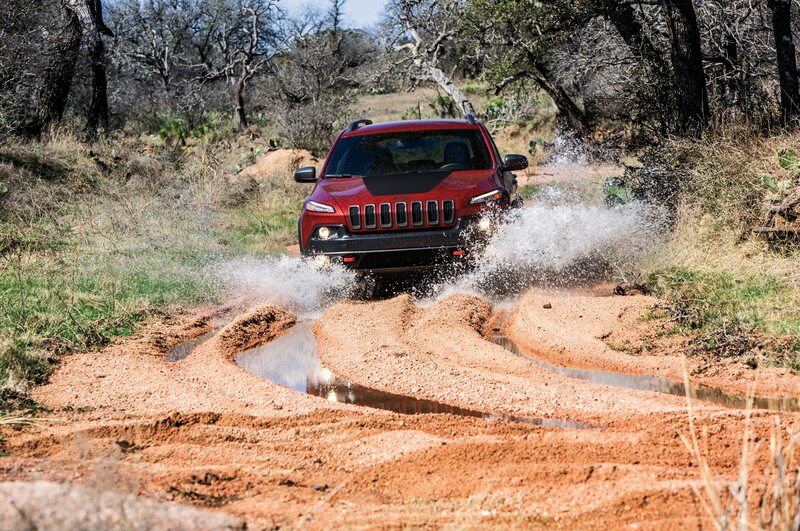 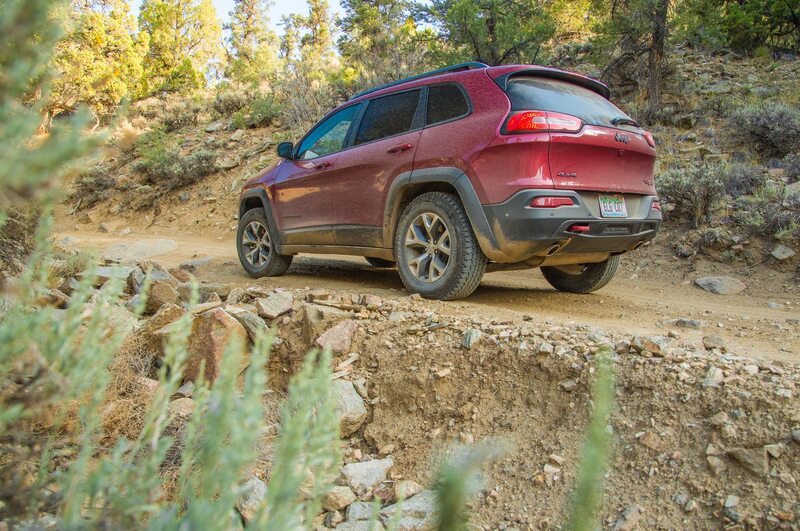 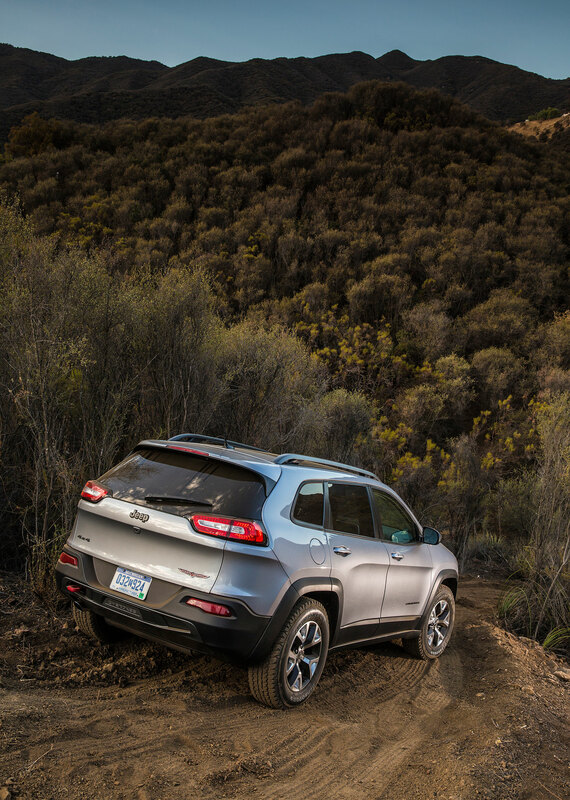 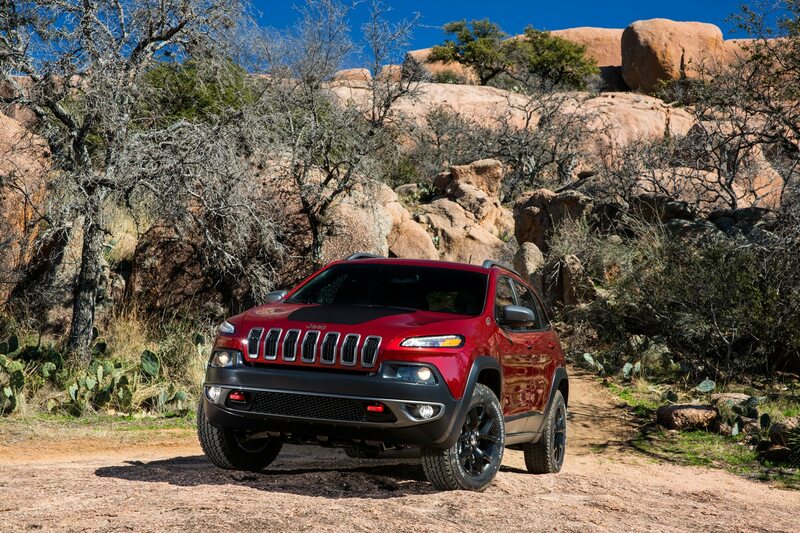 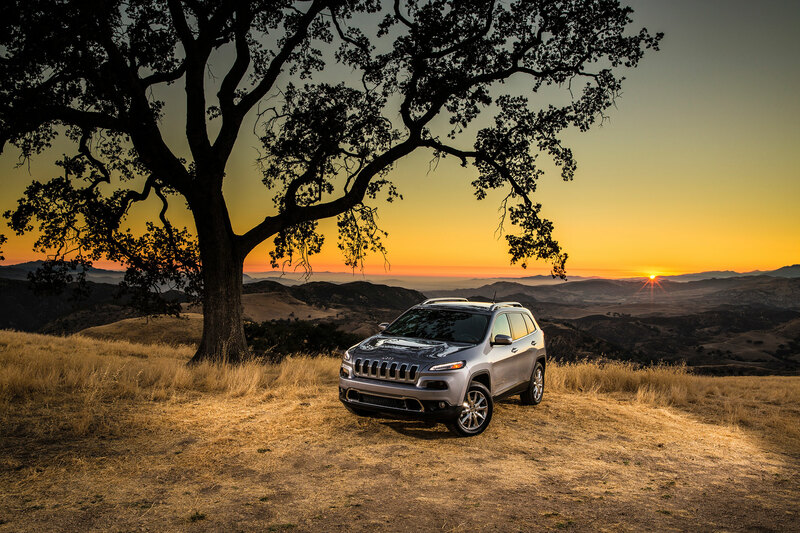 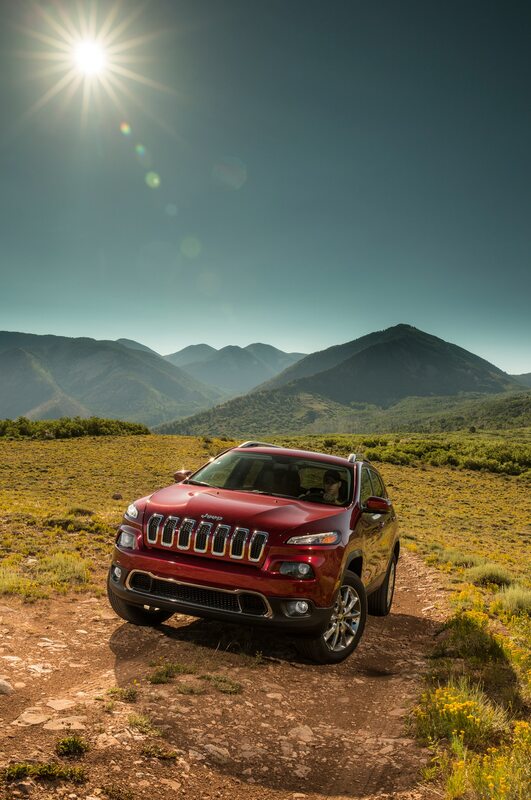 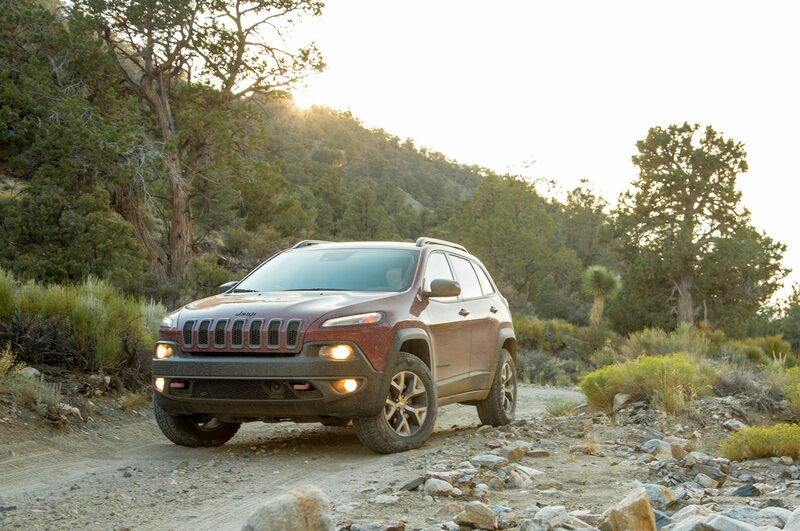 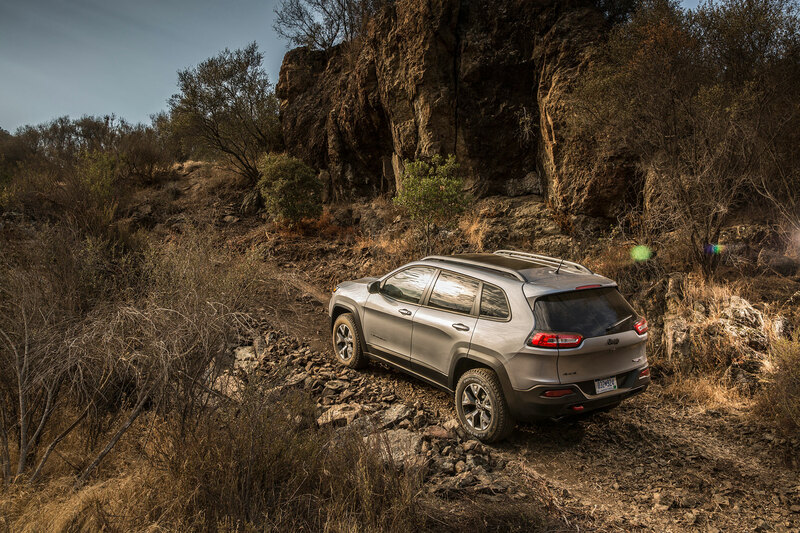 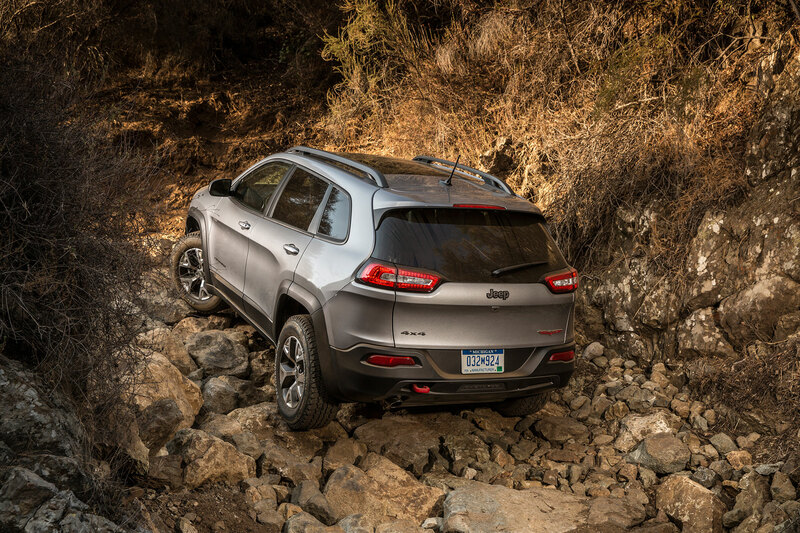 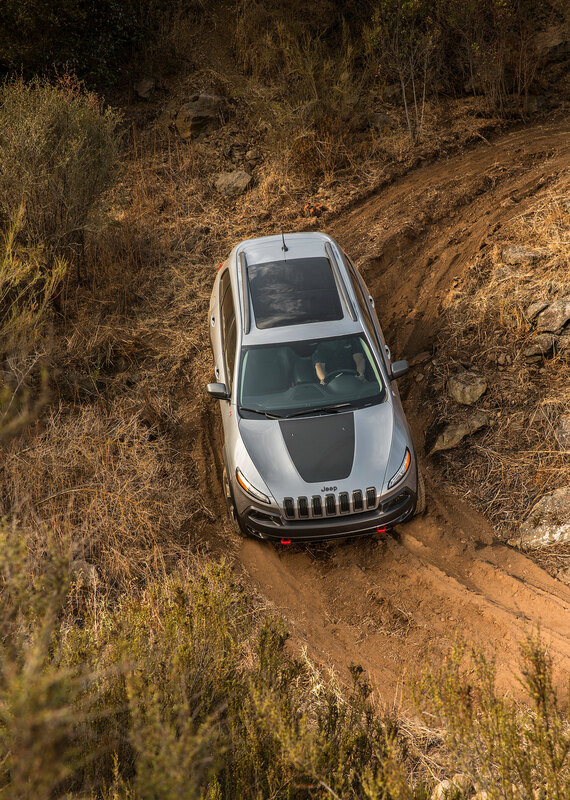 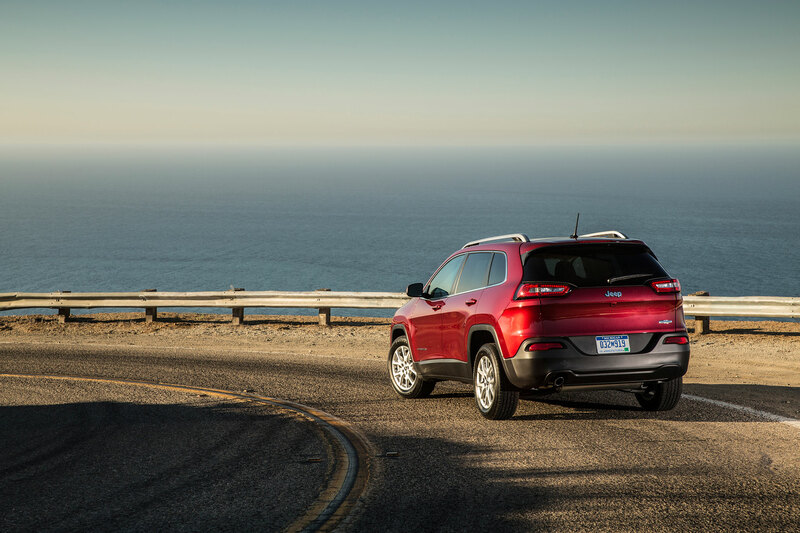 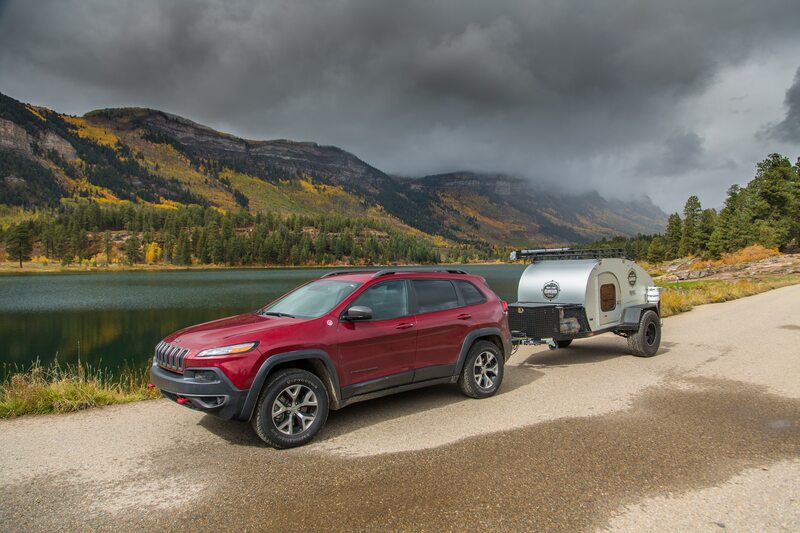 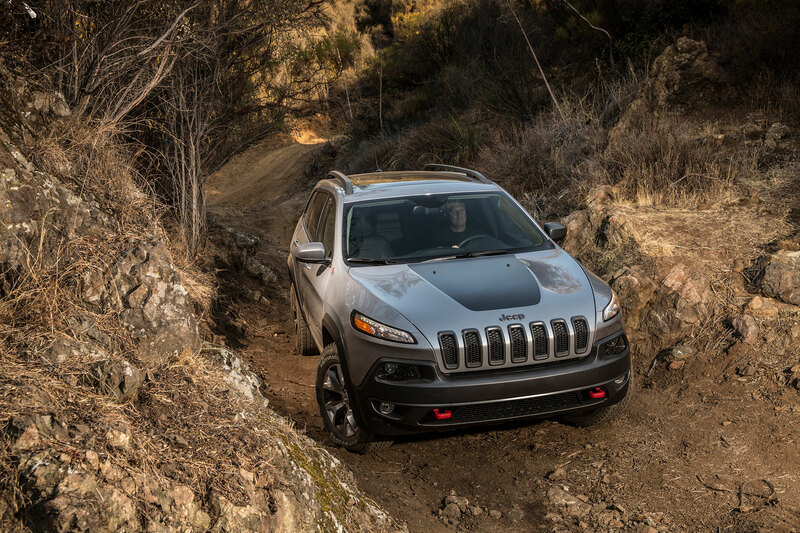 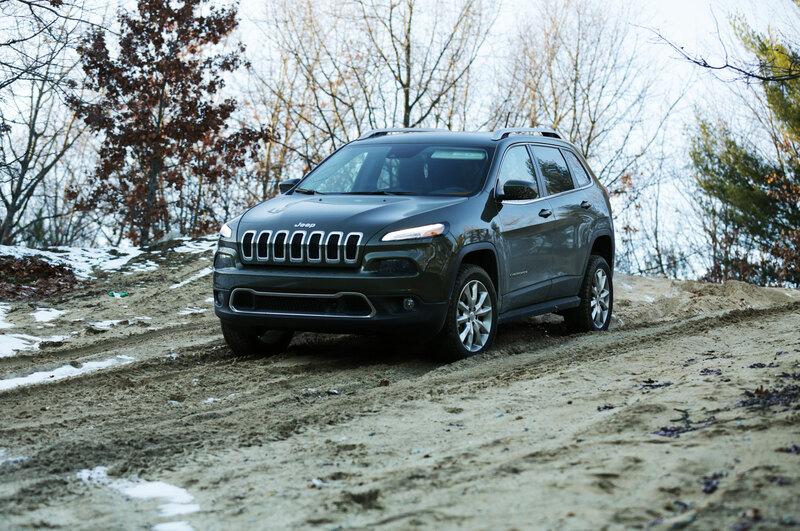 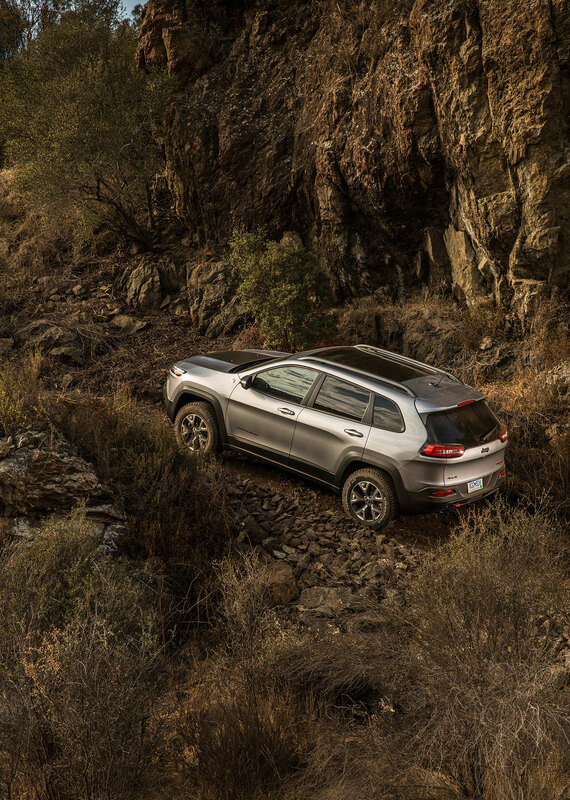 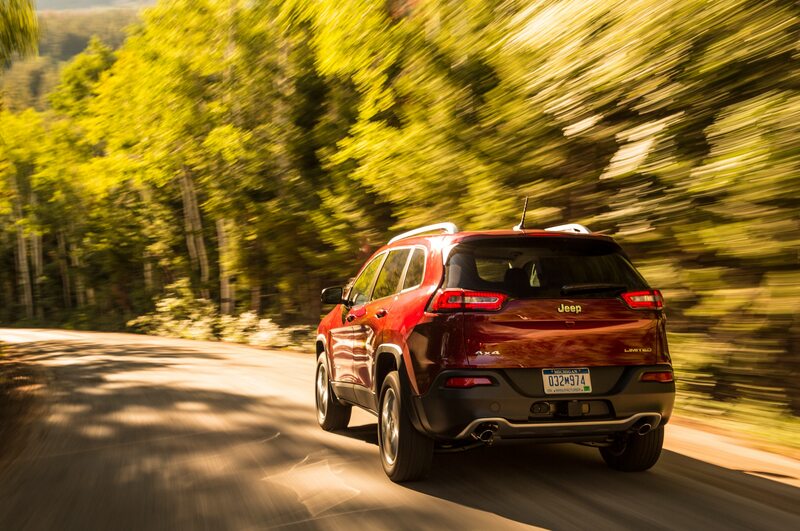 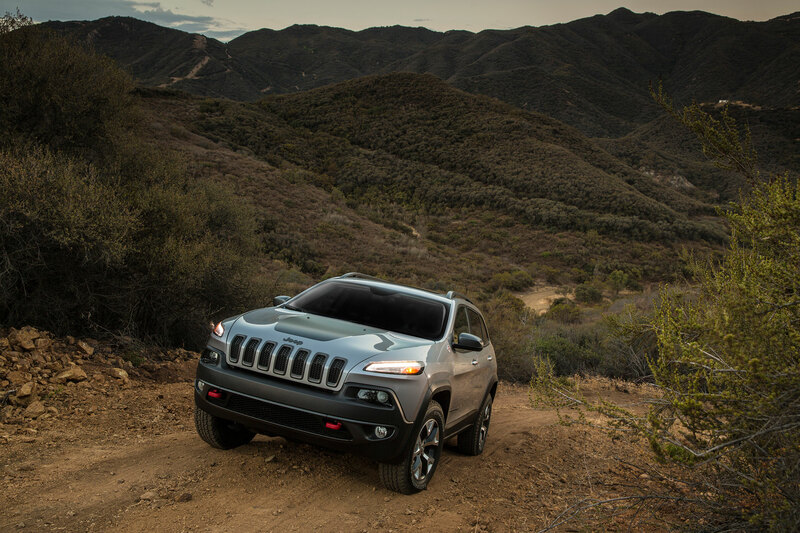 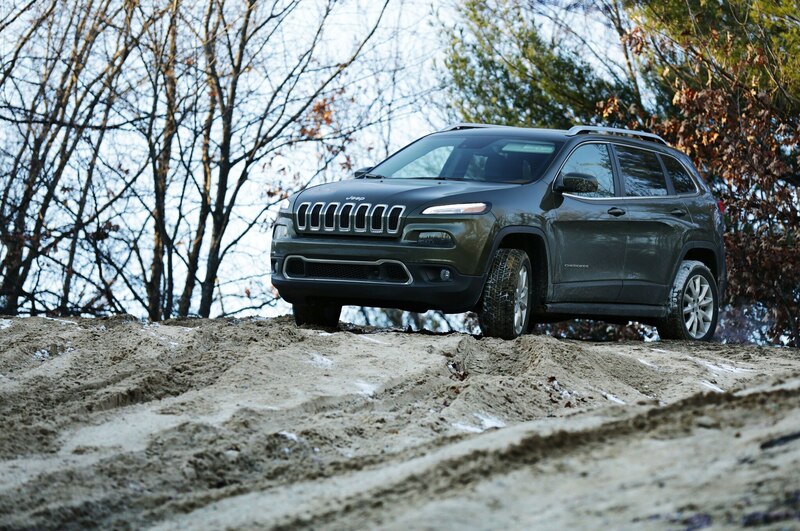 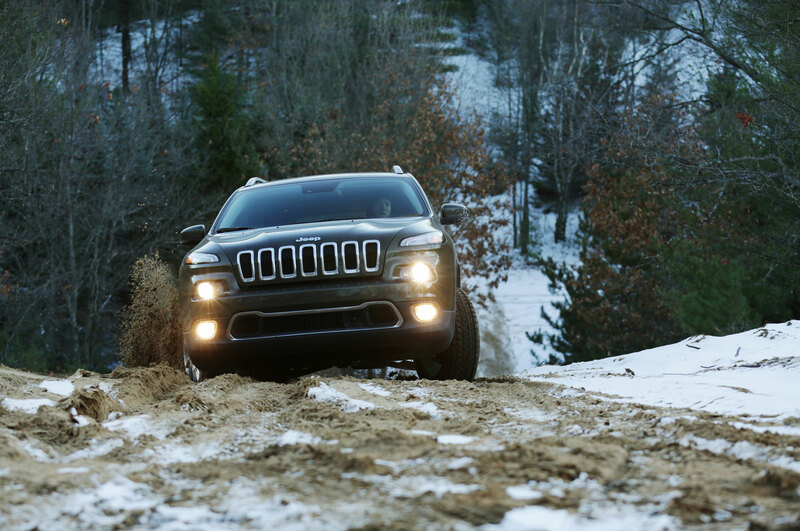 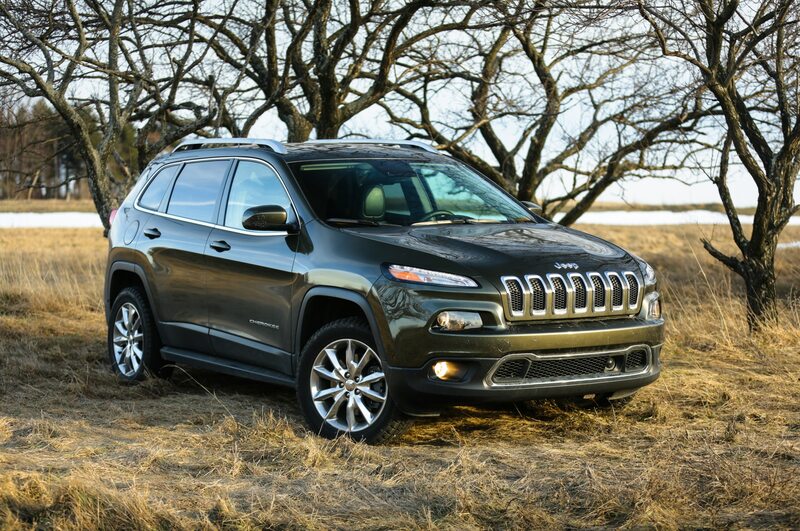 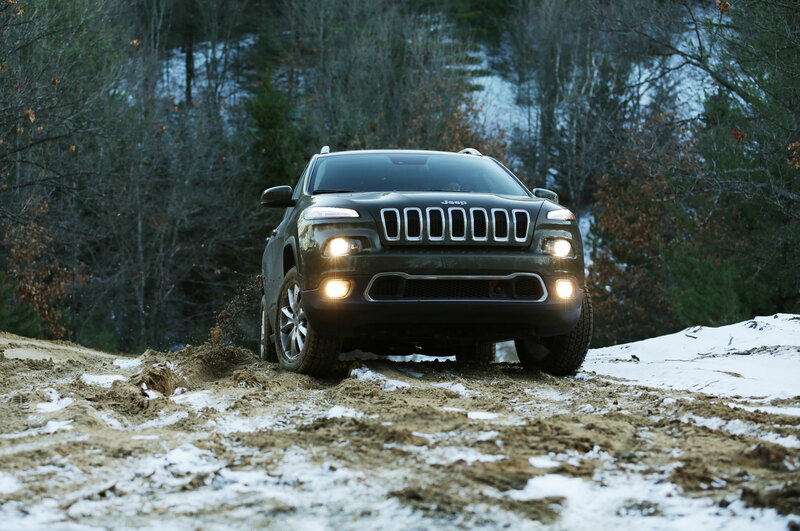 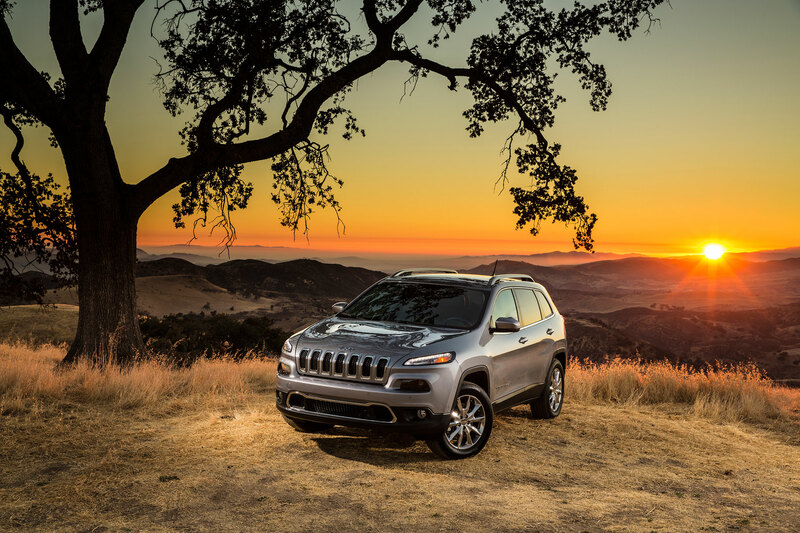 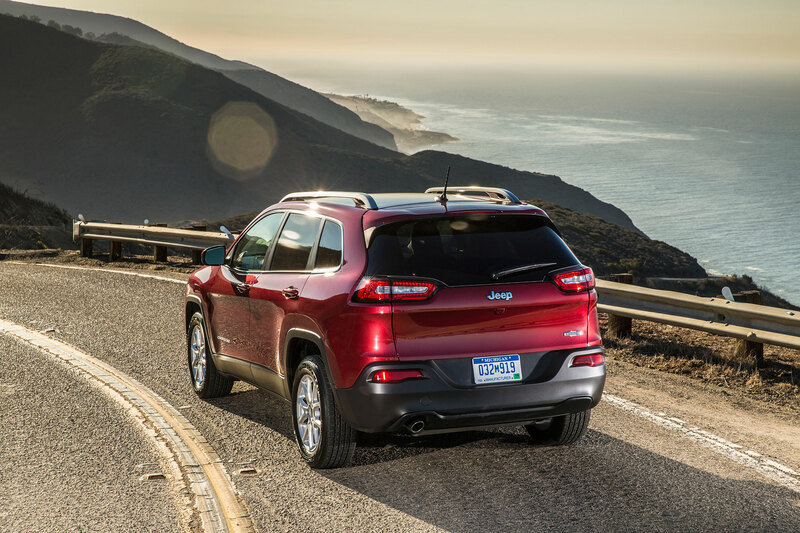 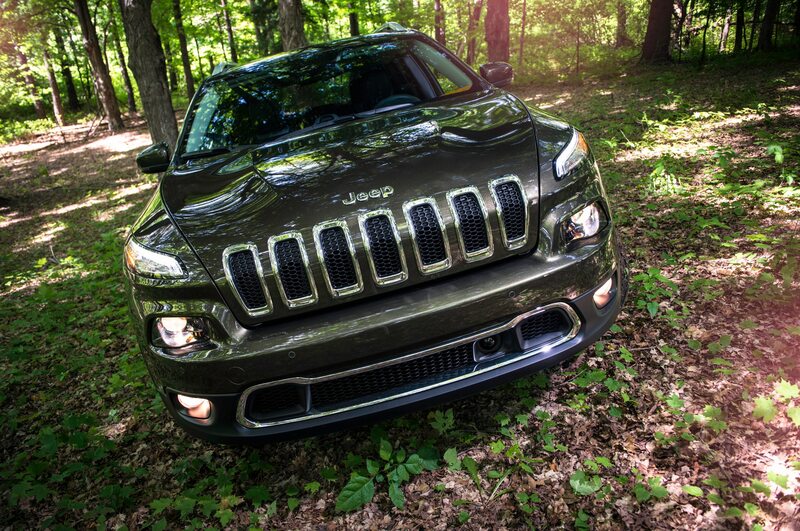 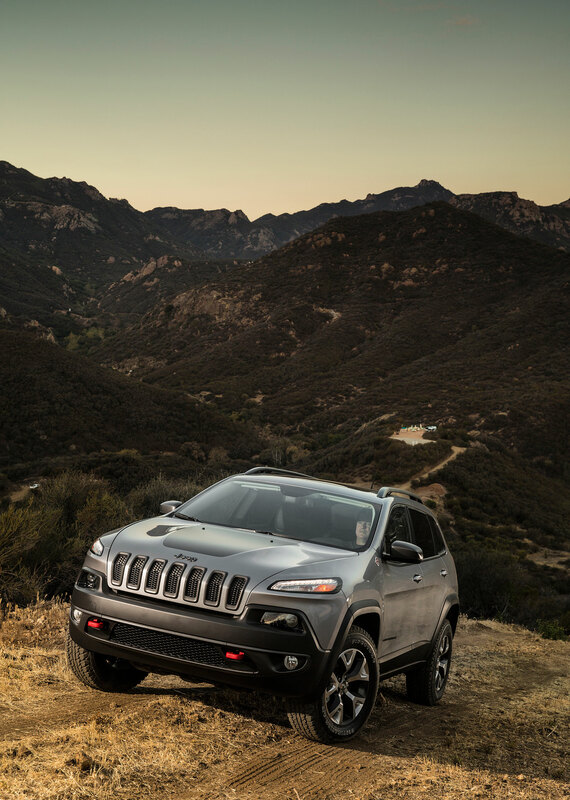 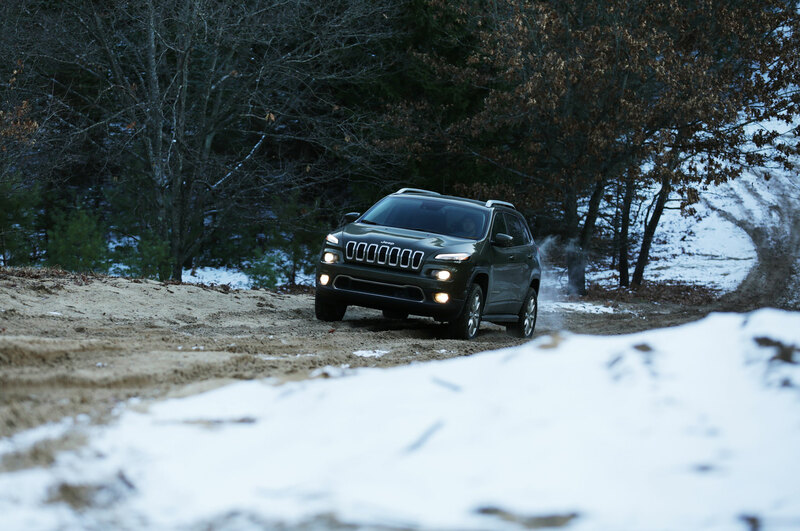 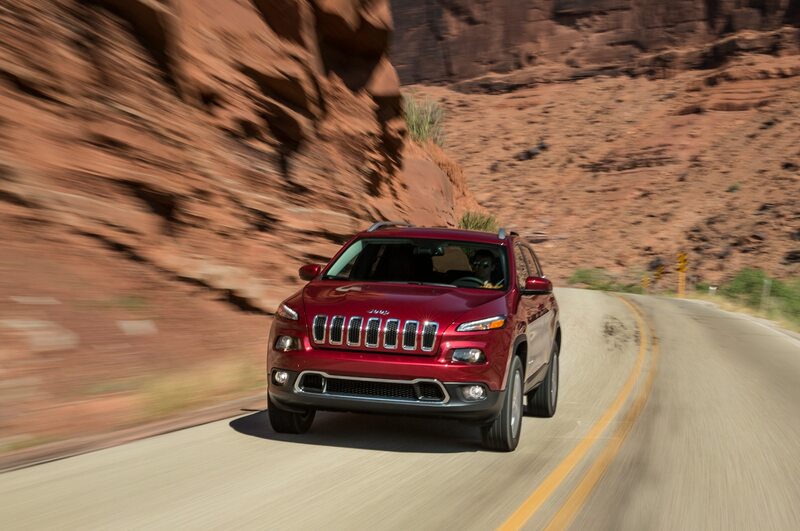 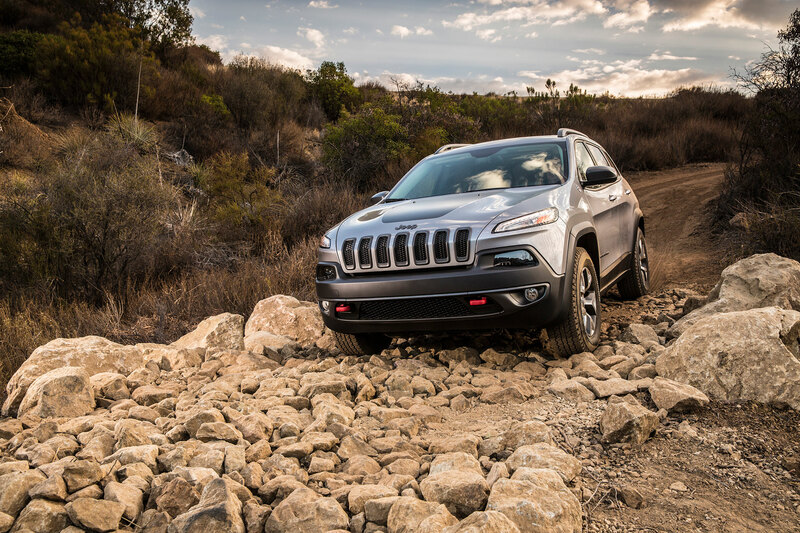 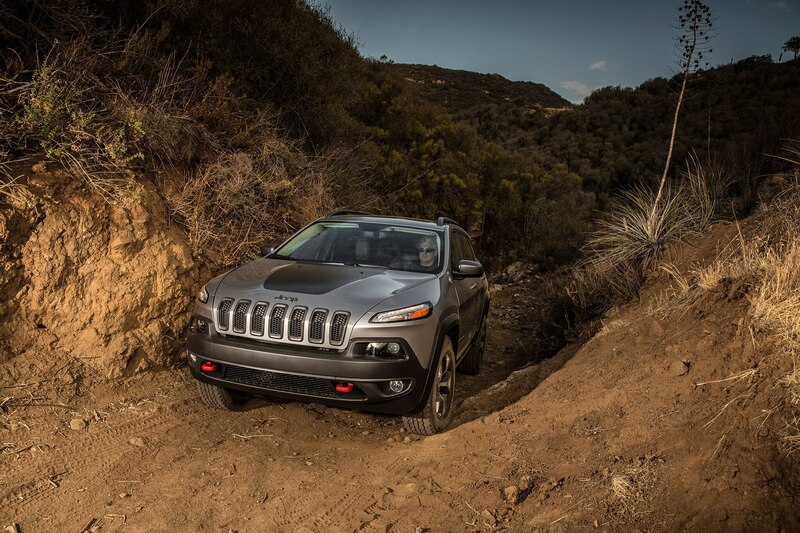 To prove those critics wrong, the automaker has released a video that shows the new Cherokee take on tough terrain. 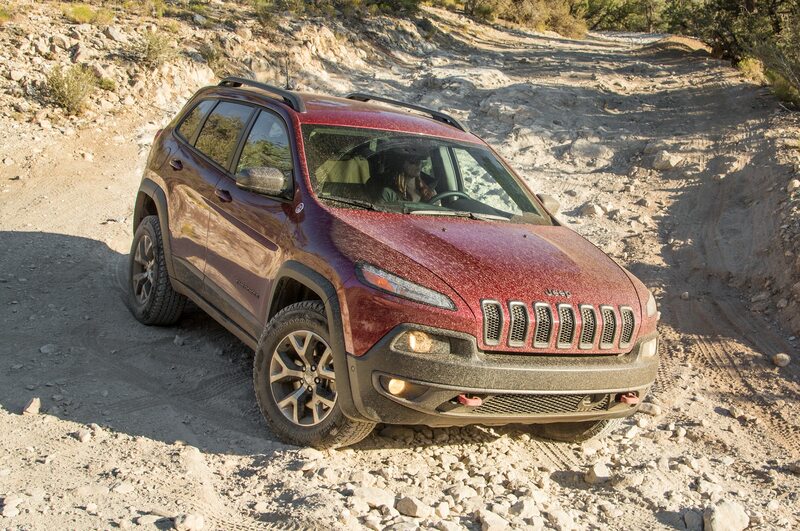 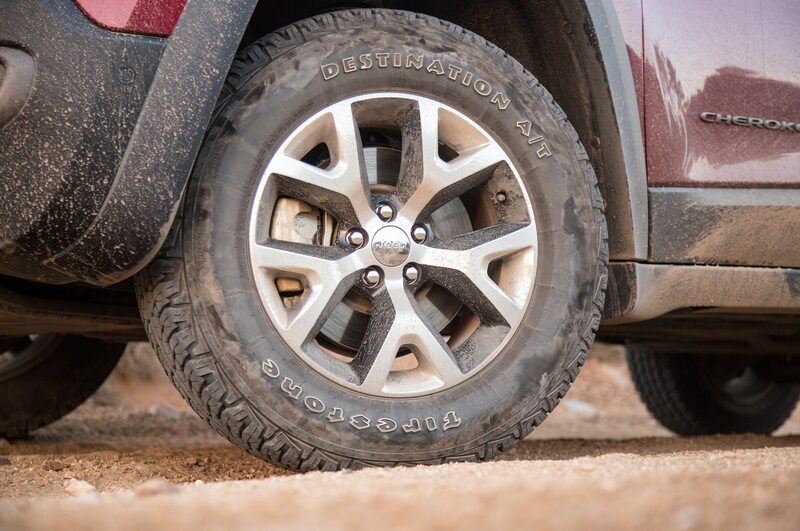 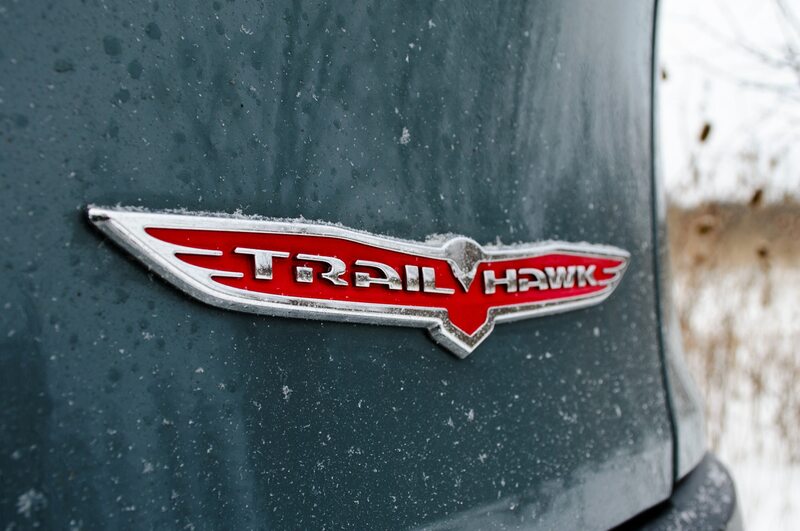 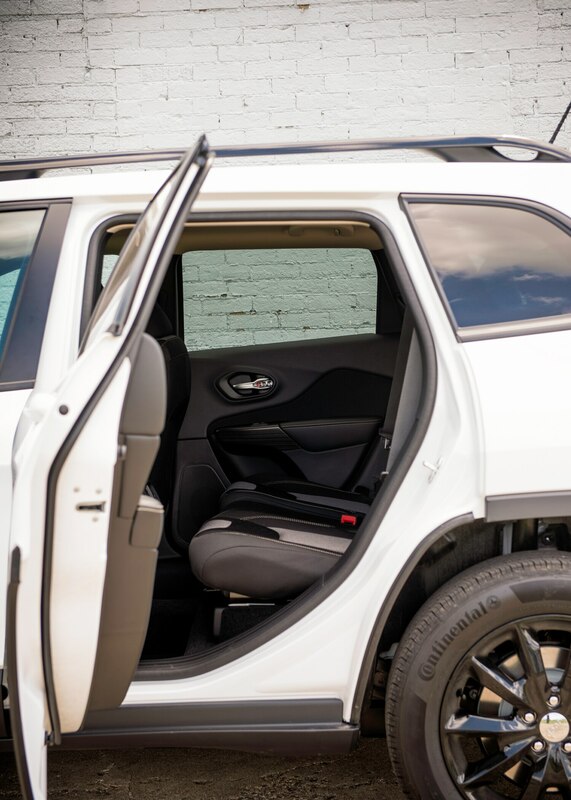 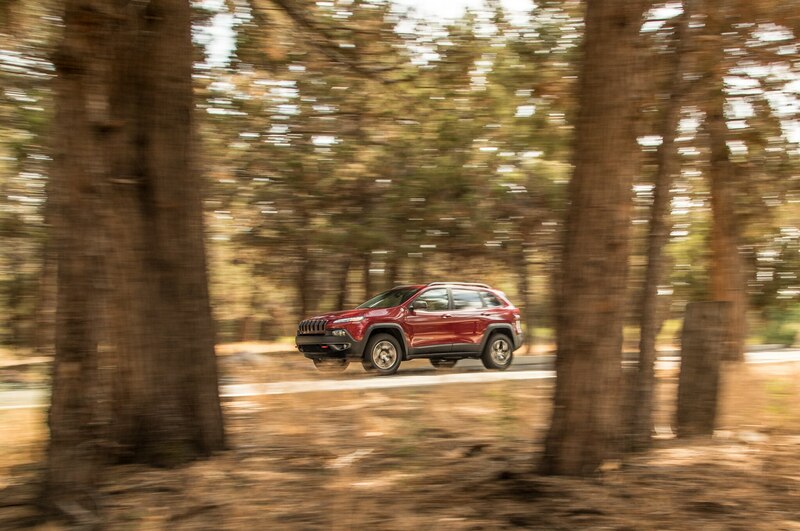 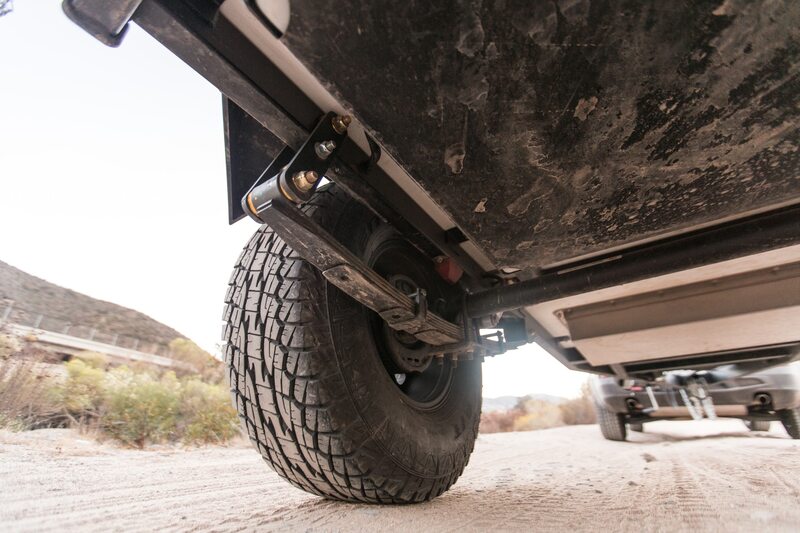 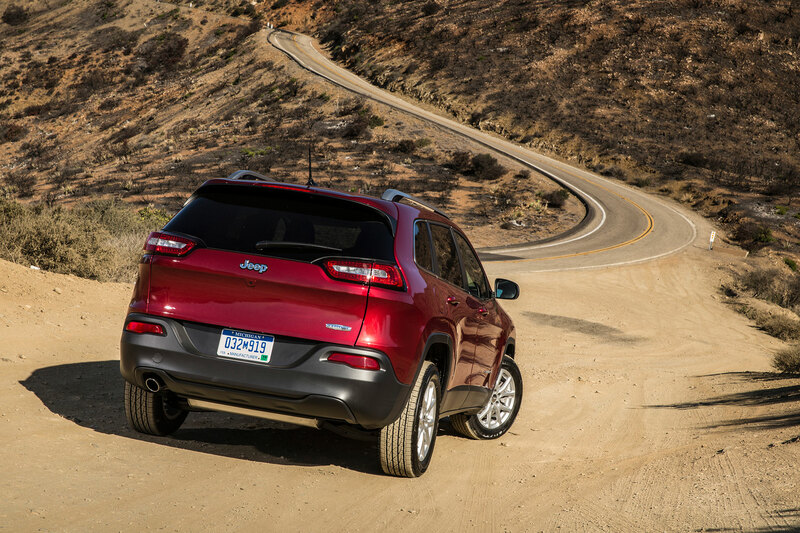 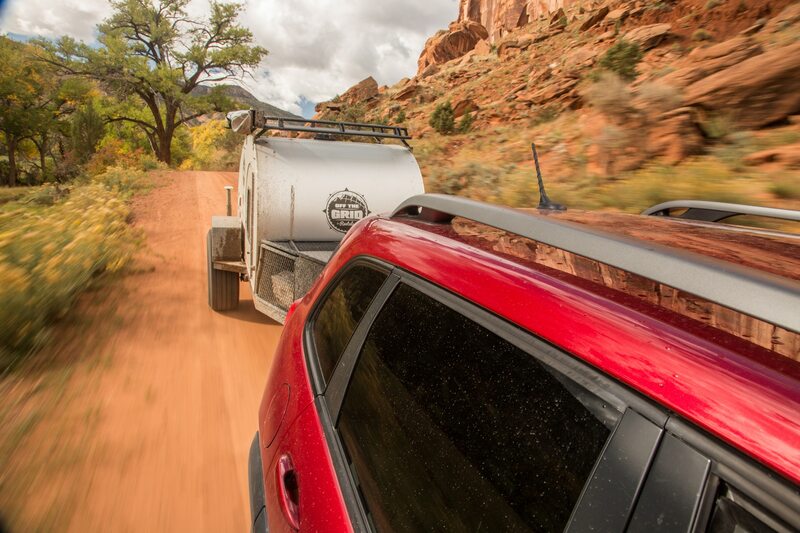 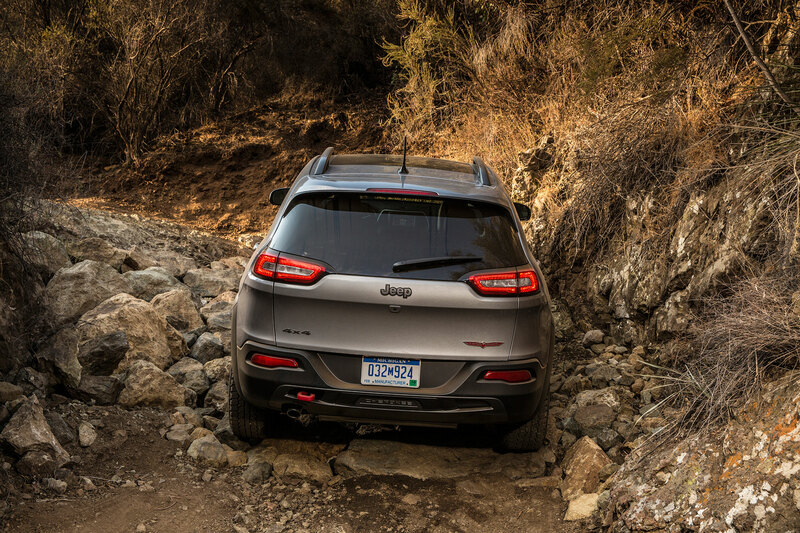 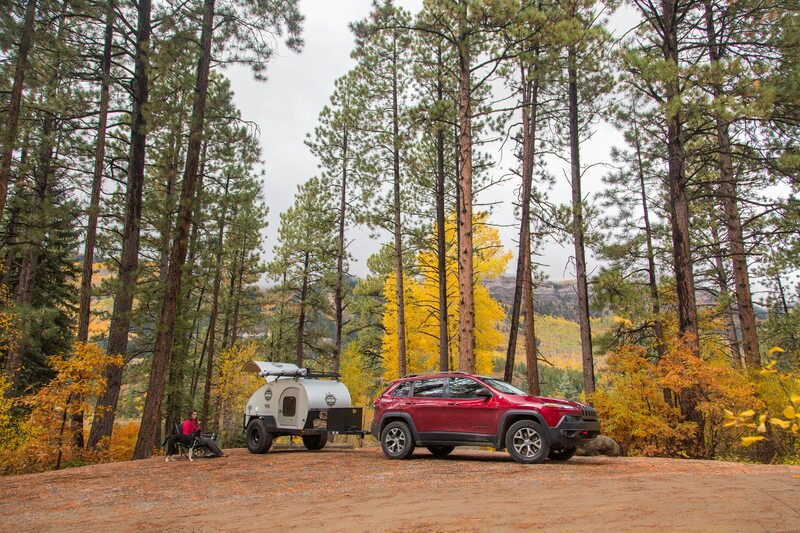 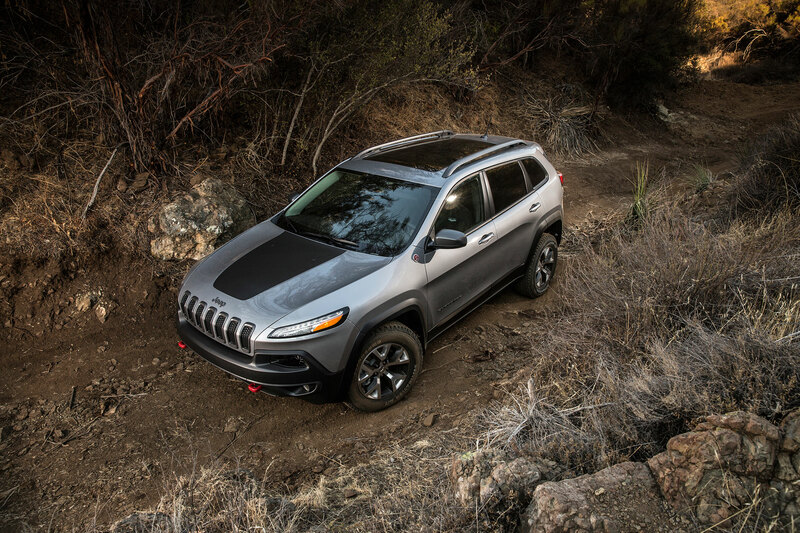 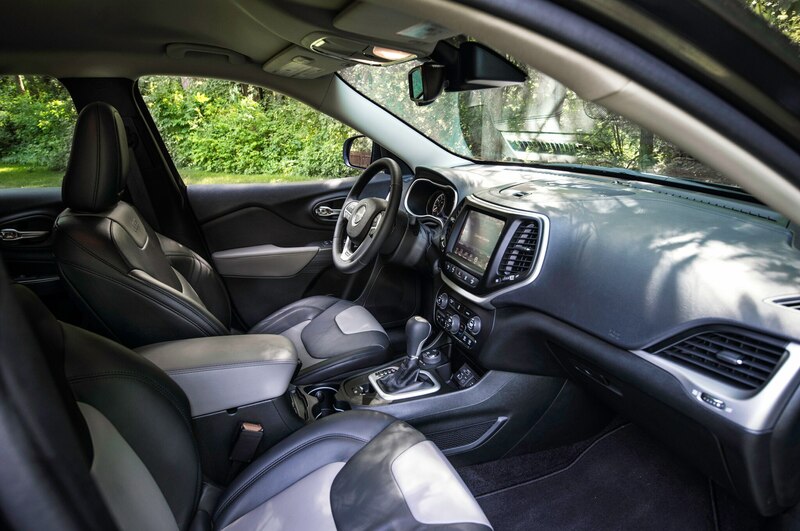 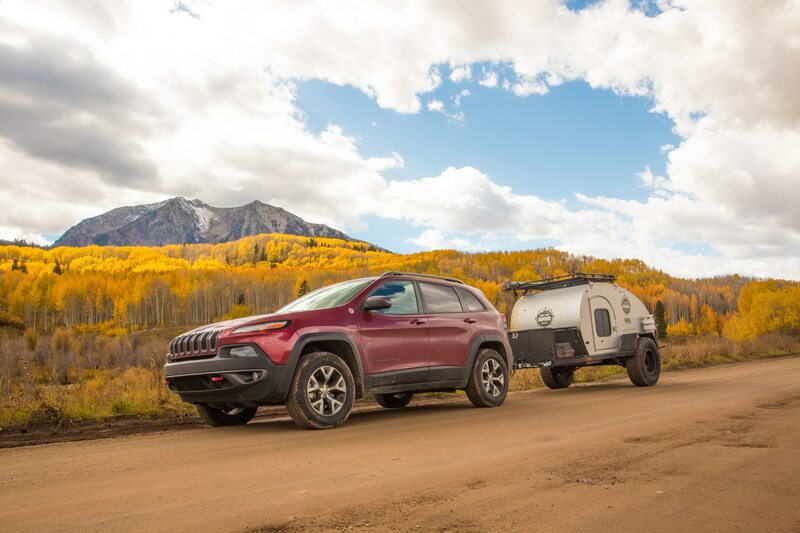 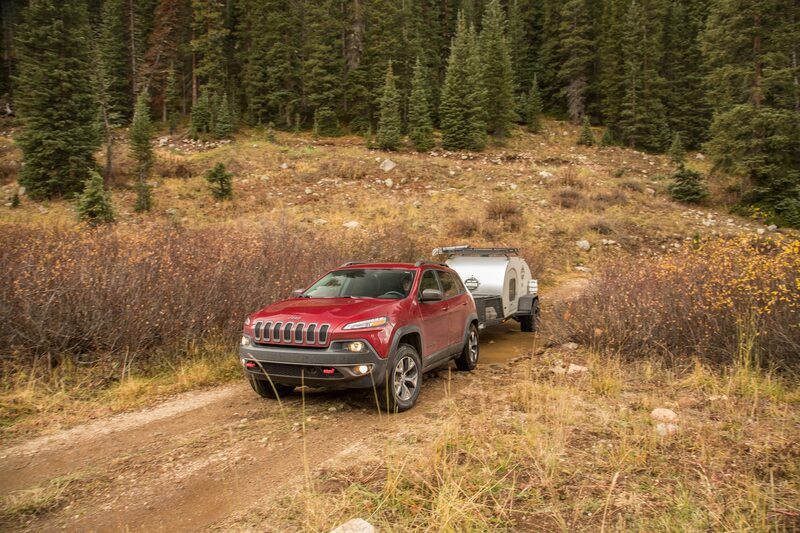 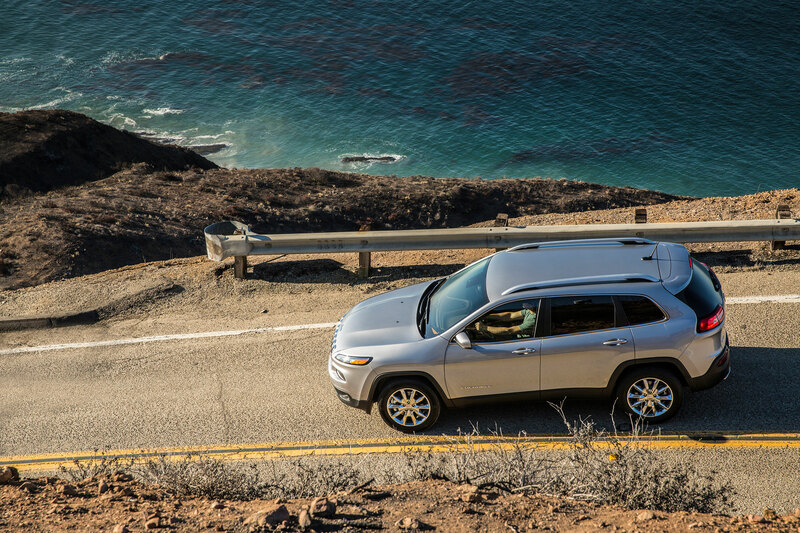 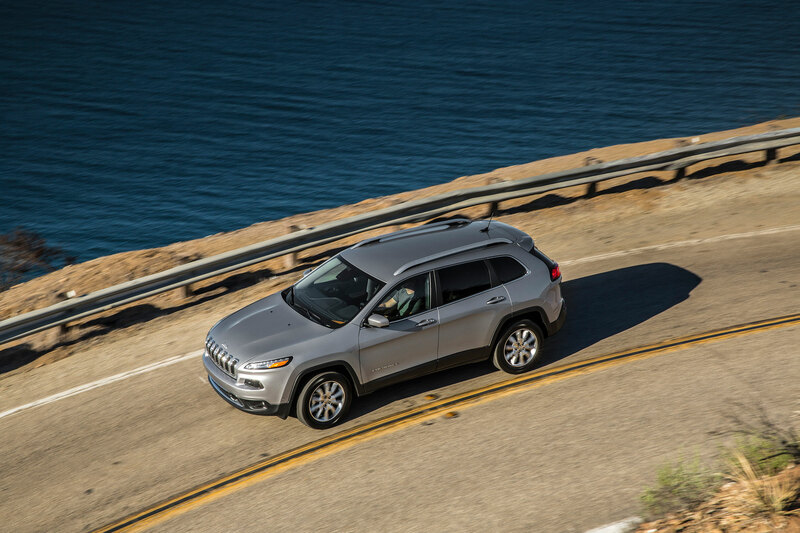 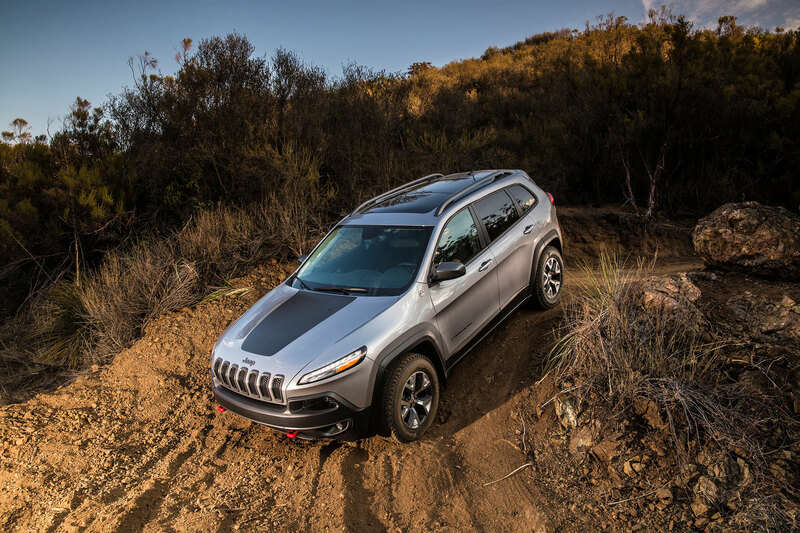 We don’t see much of the Cherokee itself in the video, but rather, we get a view of the midsize SUV’s beefy wheels going up a steep dirt road, through sand, and then onto a smooth boulder. 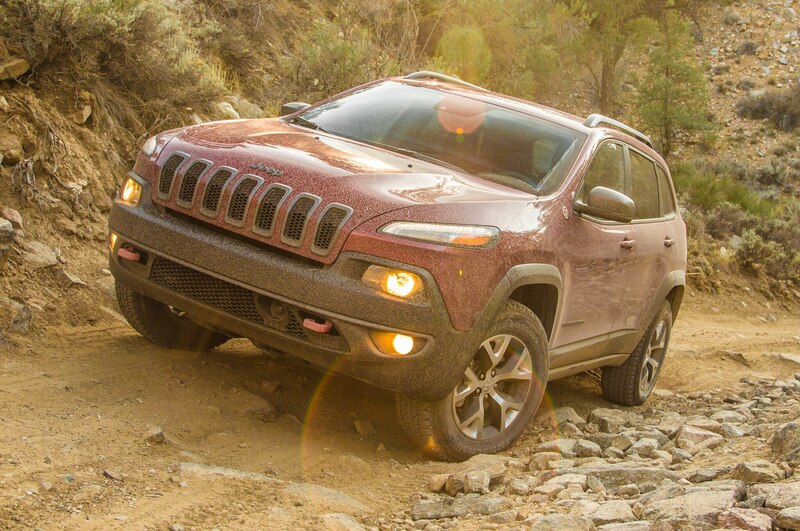 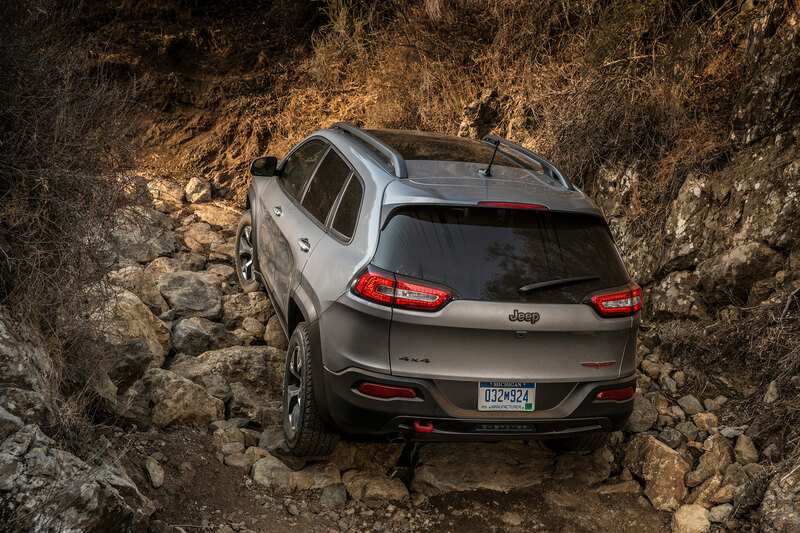 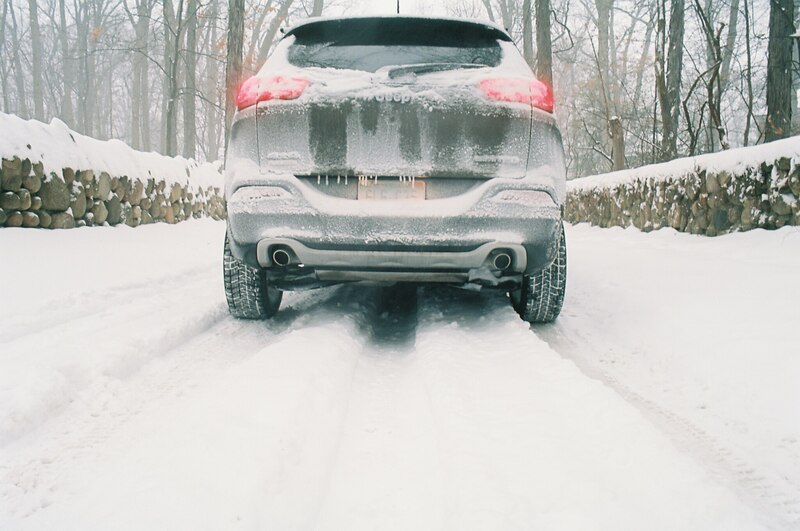 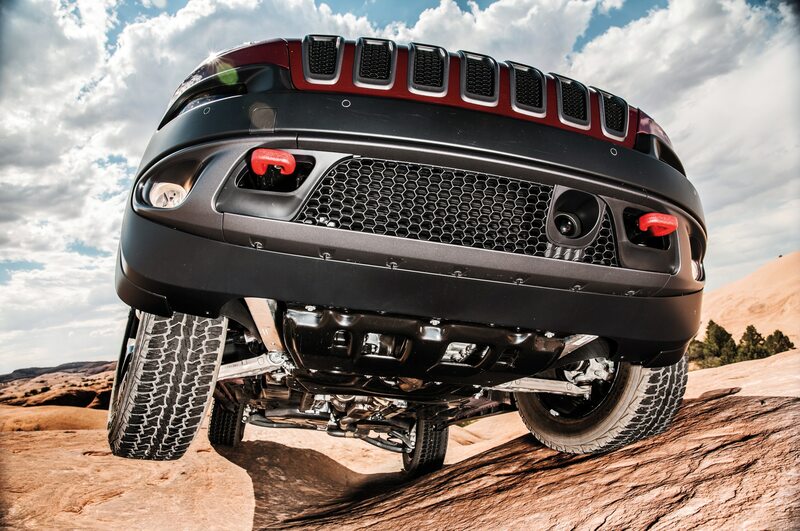 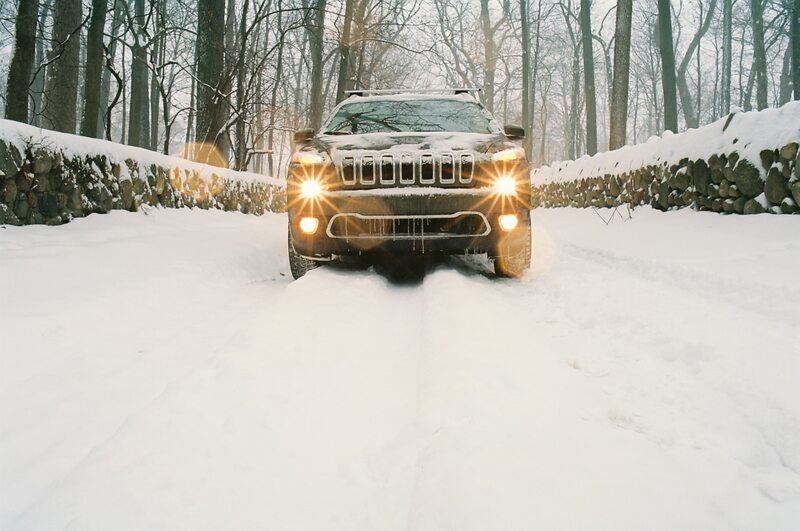 We then get a shot of its underbody as the Cherokee climbs onto another boulder from a steep incline. 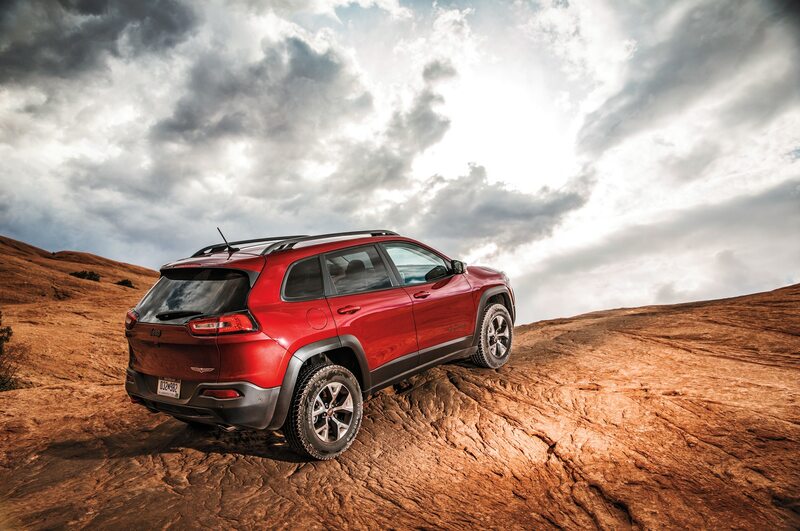 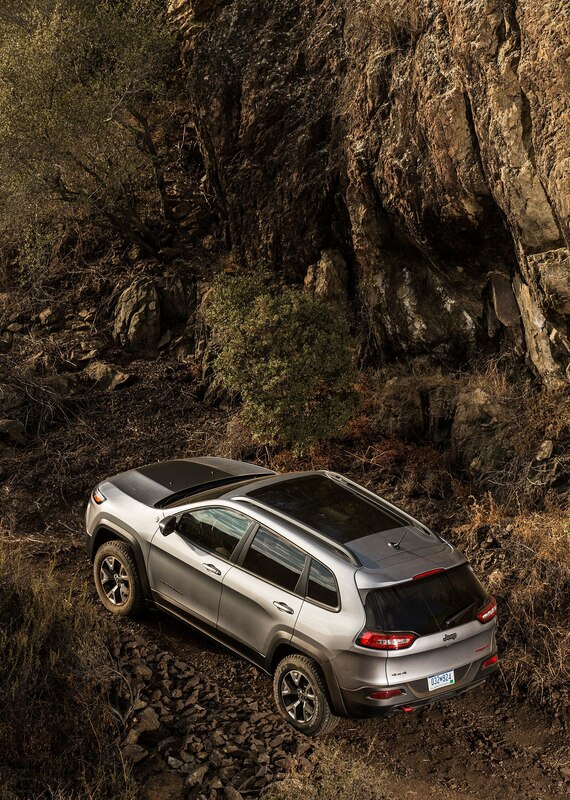 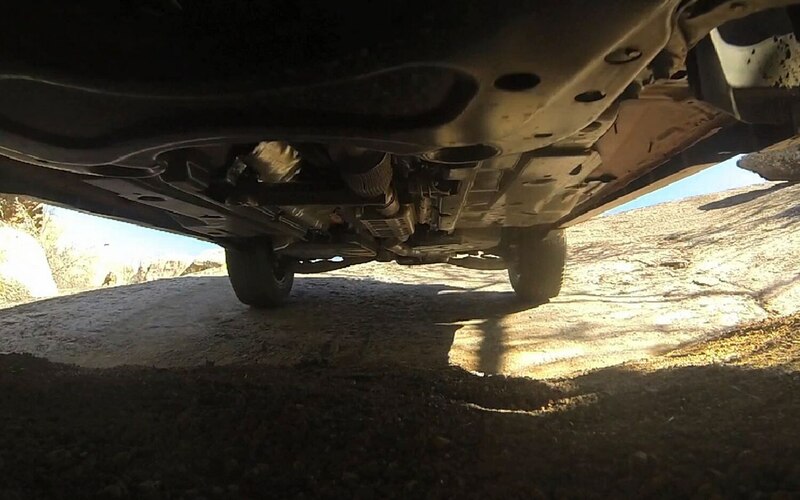 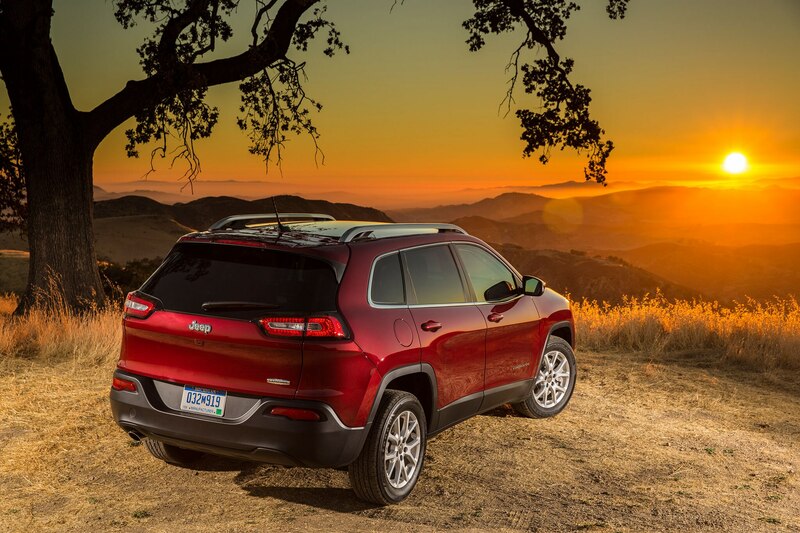 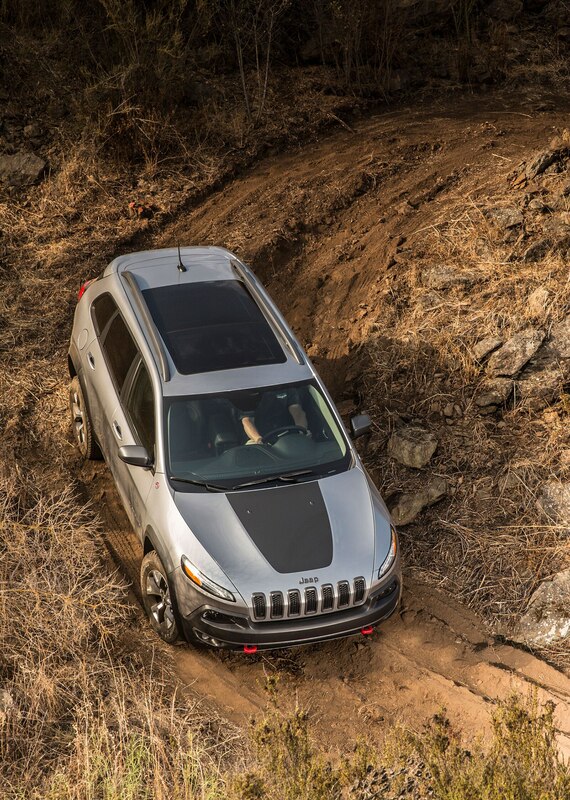 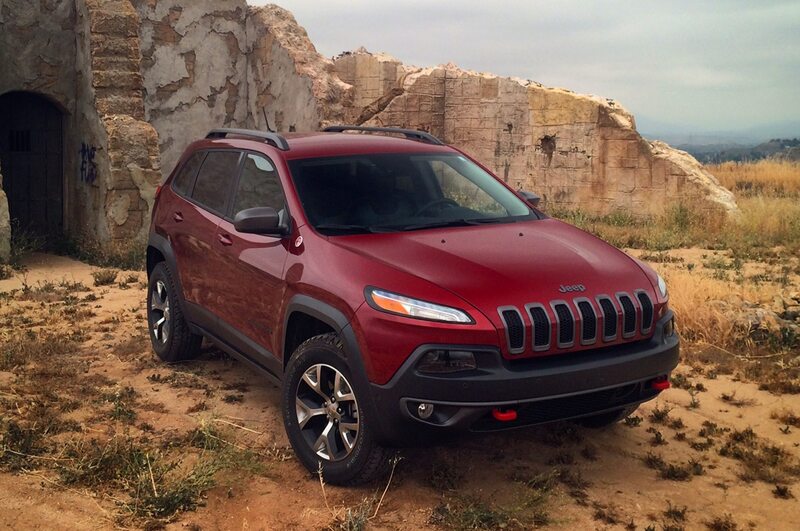 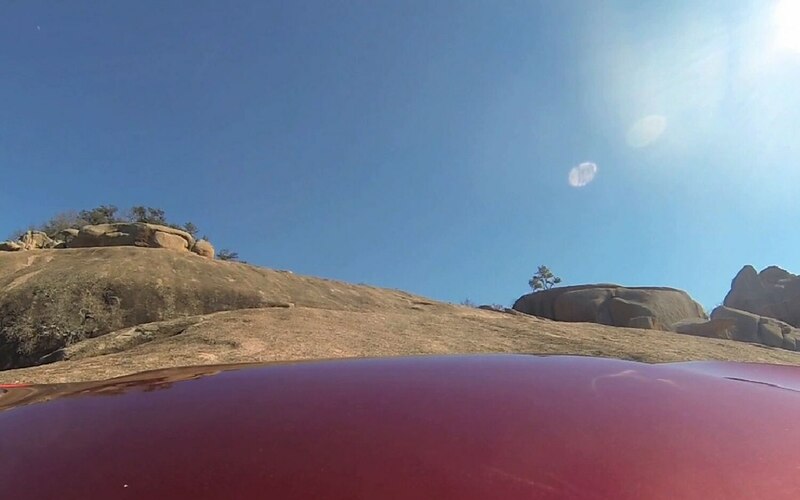 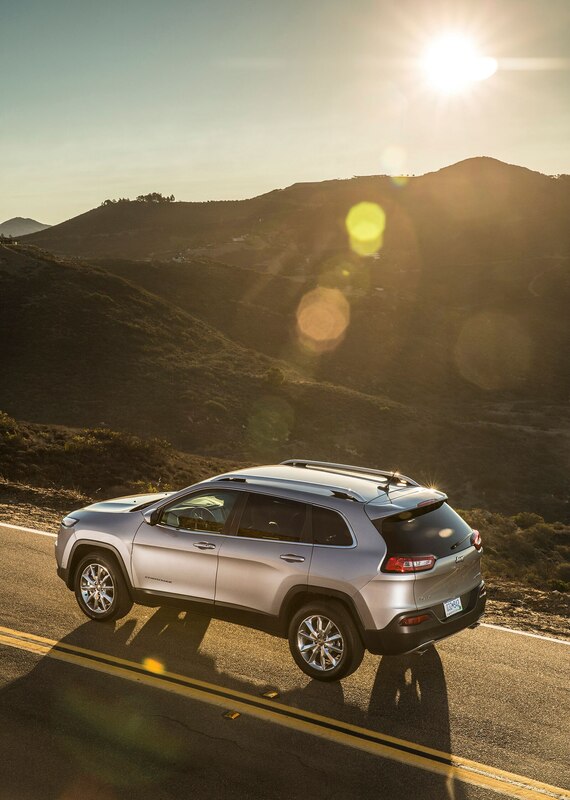 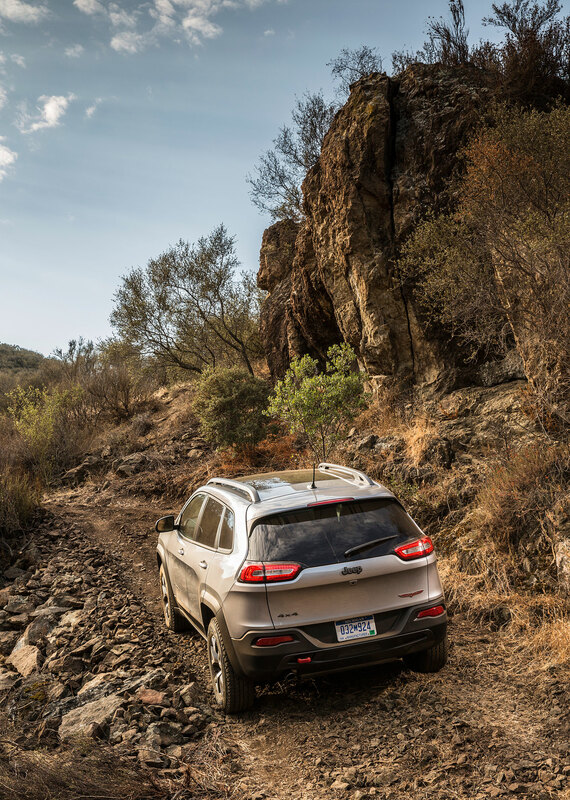 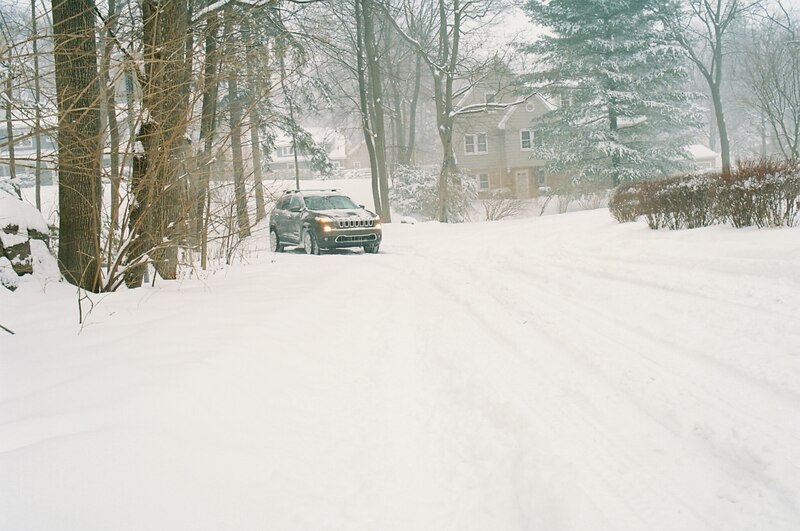 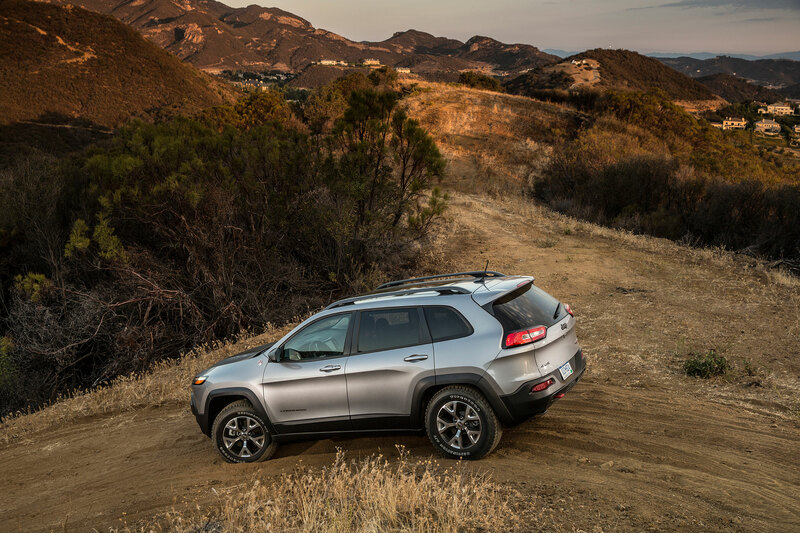 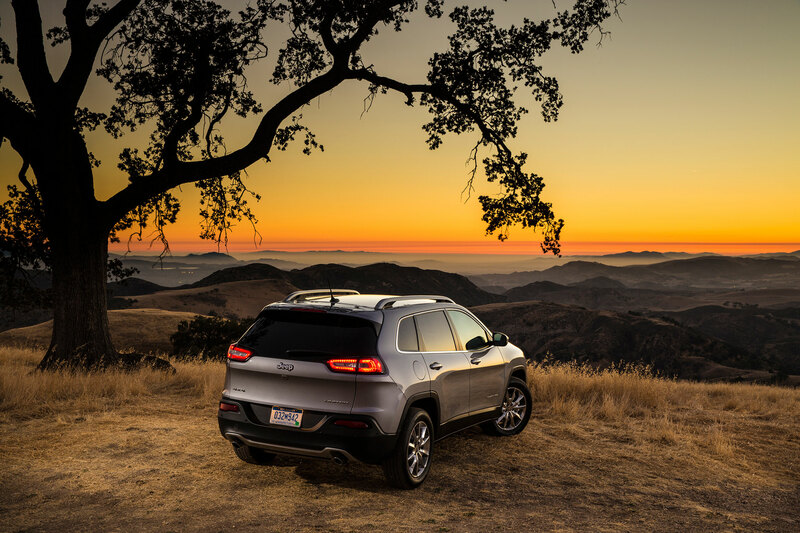 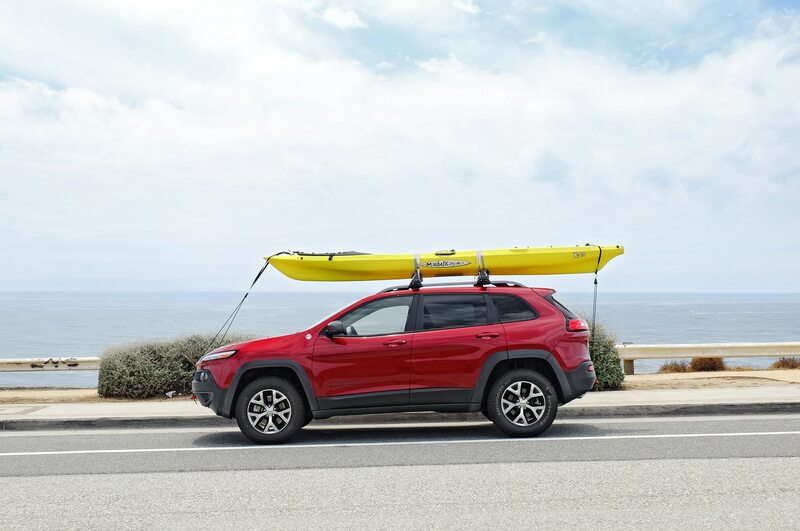 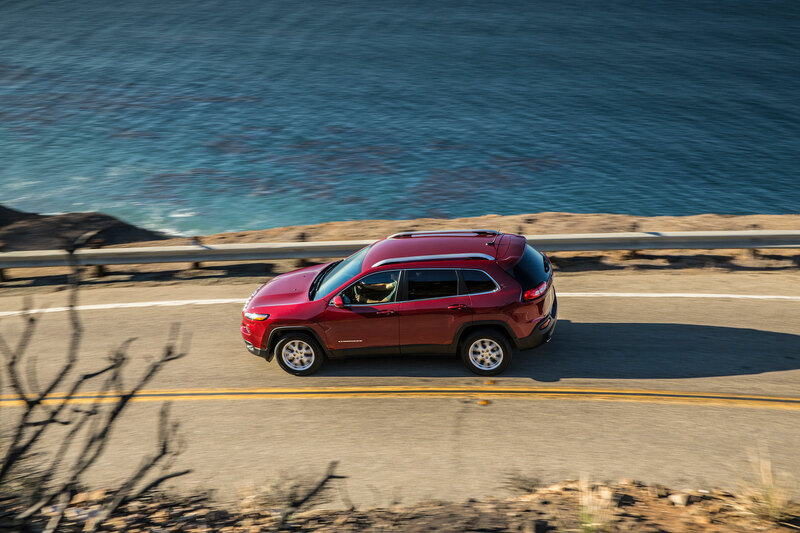 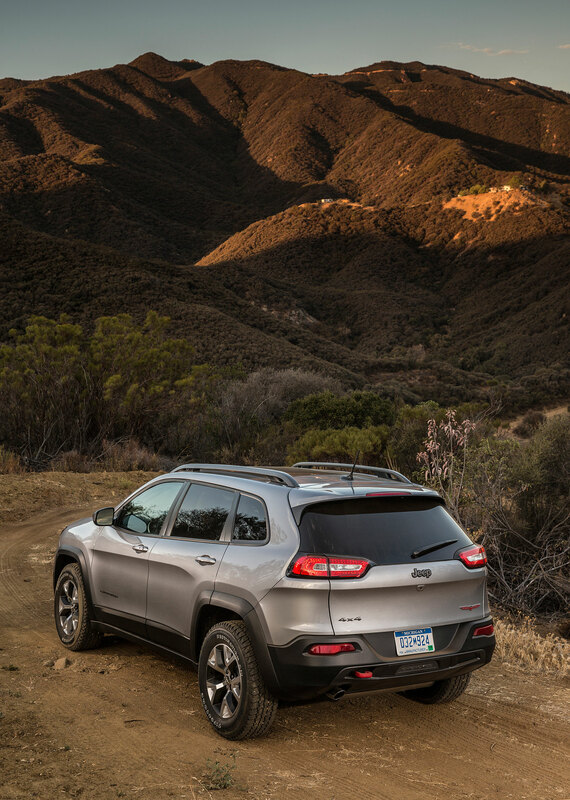 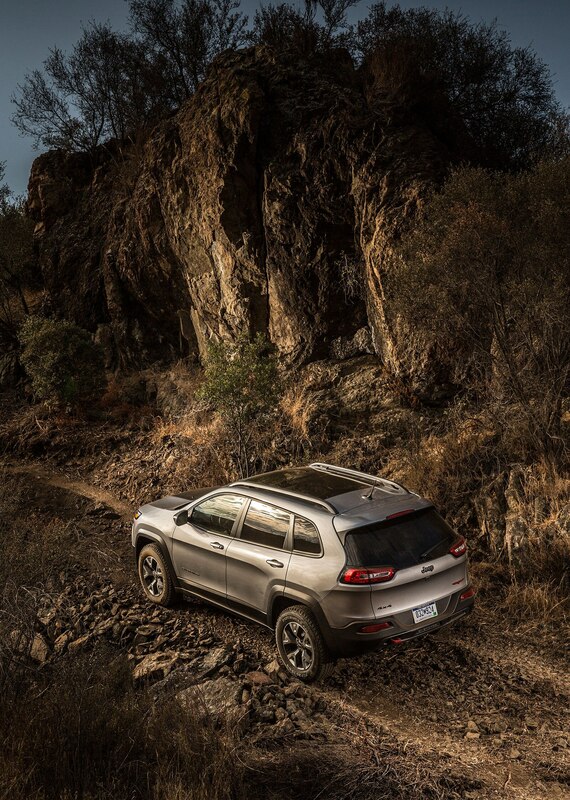 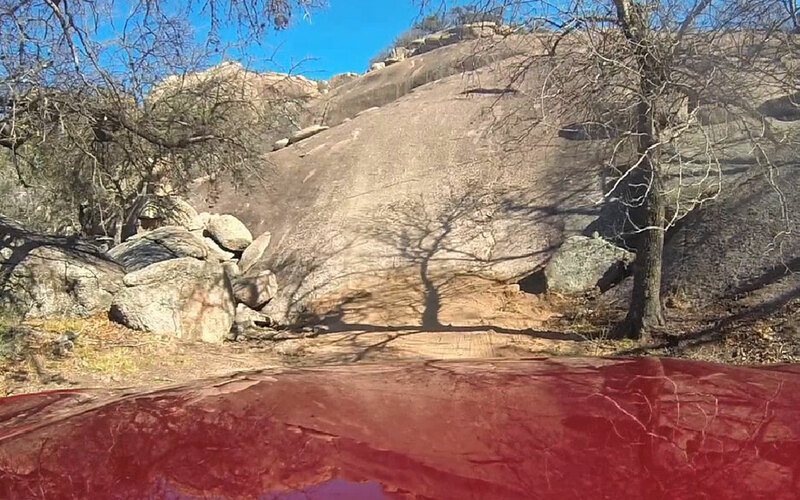 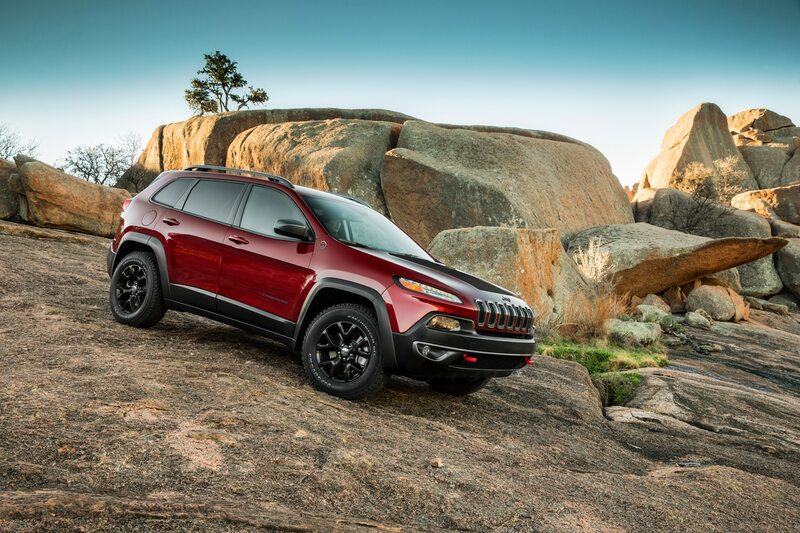 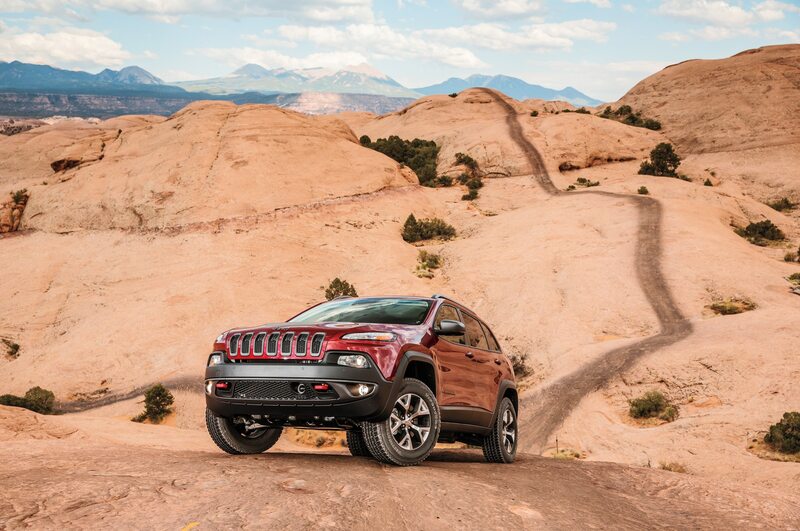 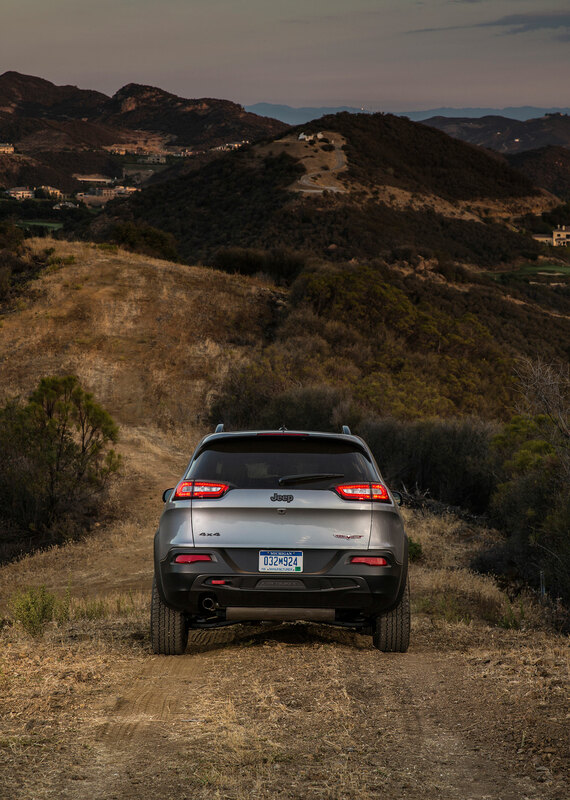 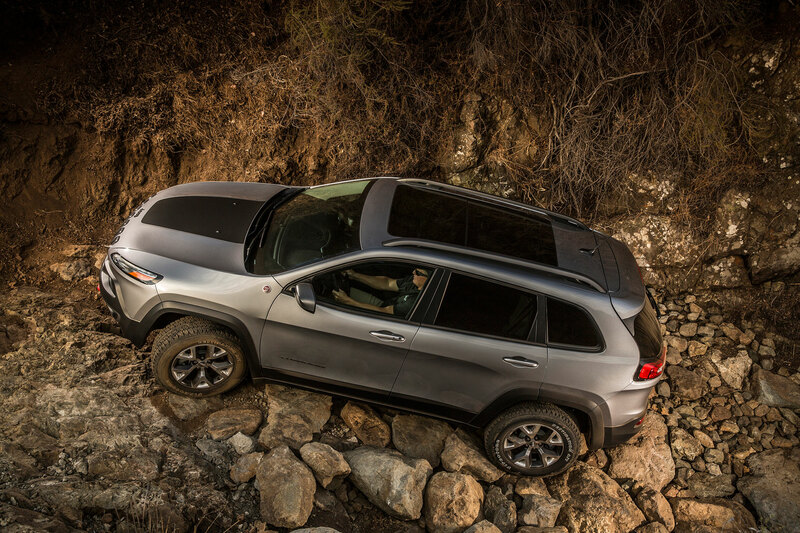 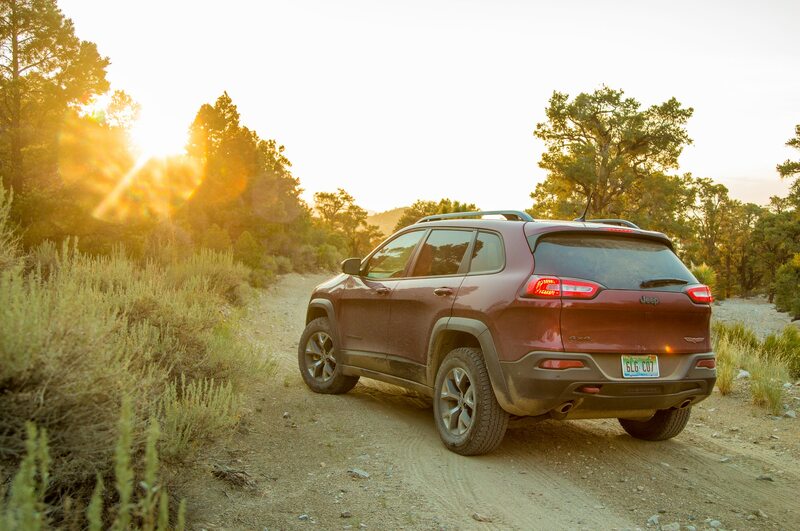 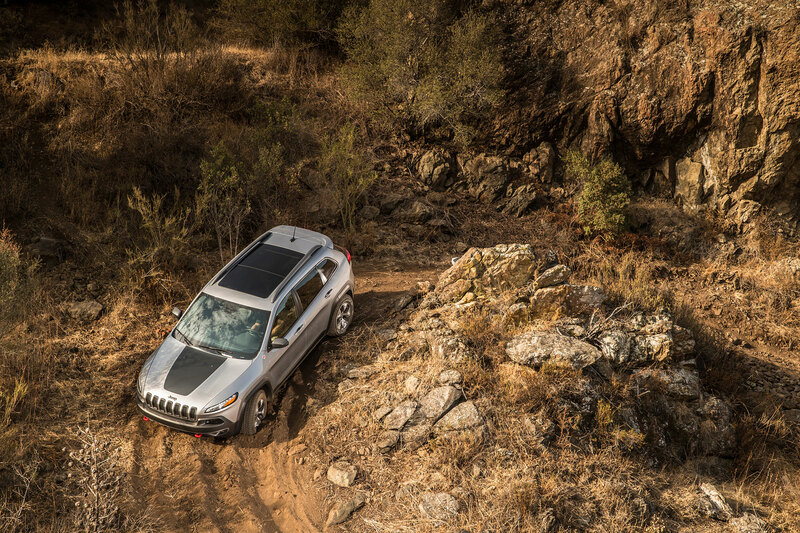 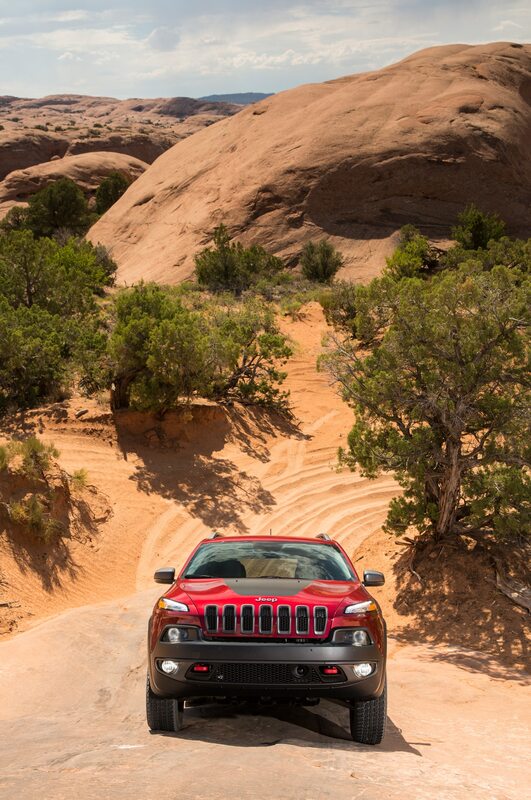 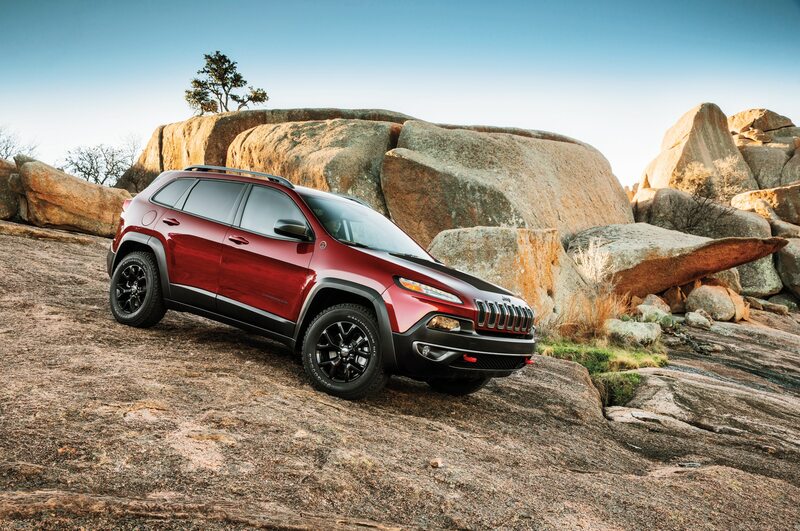 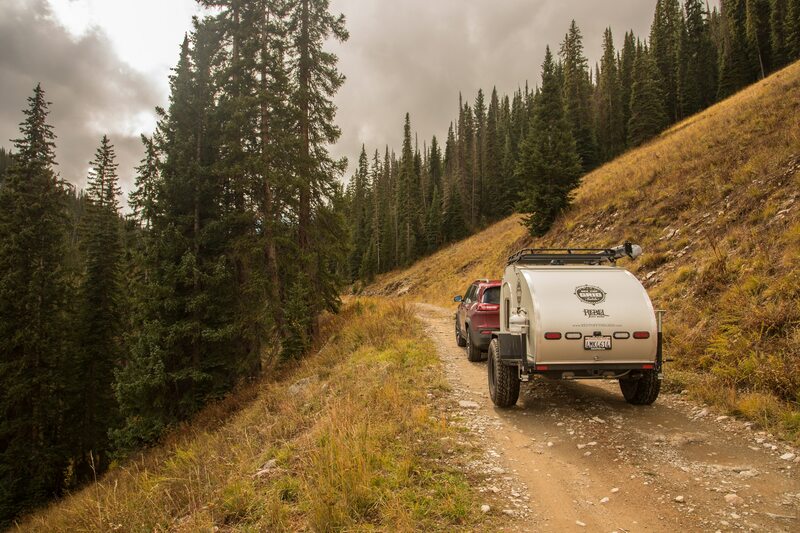 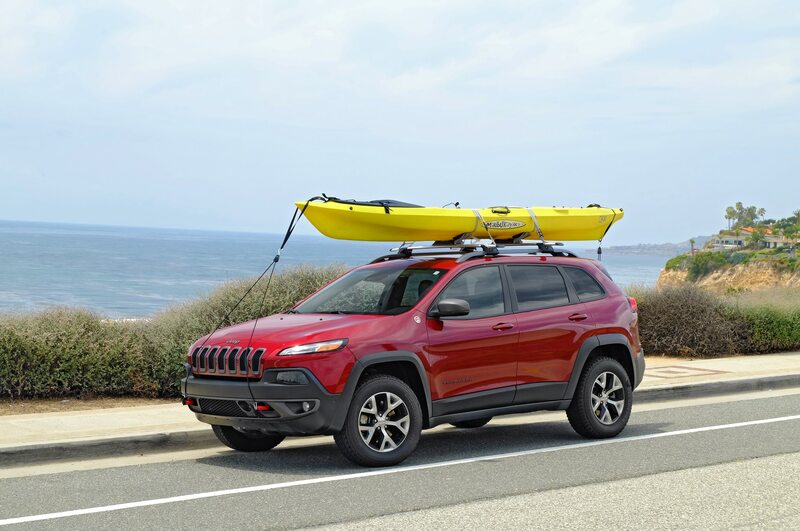 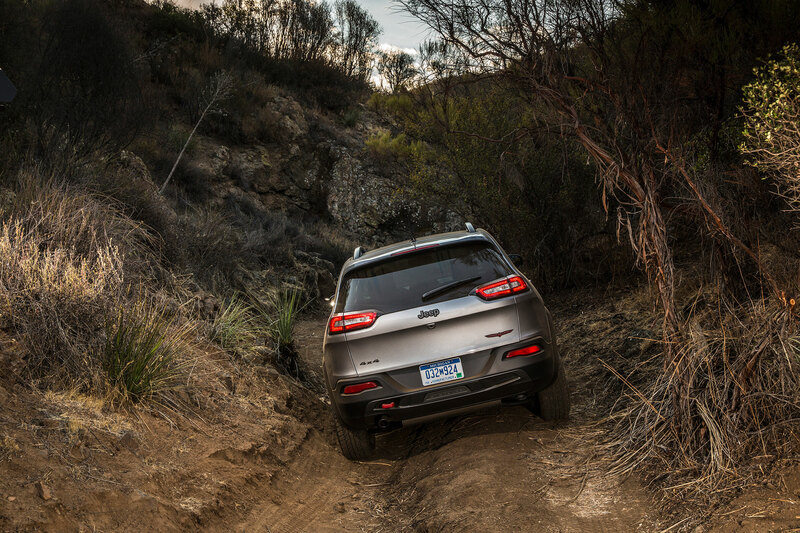 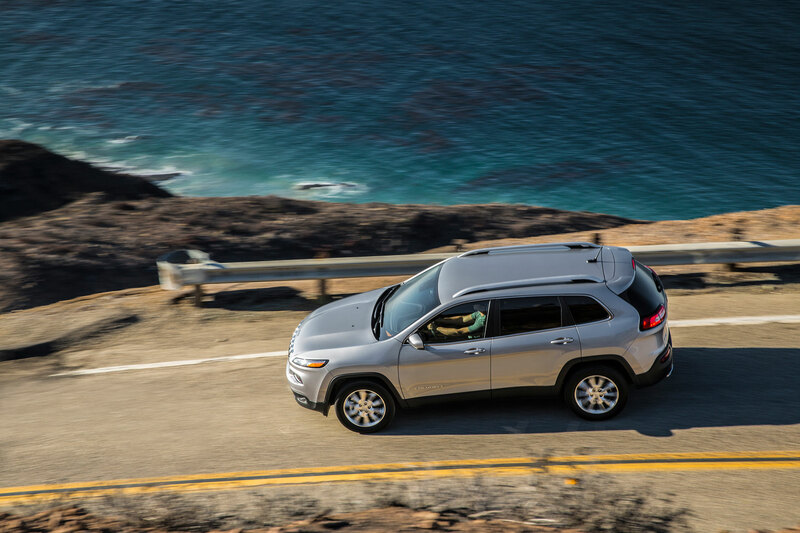 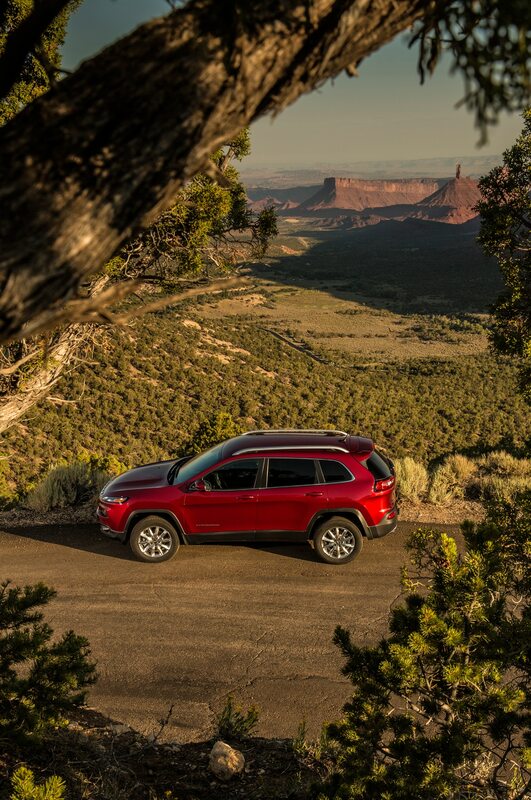 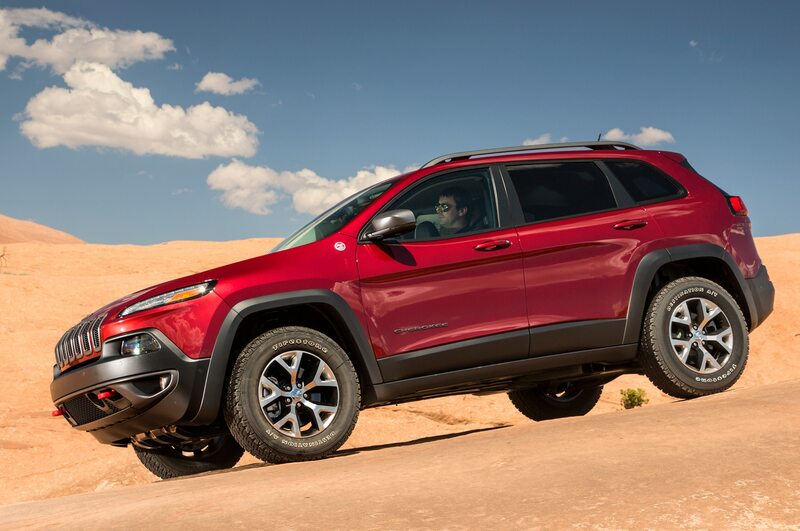 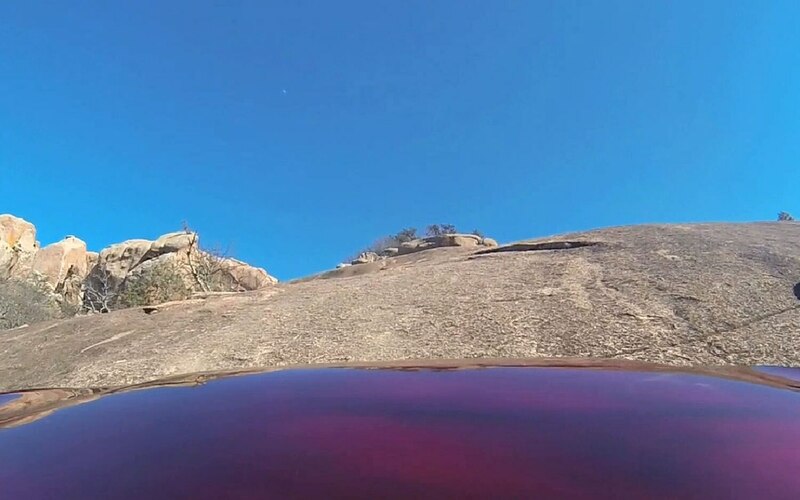 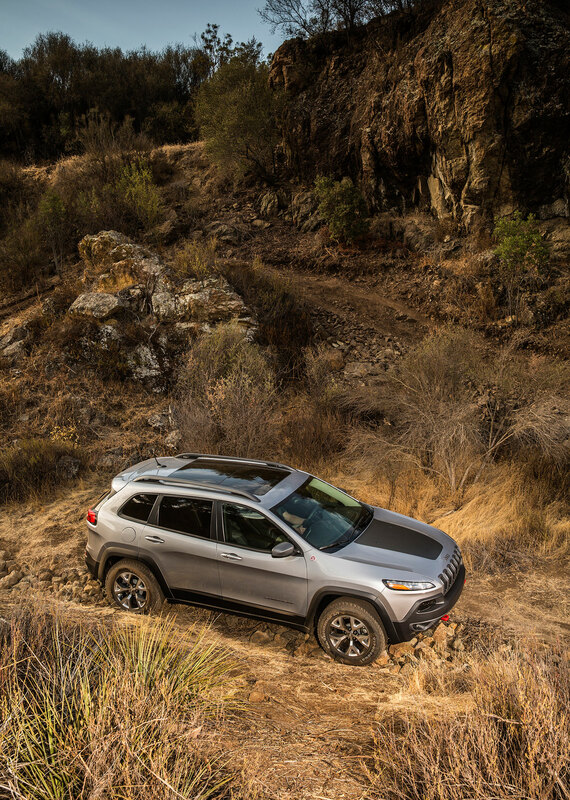 The camera’s perspective then switches to make viewers feel like they’re riding shotgun; the Cherokee continues to climb the steep boulder, and at one point it looks like the Cherokee’s hood is pointed straight up toward the sky. 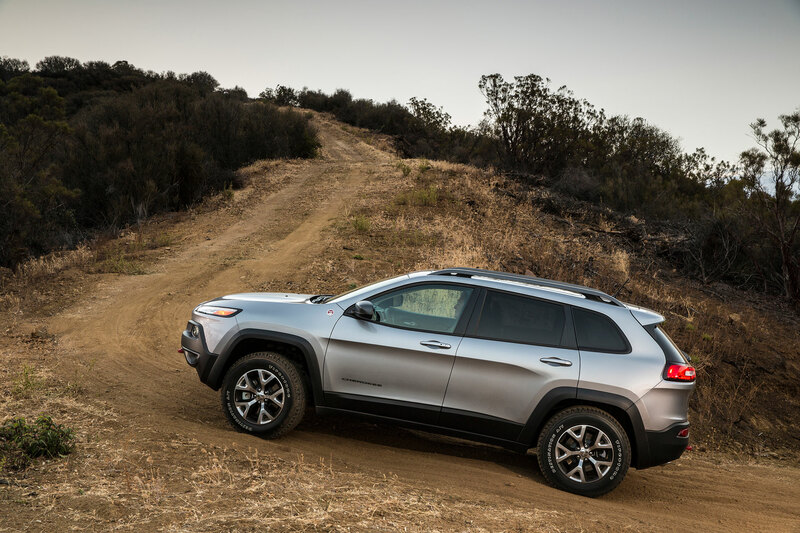 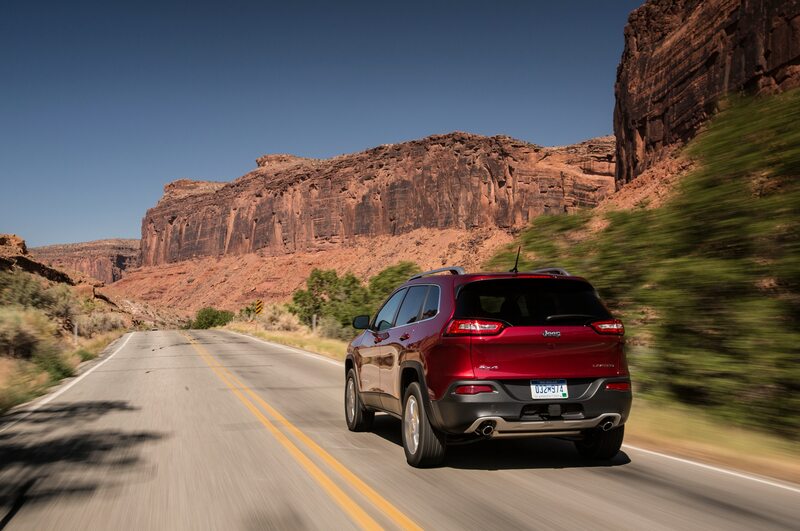 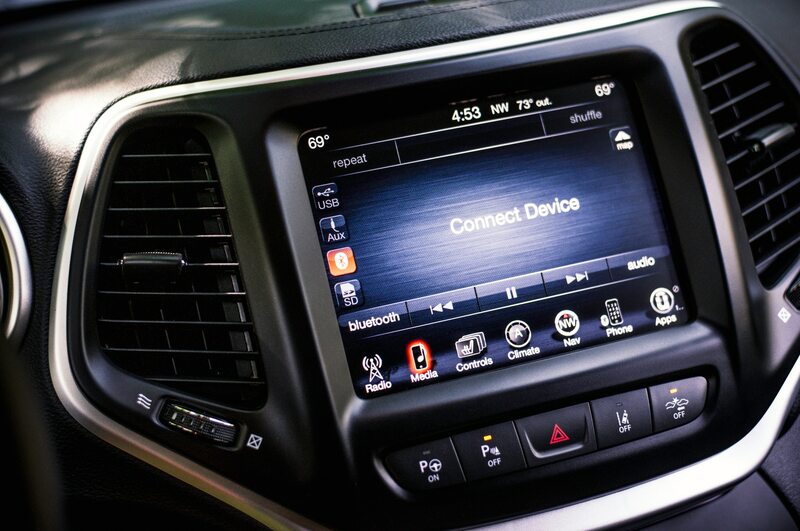 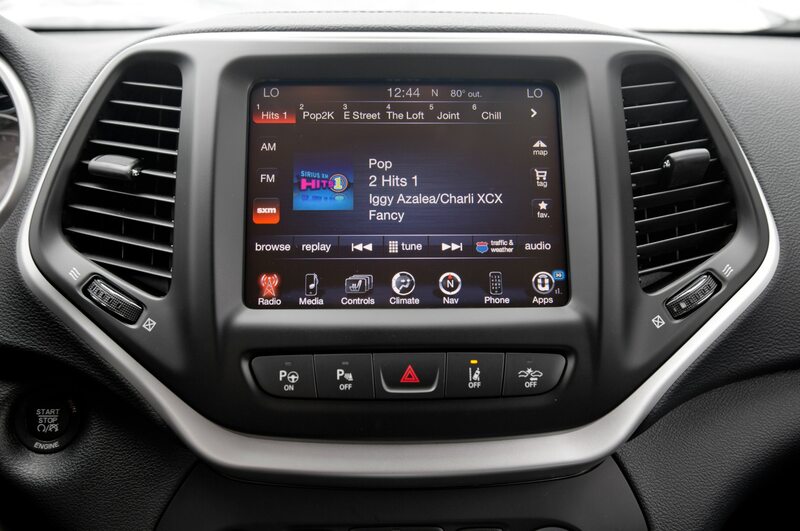 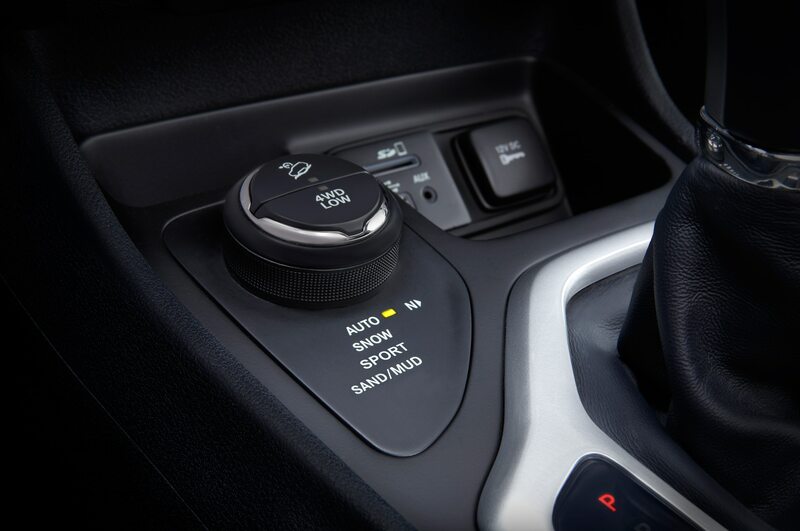 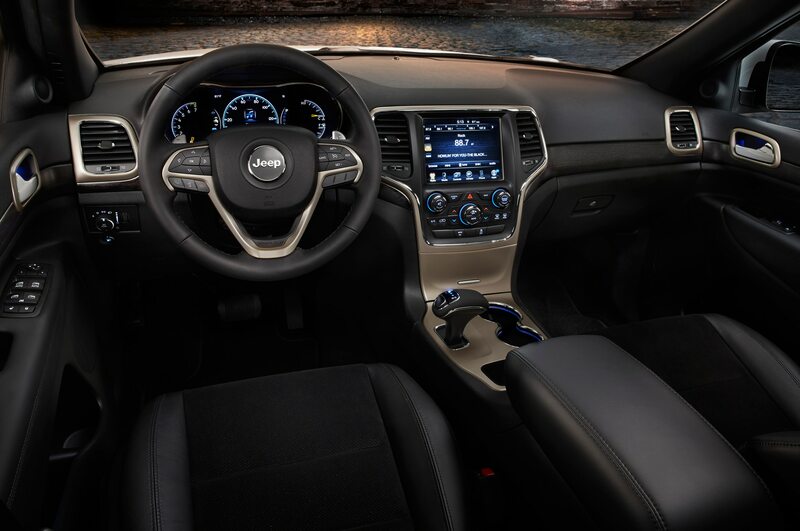 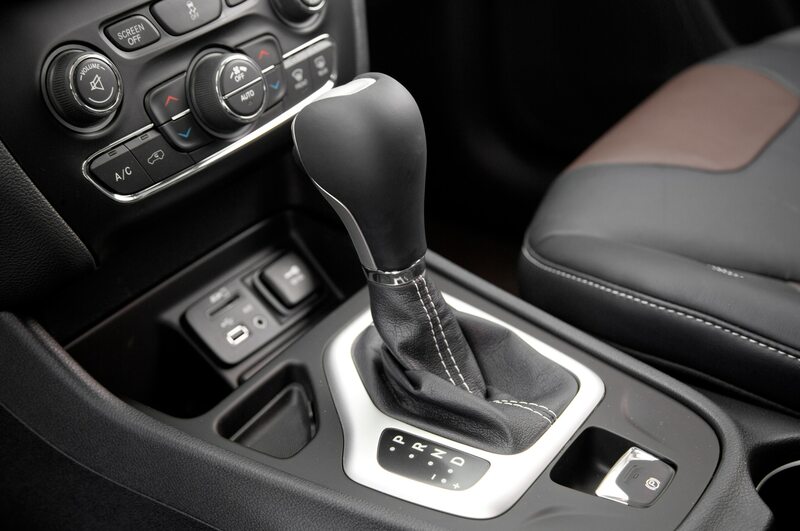 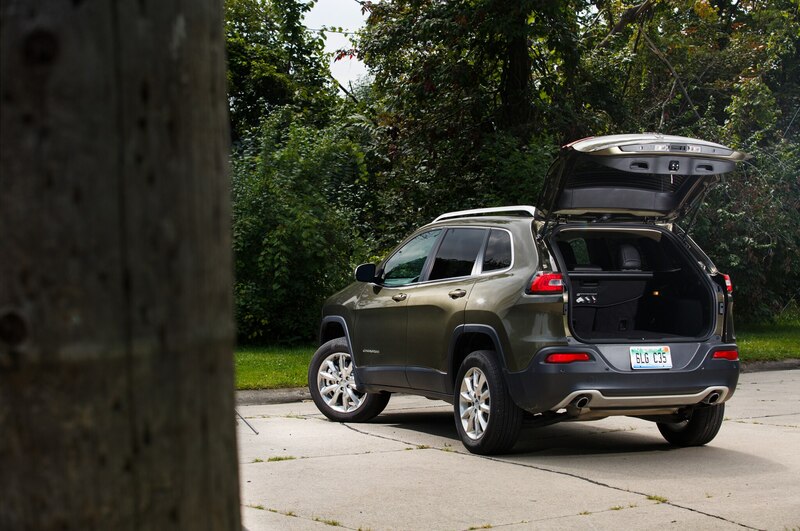 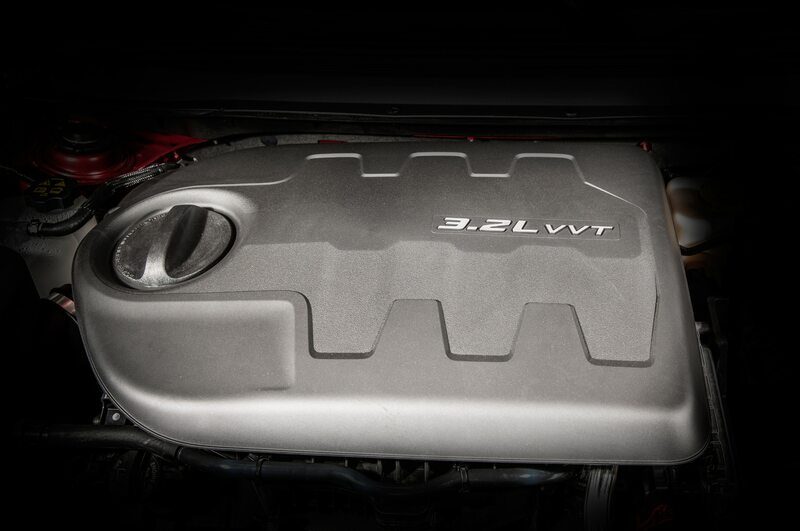 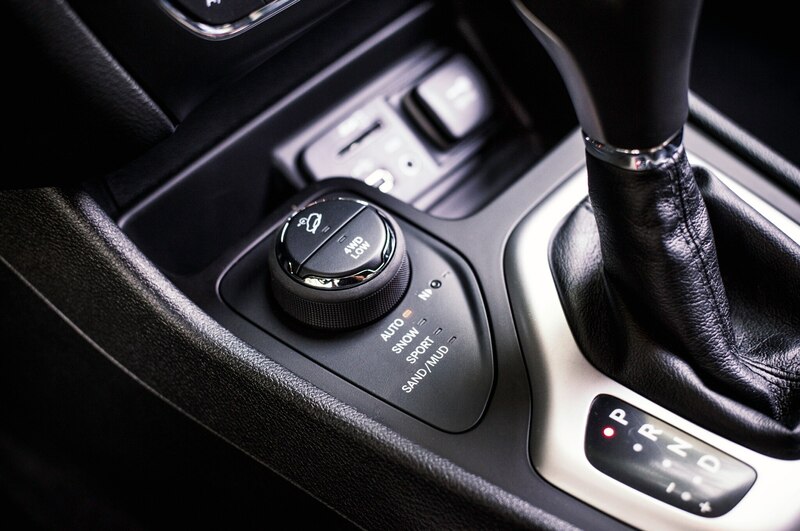 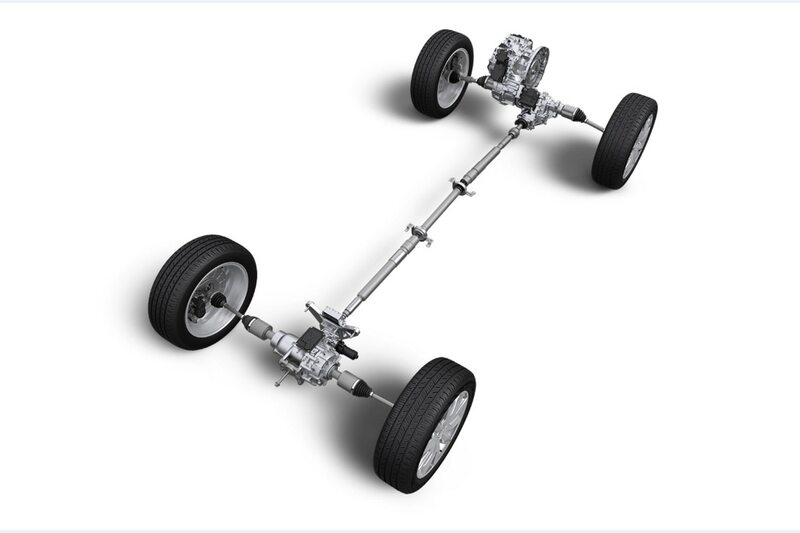 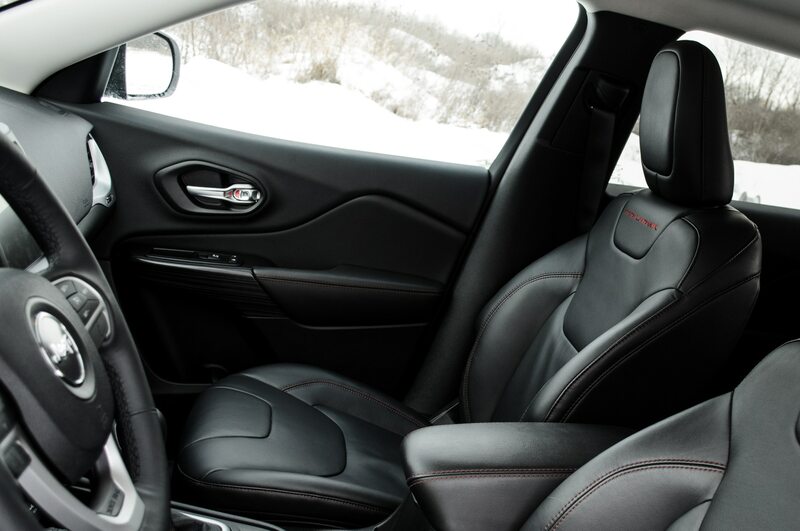 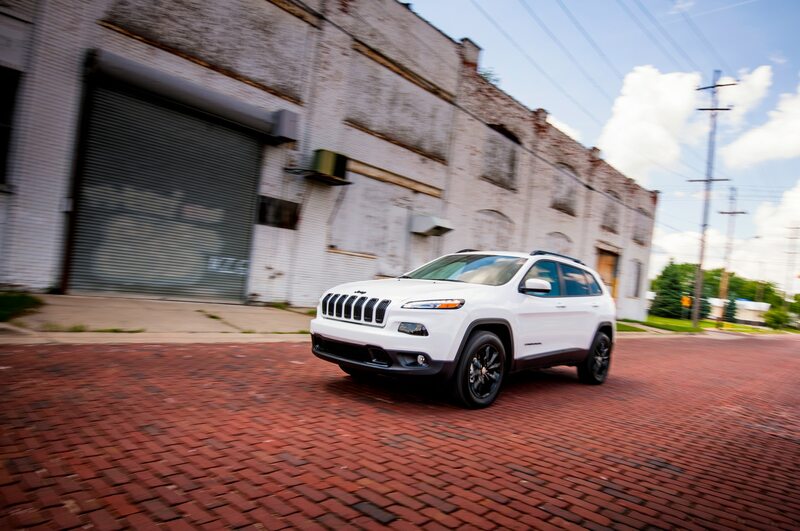 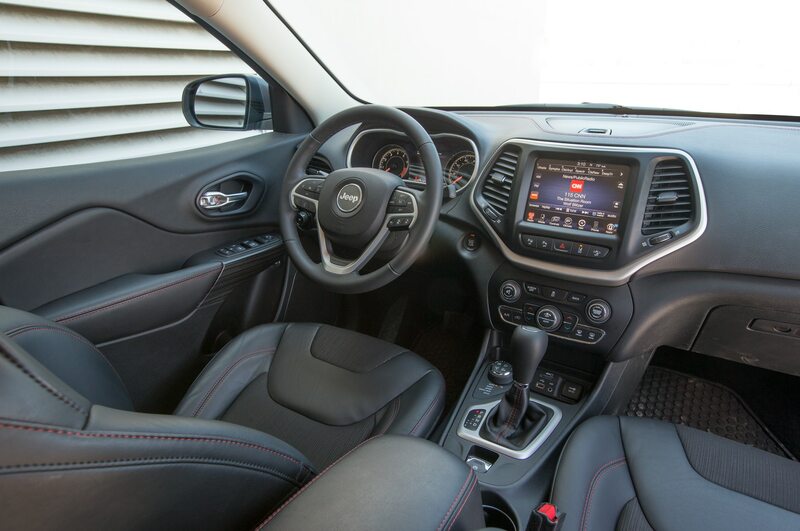 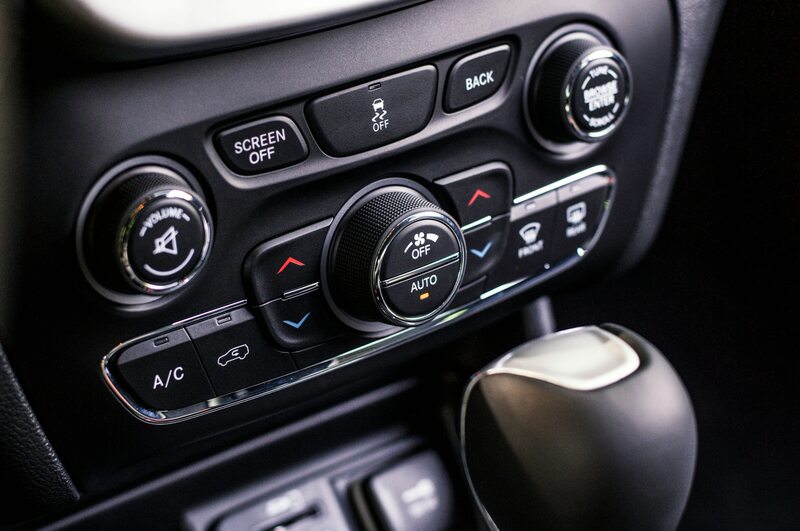 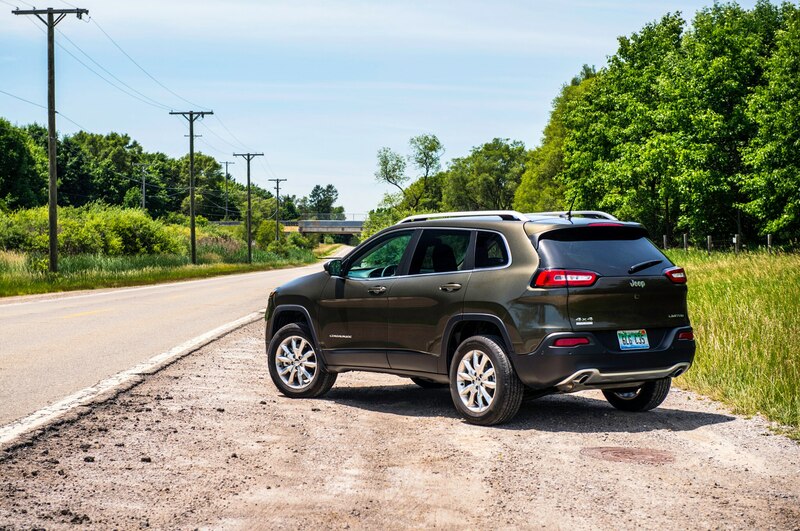 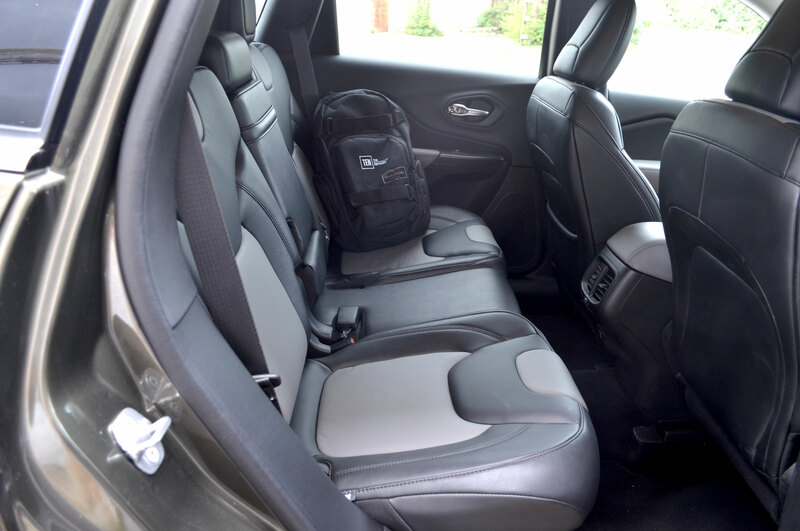 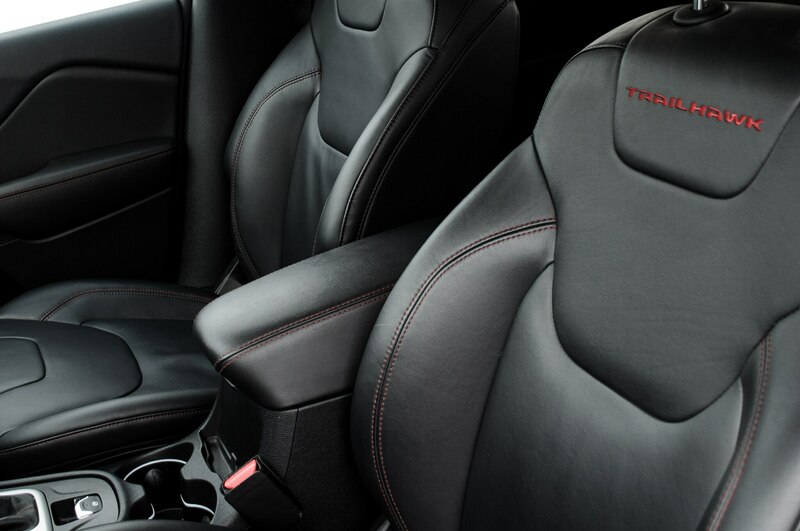 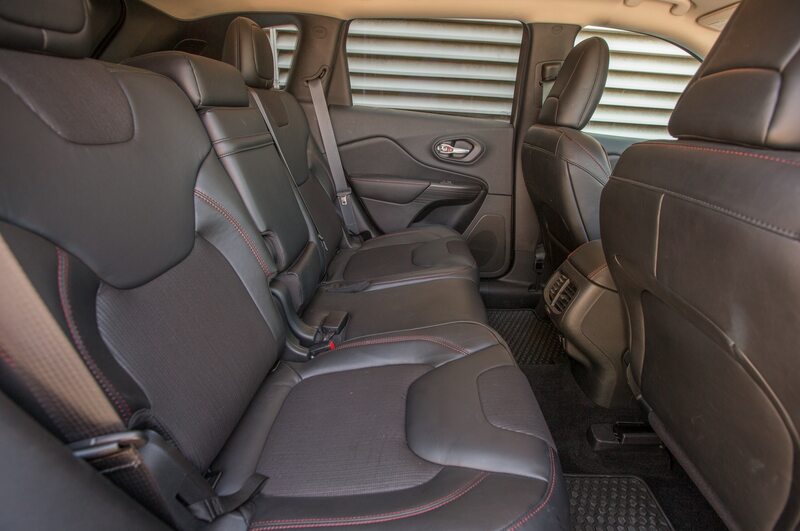 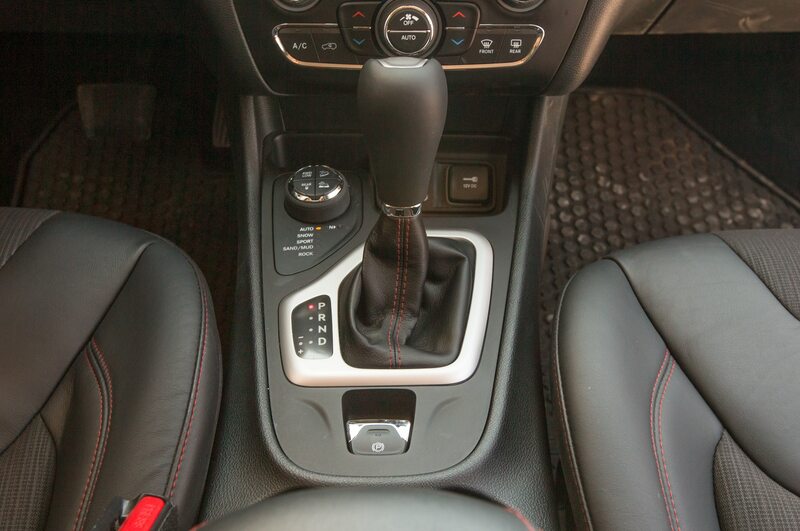 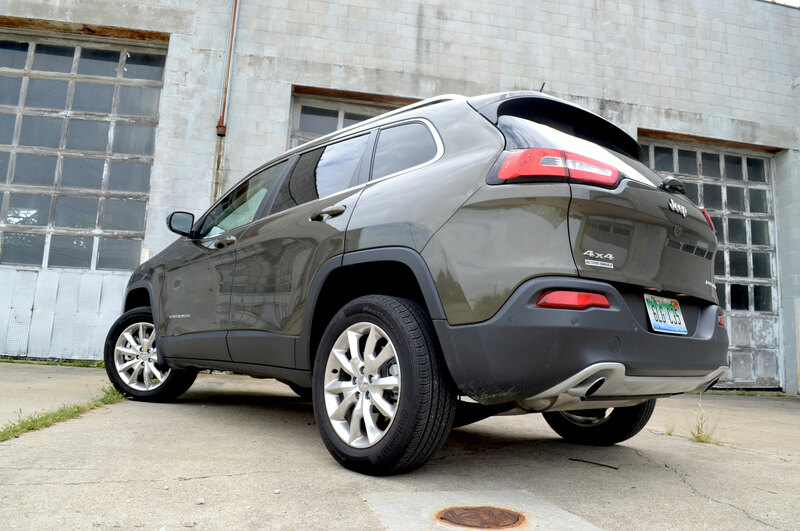 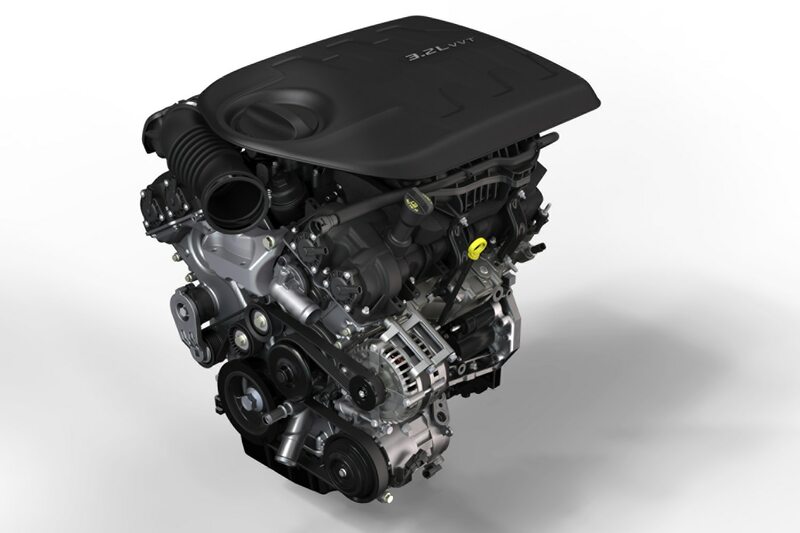 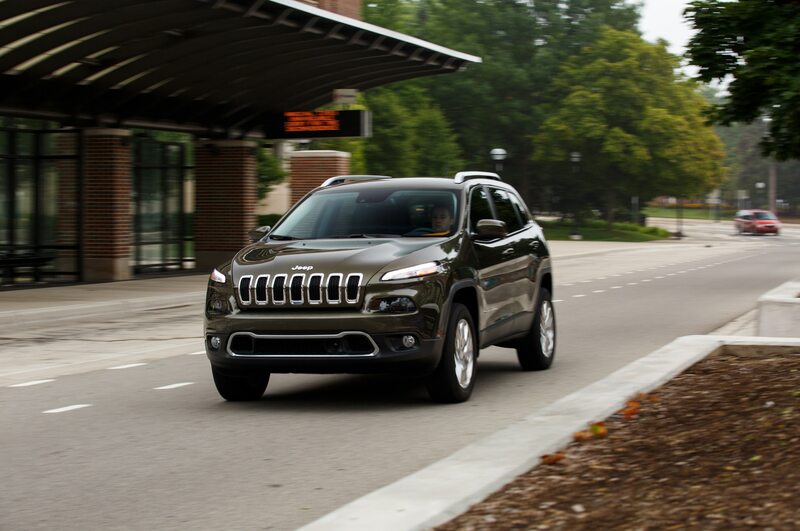 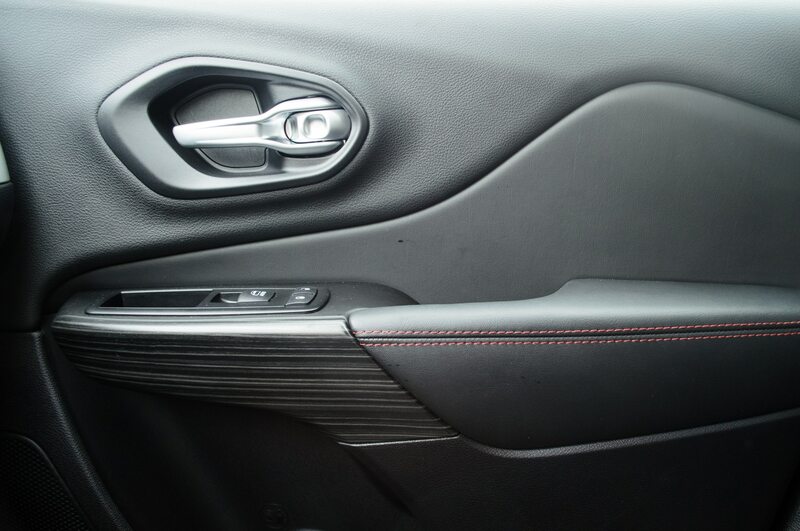 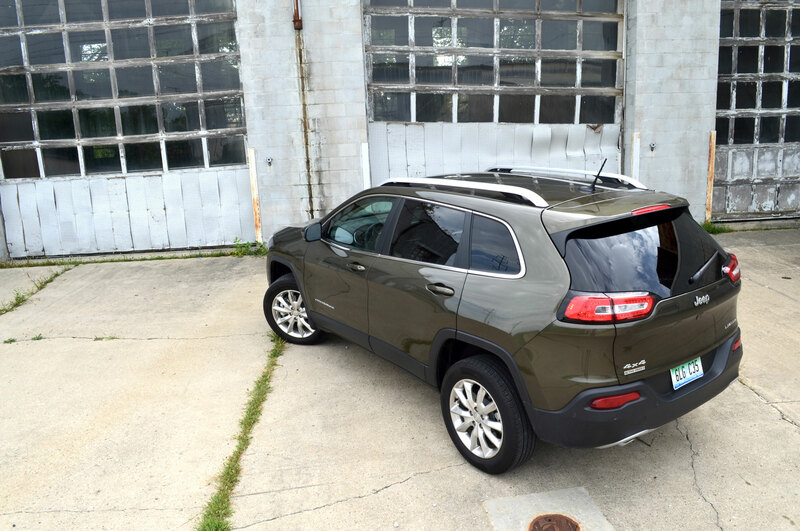 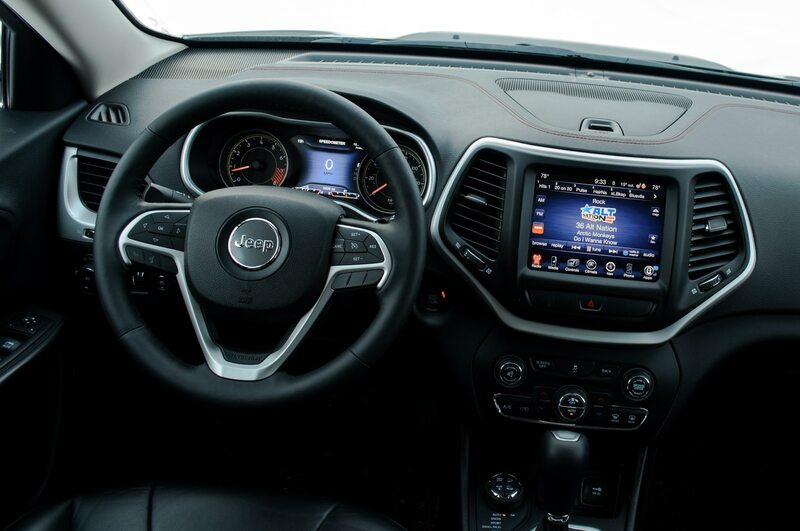 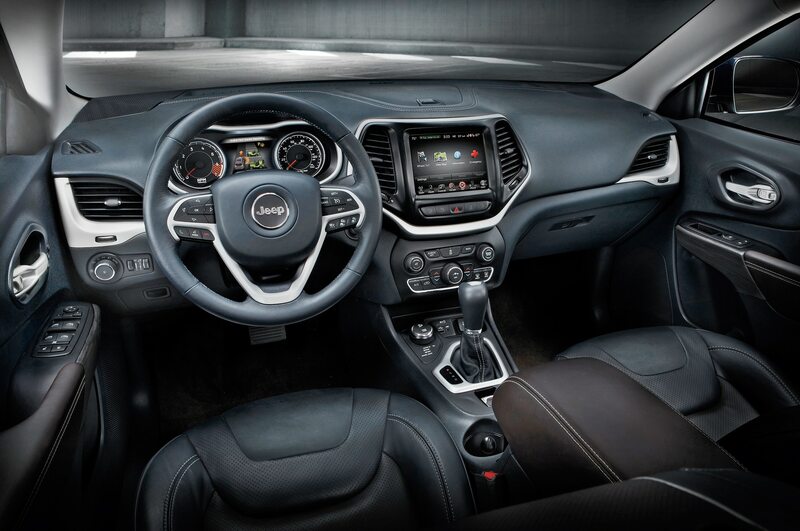 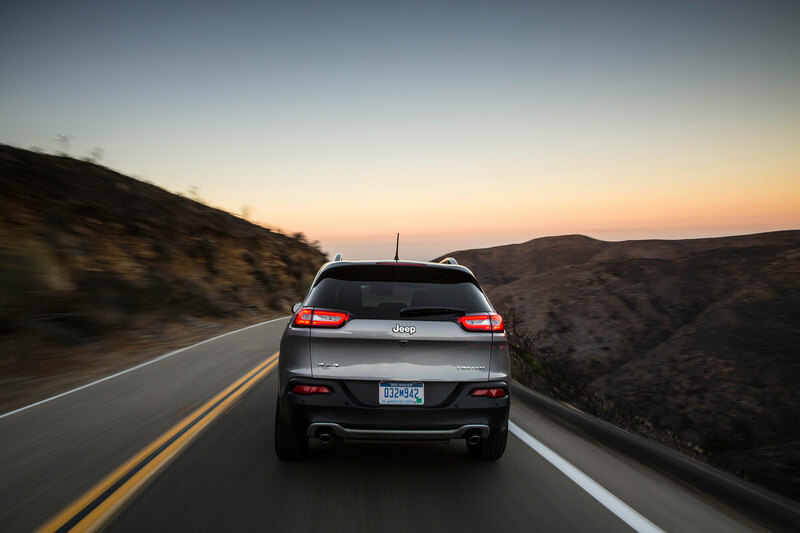 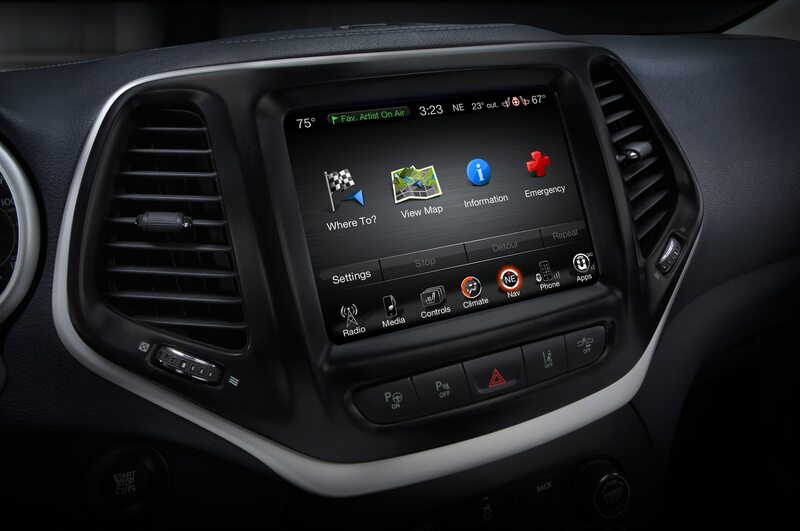 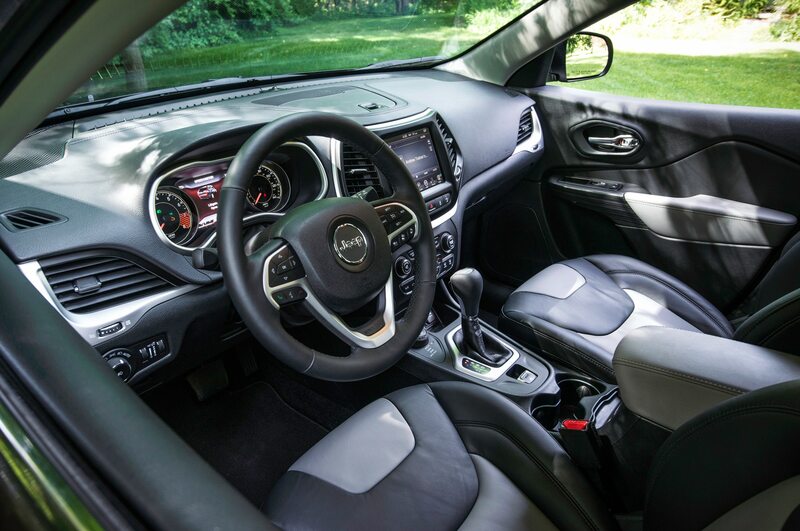 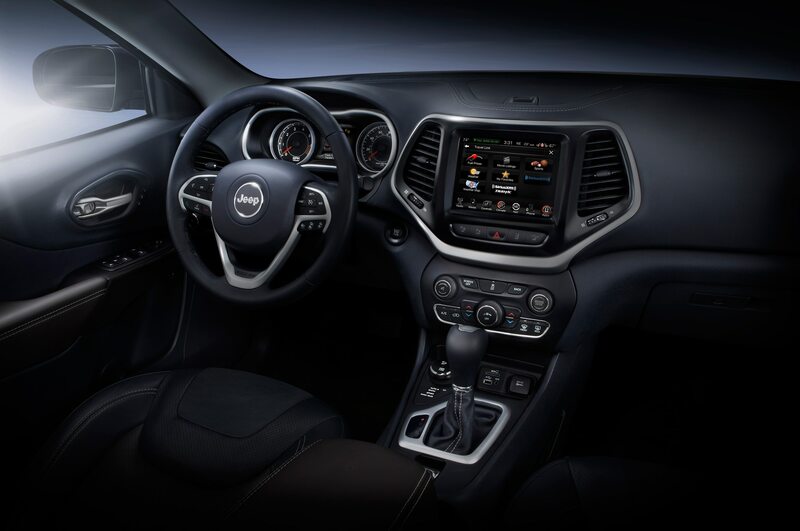 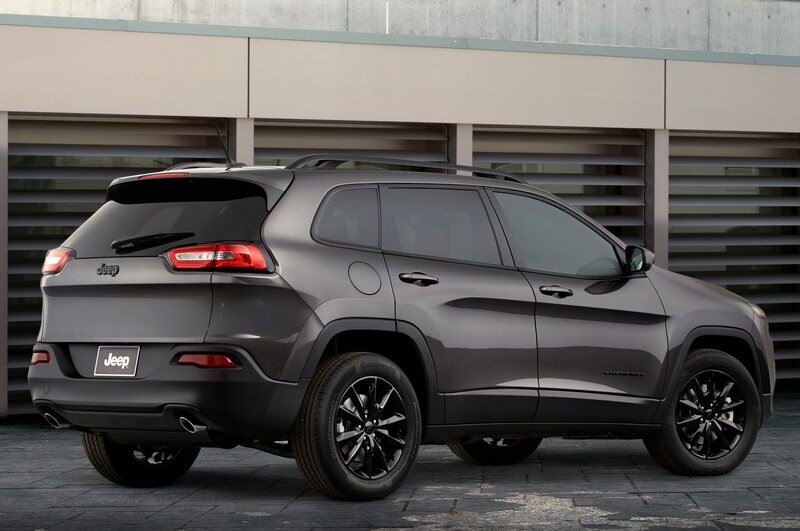 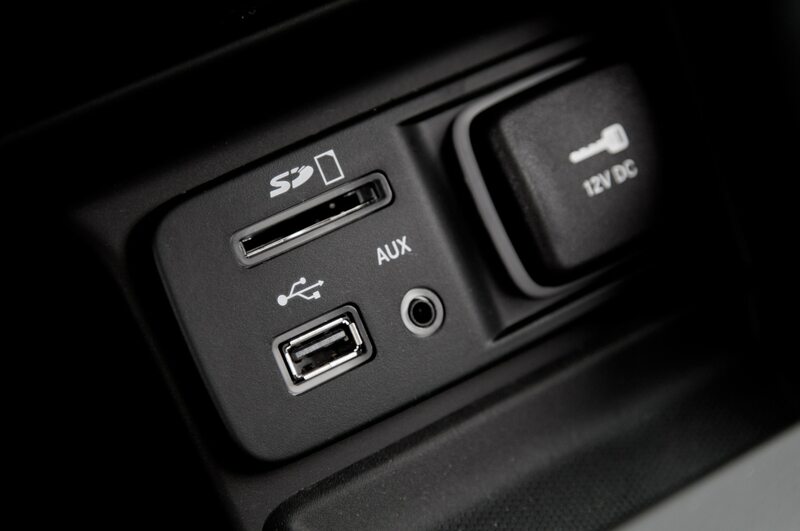 There’s no audio, so we can’t listen to the 2014 Cherokee’s engine, but rumors suggest it will use a 3.2-liter version of the Pentastar V-6, and it may be one of the first Chrysler products to use the ZF-sourced nine-speed automatic transmission. 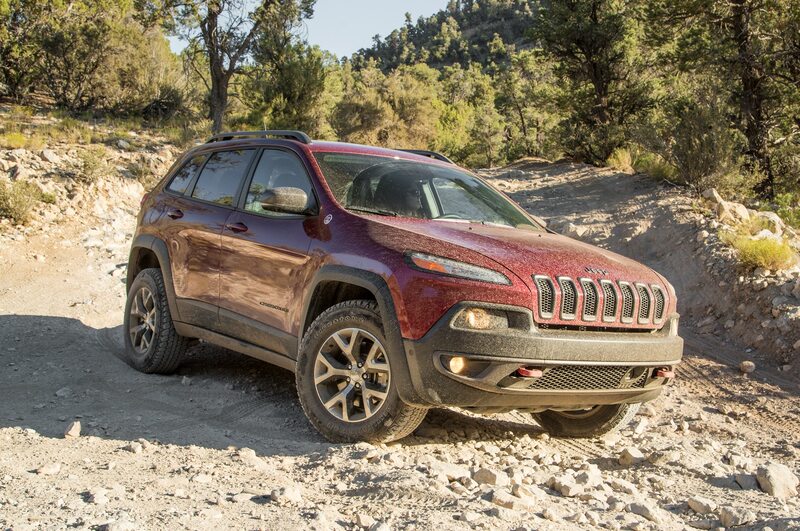 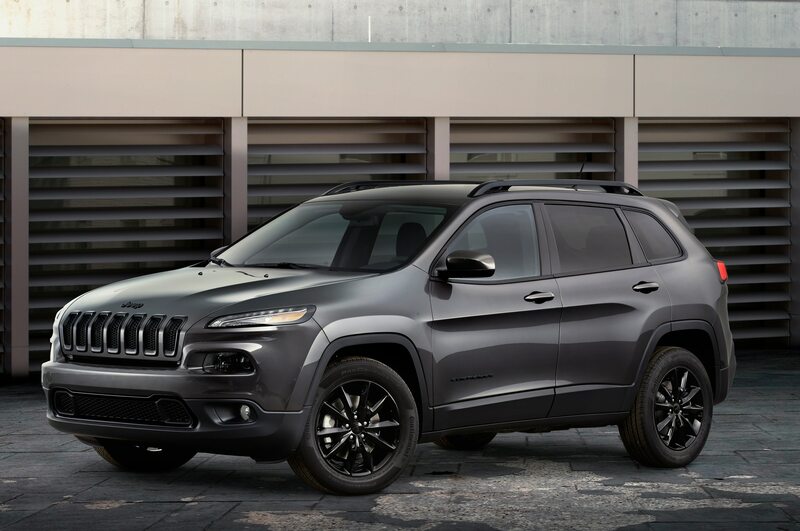 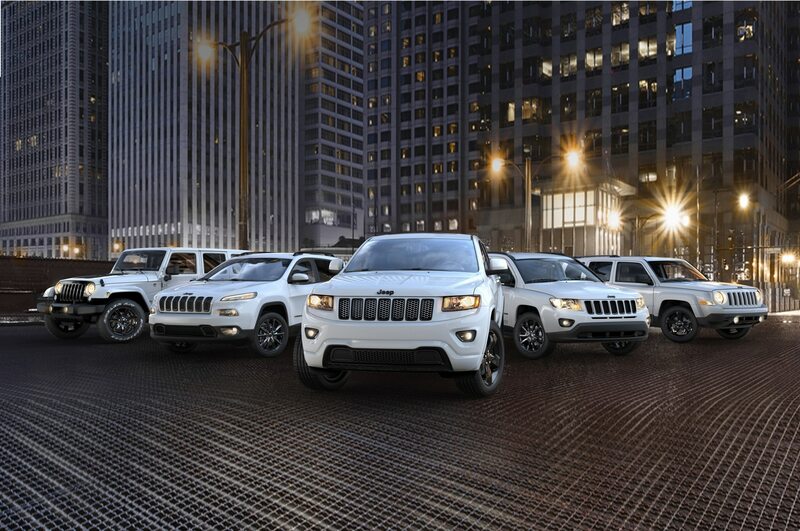 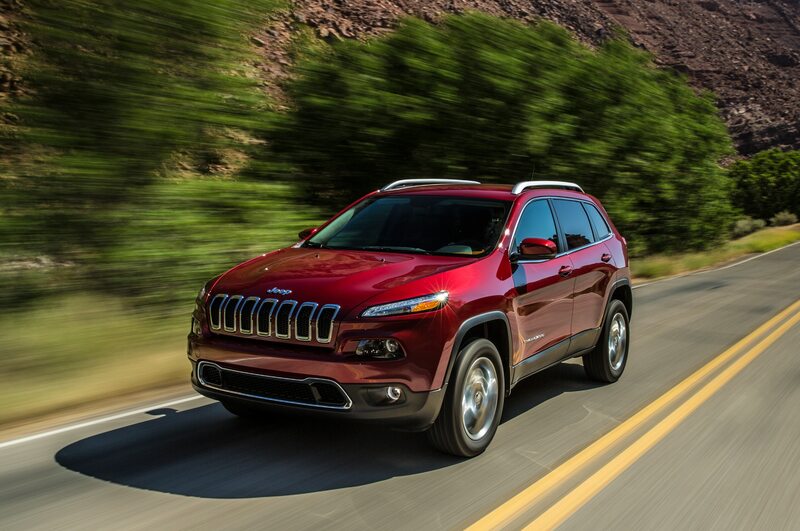 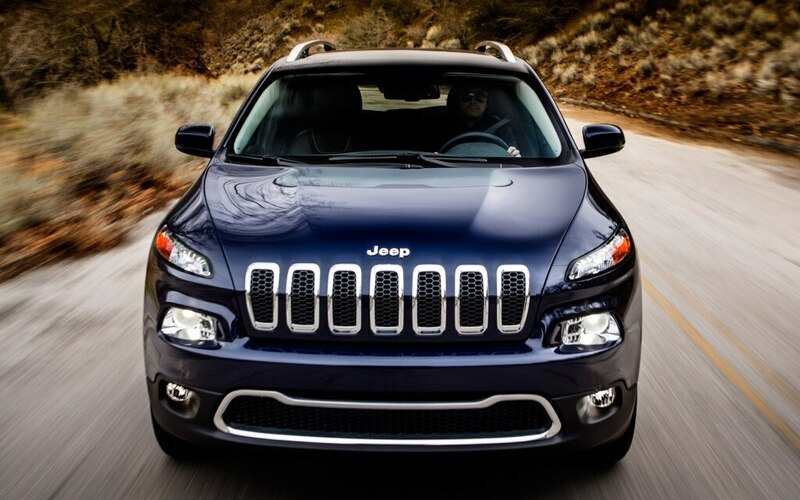 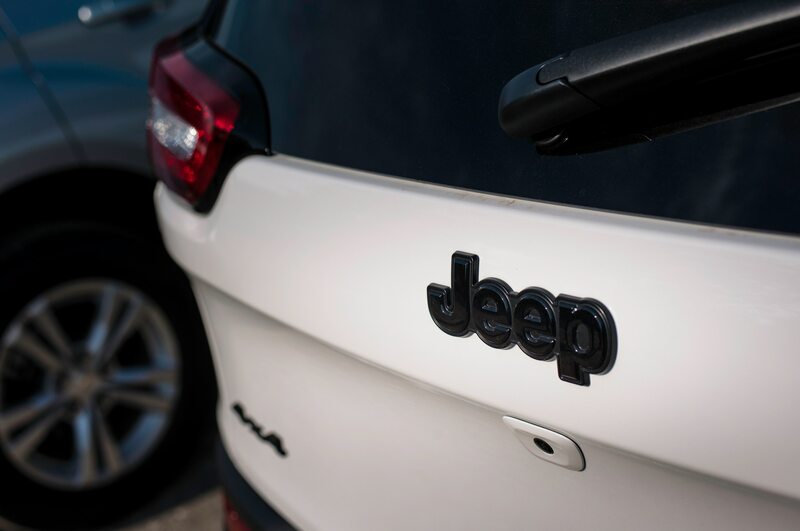 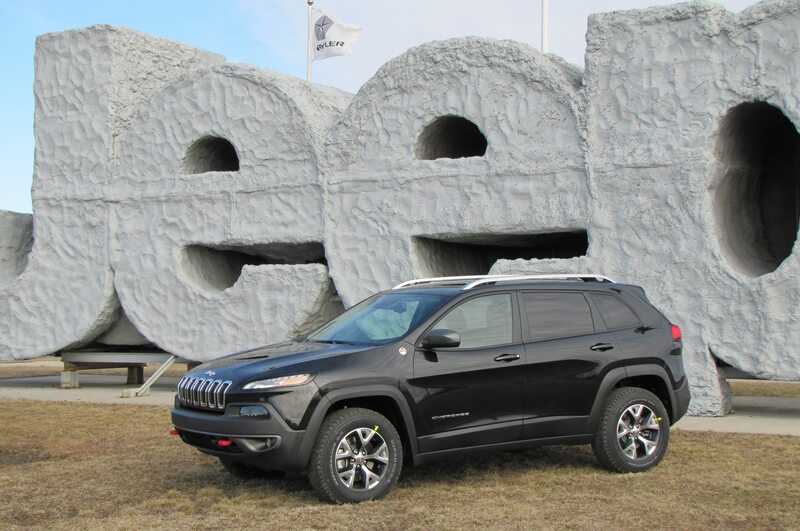 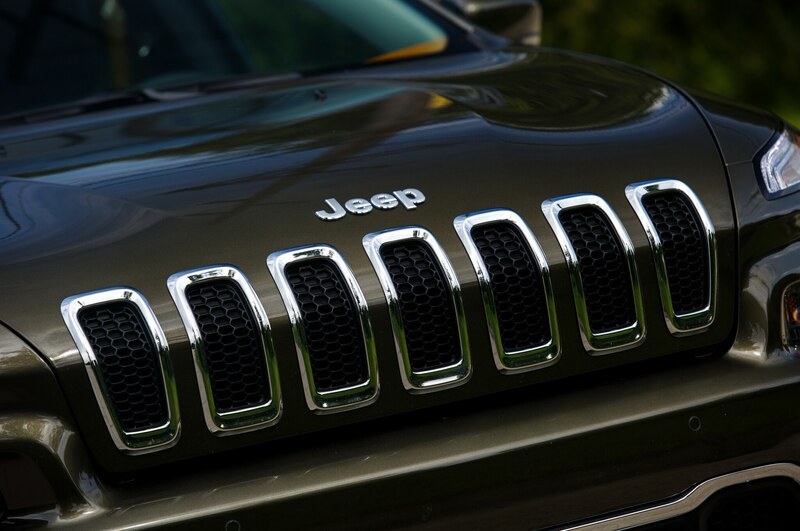 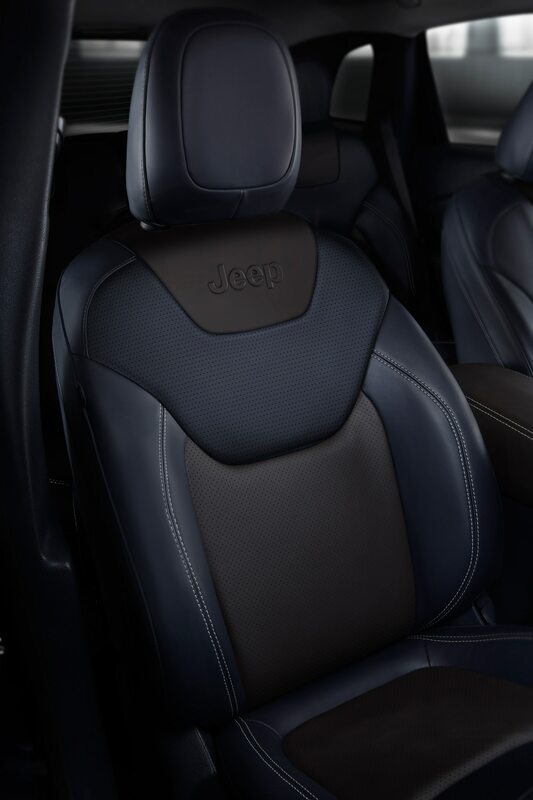 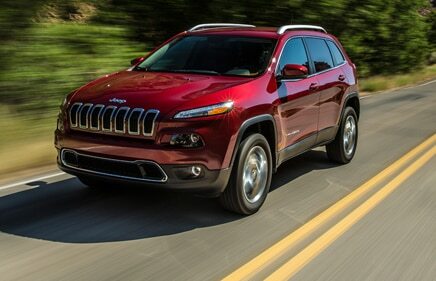 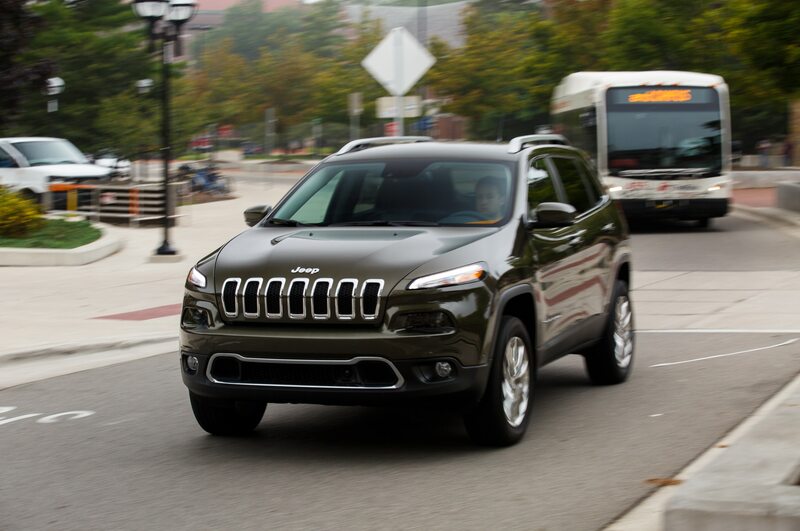 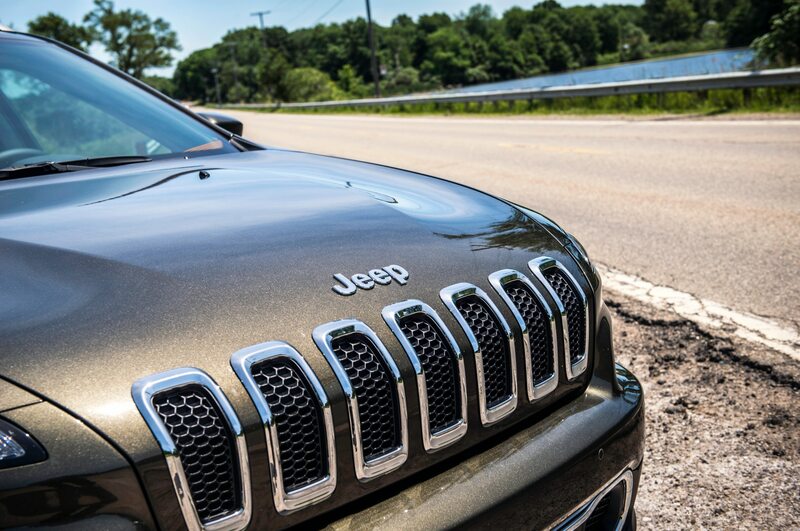 Jeep says the Cherokee is the most capable midsize SUV in its class, and we’ll get a closer look when it debuts at the 2013 New York auto show next week.